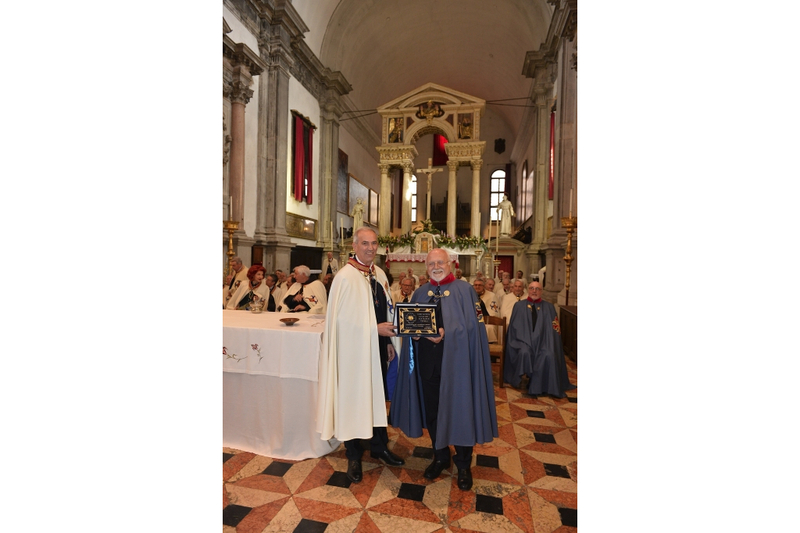 Venice April 25 2017 – Ceremony in the Church of San Francesco della Vigna, to confer knighthood upon the new knights into the ‘St. 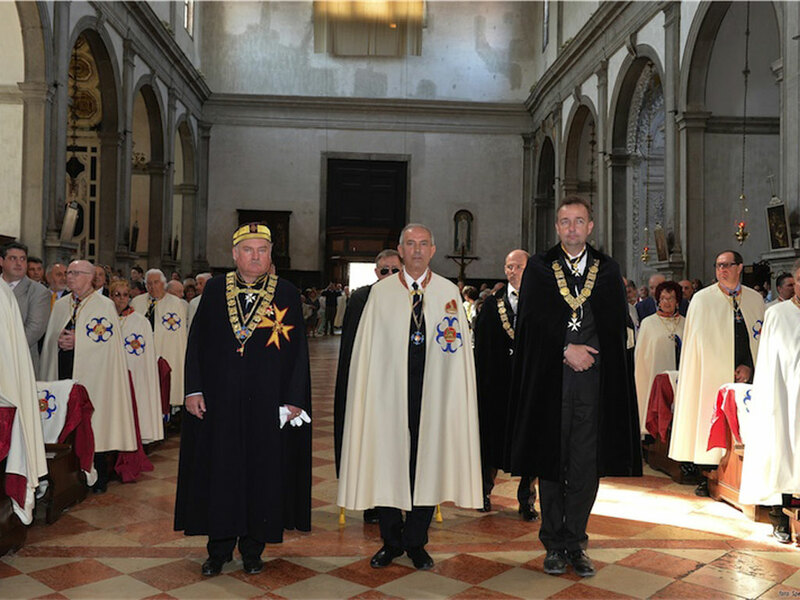 Mark’s Knight’s Association in conjunction with the festivities for the patron saint of the city, St. Mark. 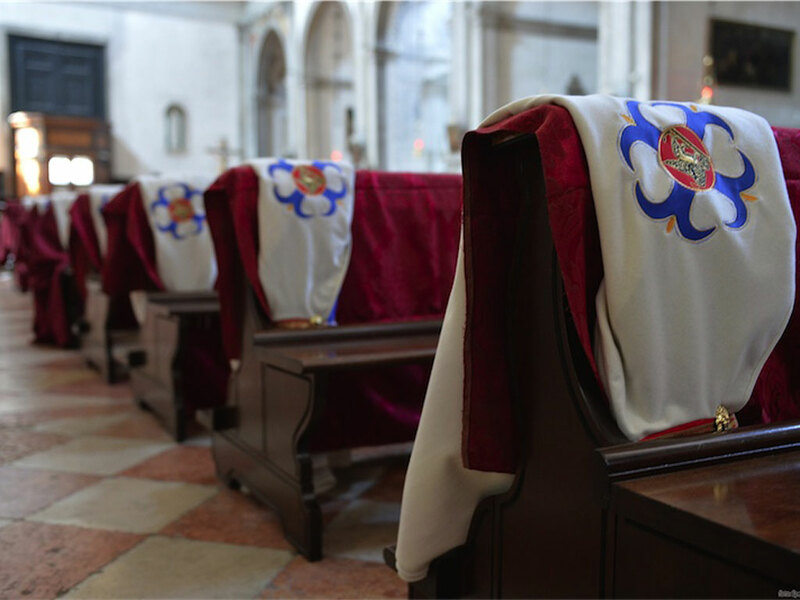 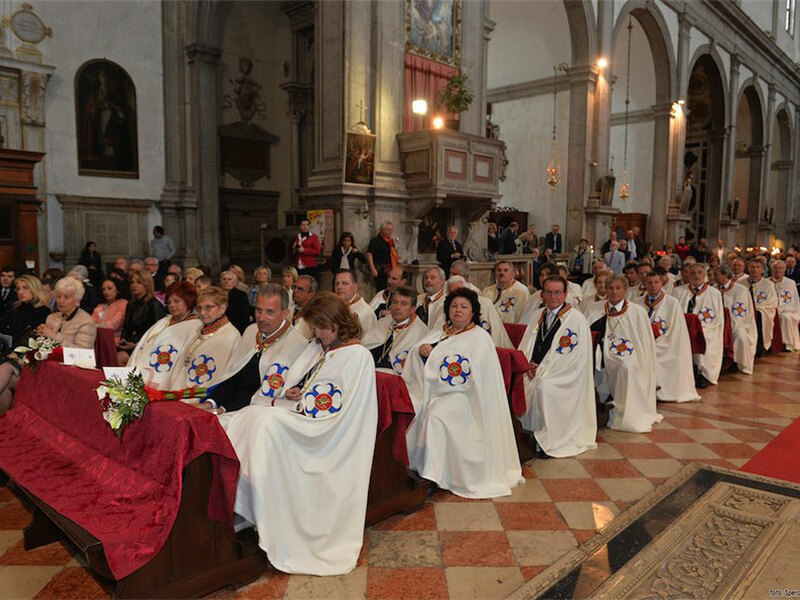 Venice April 25 2016 – Ceremony in the Church of San Francesco della Vigna, to confer knighthood upon the new knights into the ‘St. 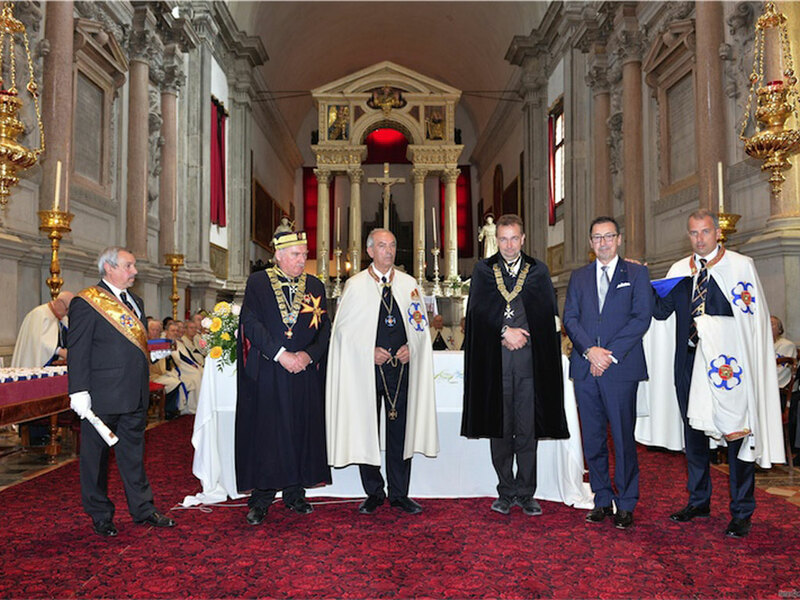 Mark’s Knight’s Association in conjunction with the festivities for the patron saint of the city, St. Mark. 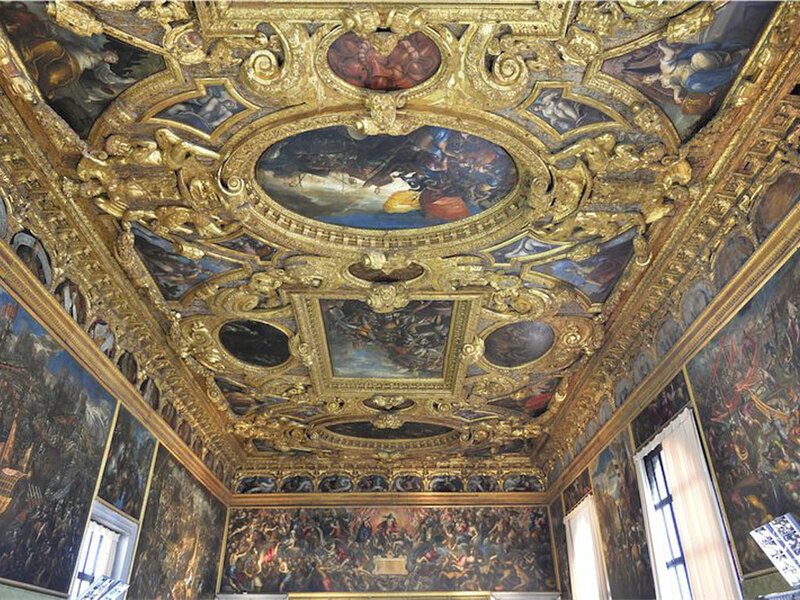 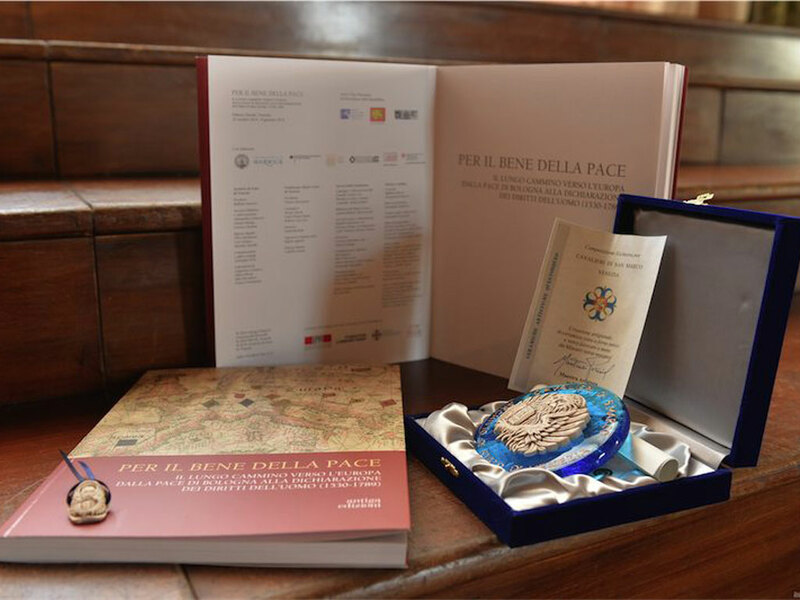 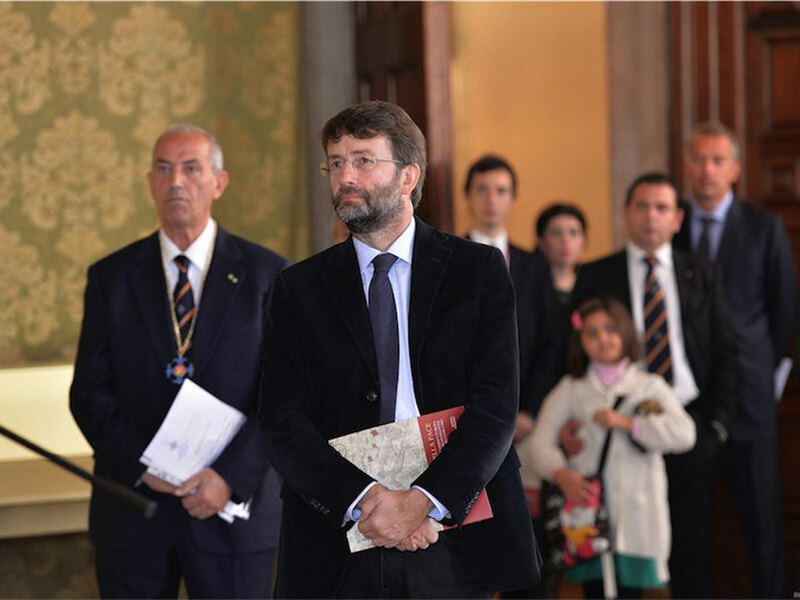 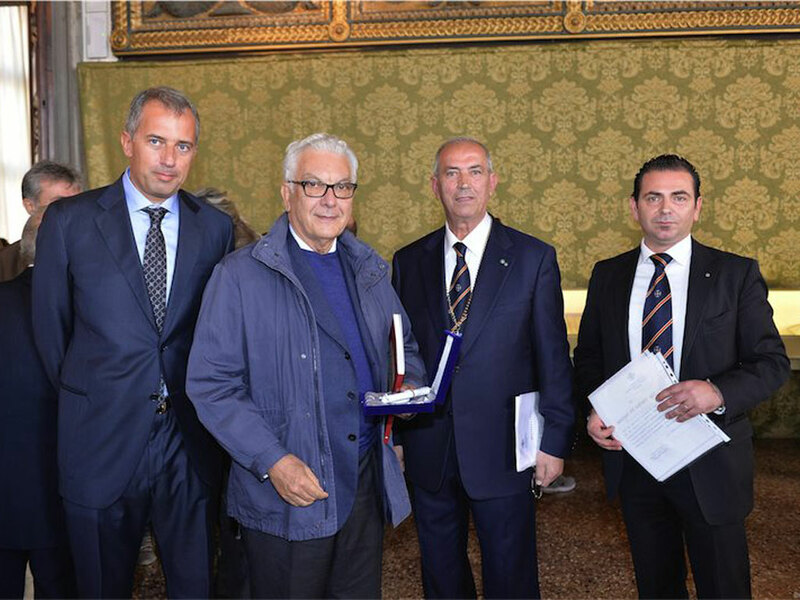 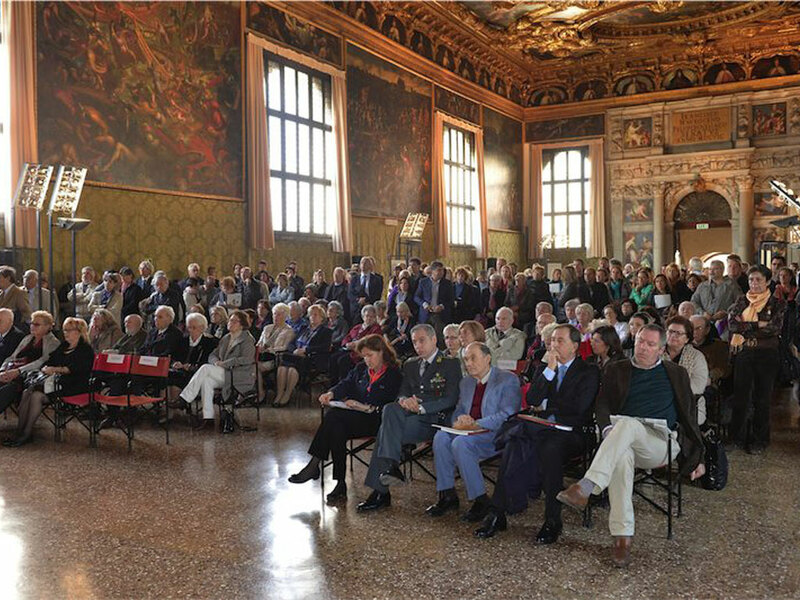 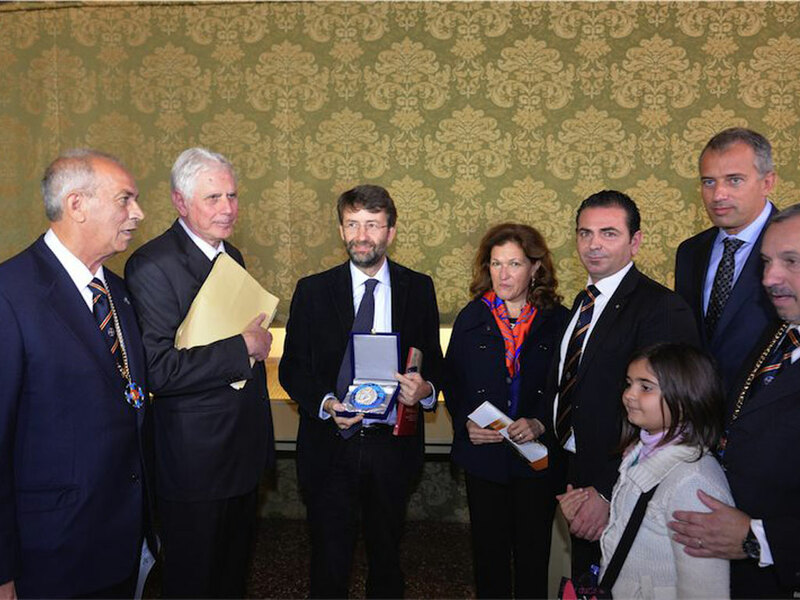 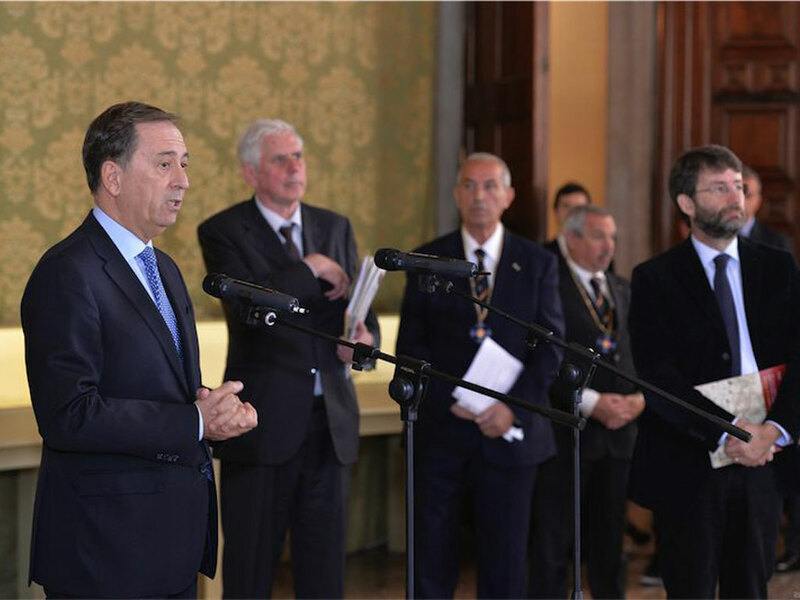 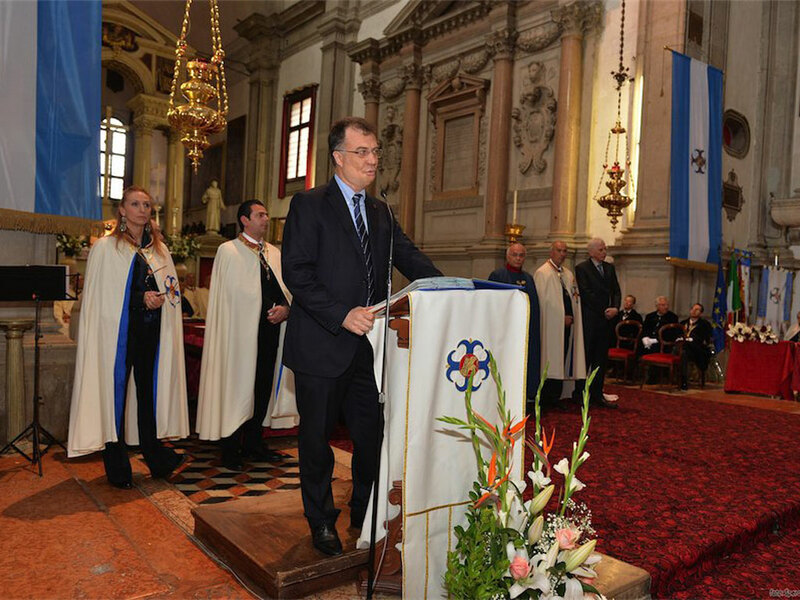 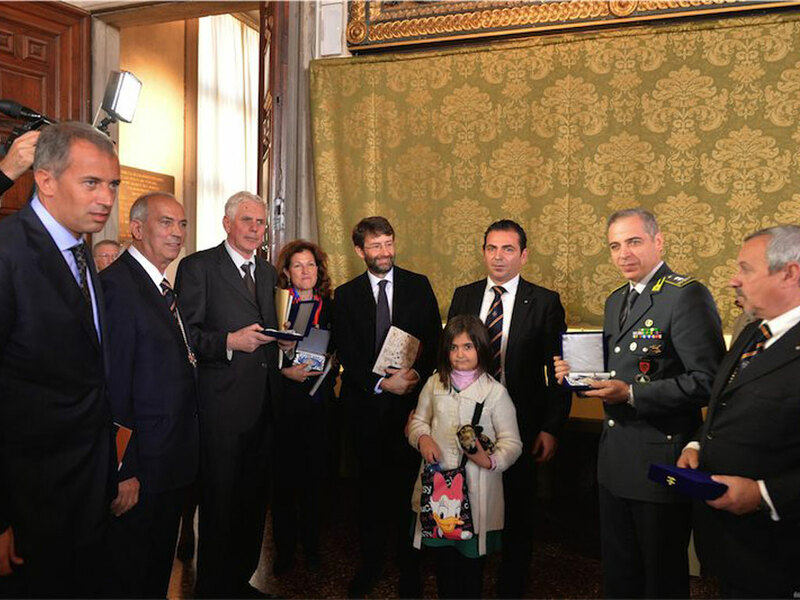 October 25 2014 – “For the sake of Peace”, Sala dello Scrutinio, Doge’s Palace, Venice: where the Minister for Cultural and Tourism activities Dario Franceschini attended as well as the Ambassador Giampaolo Scartante. 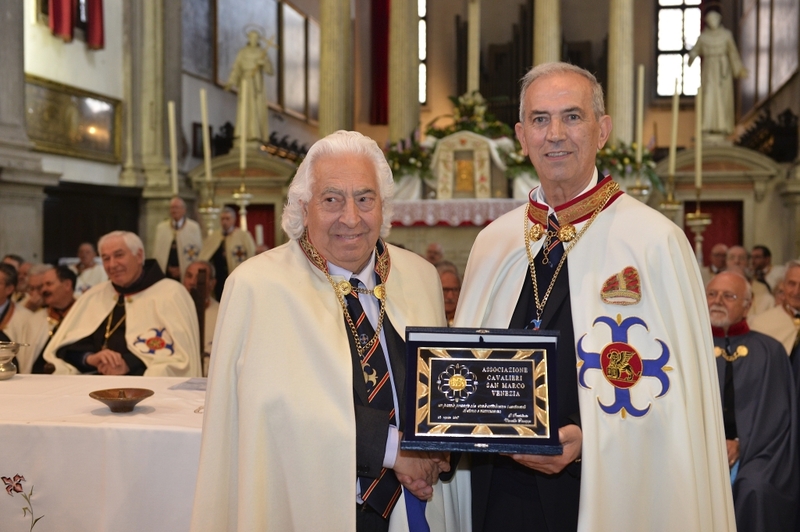 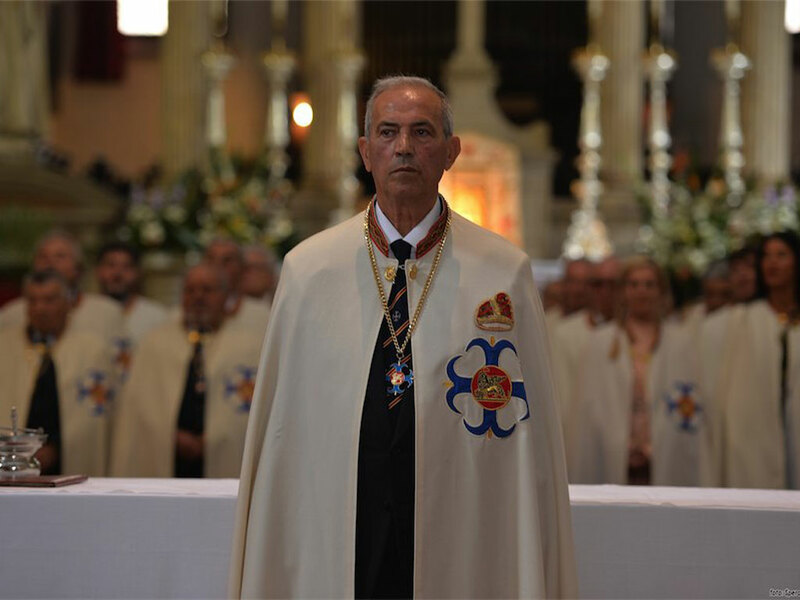 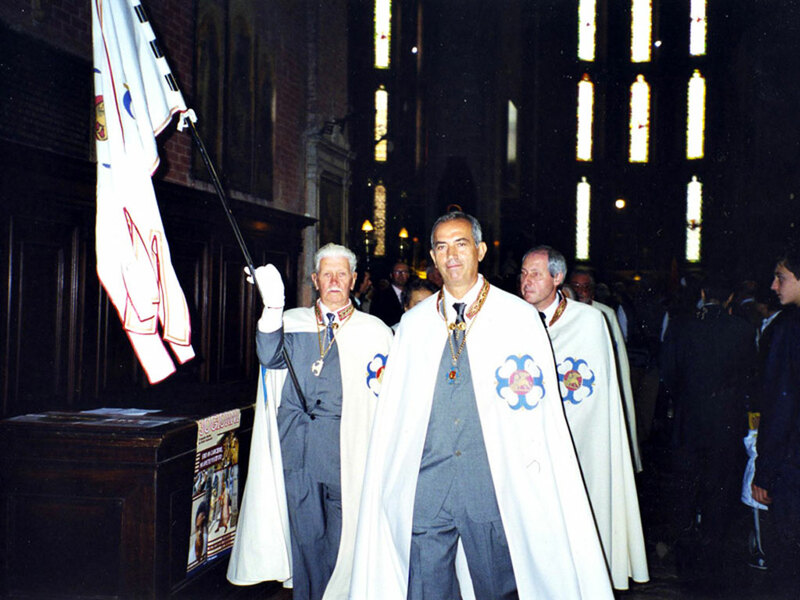 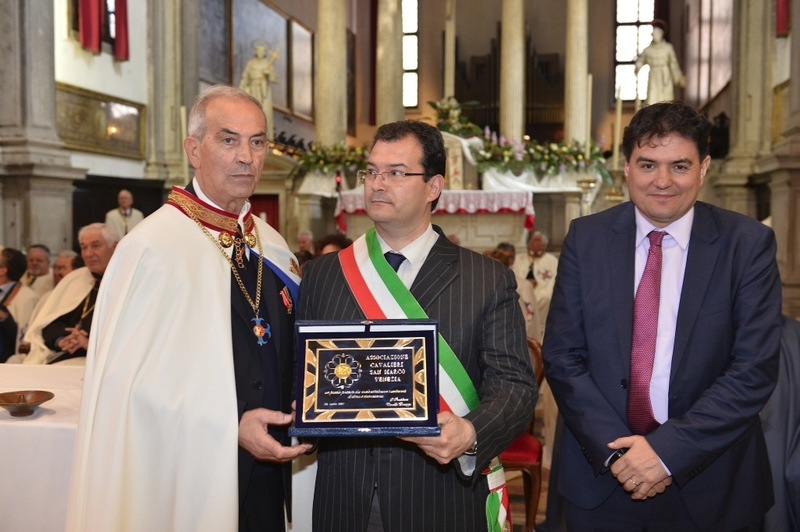 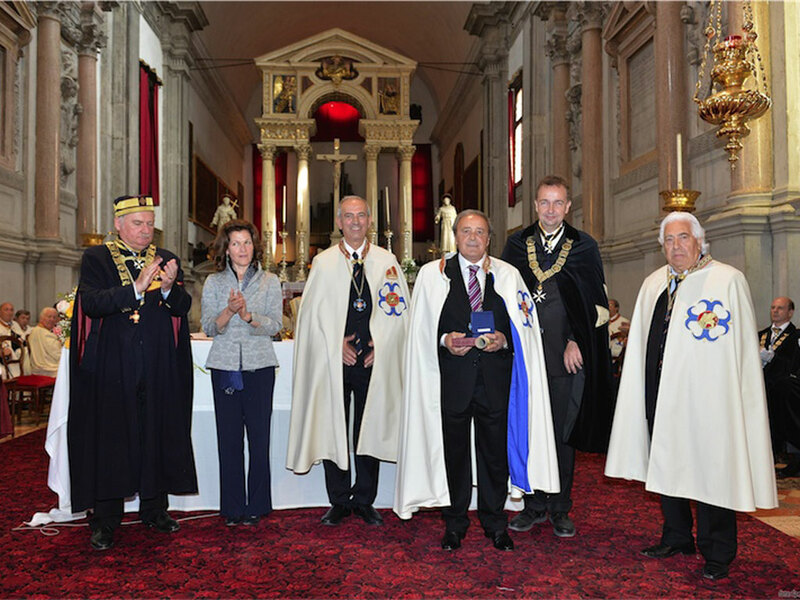 The Doge, President of the St. Mark’s Knights Association, Knight Giuseppe Vianello. 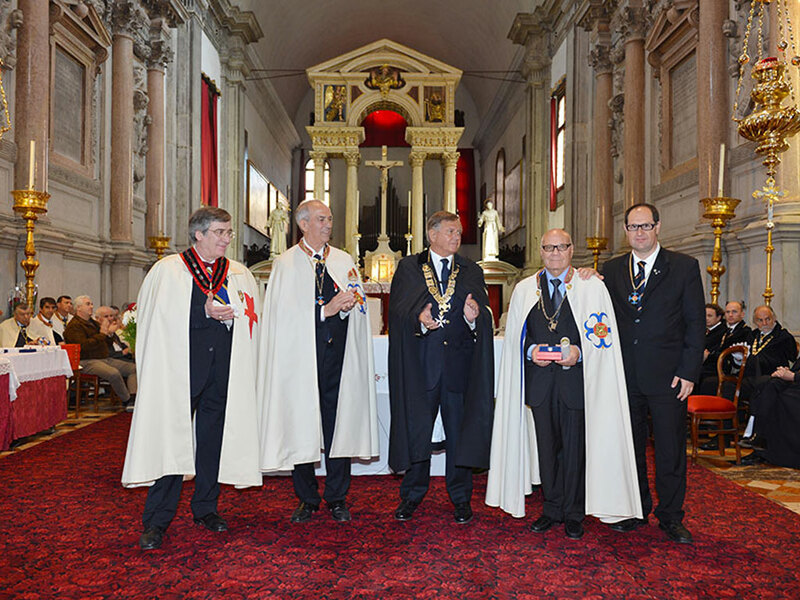 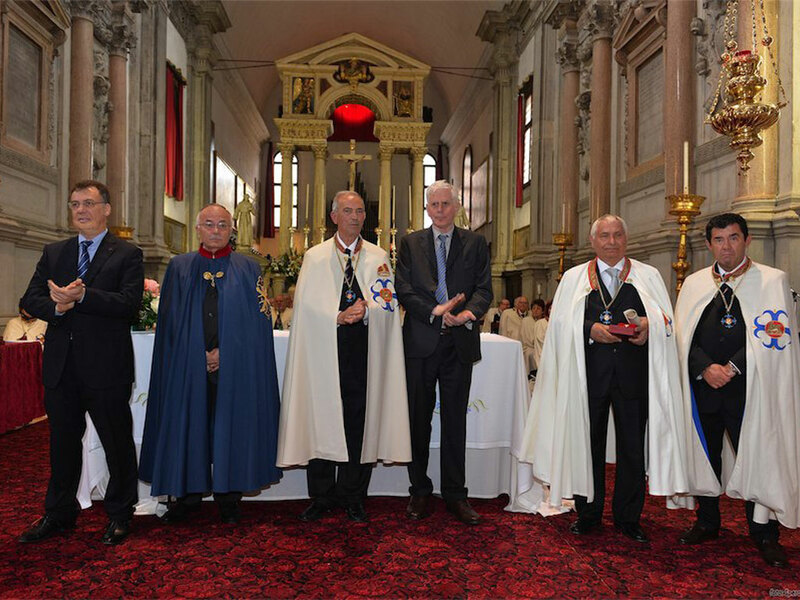 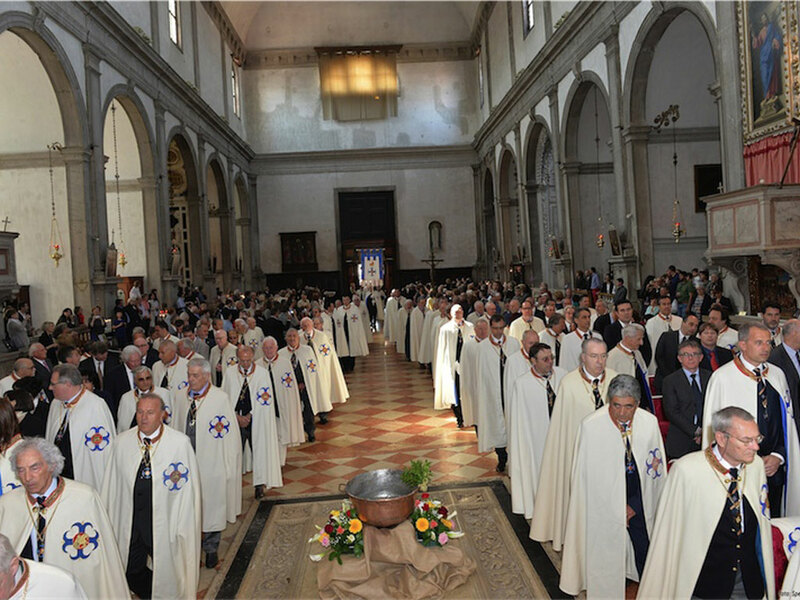 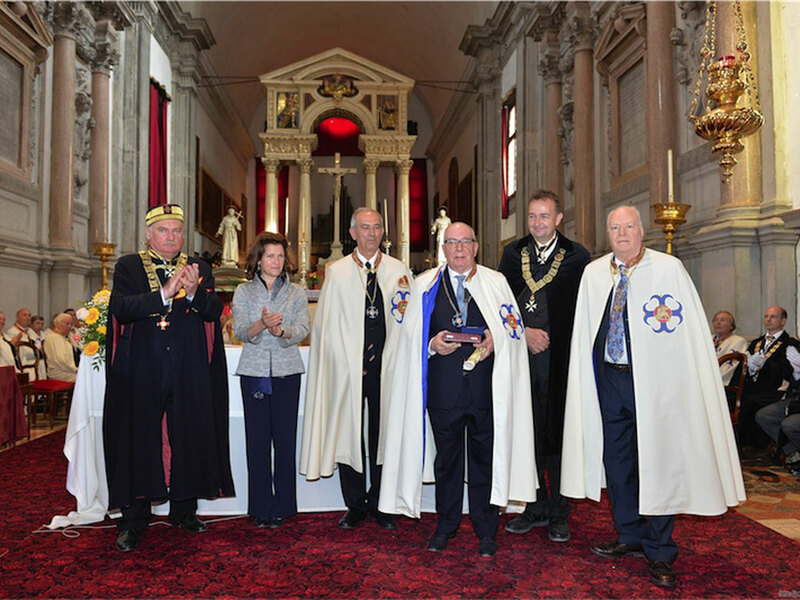 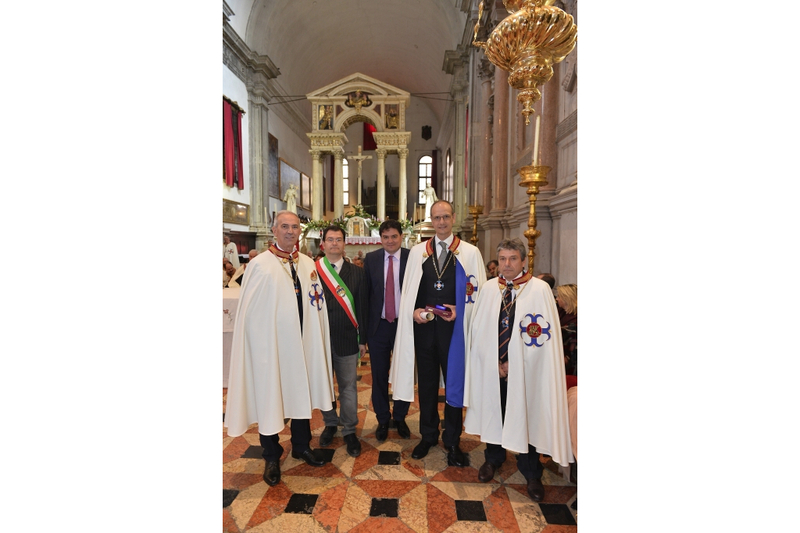 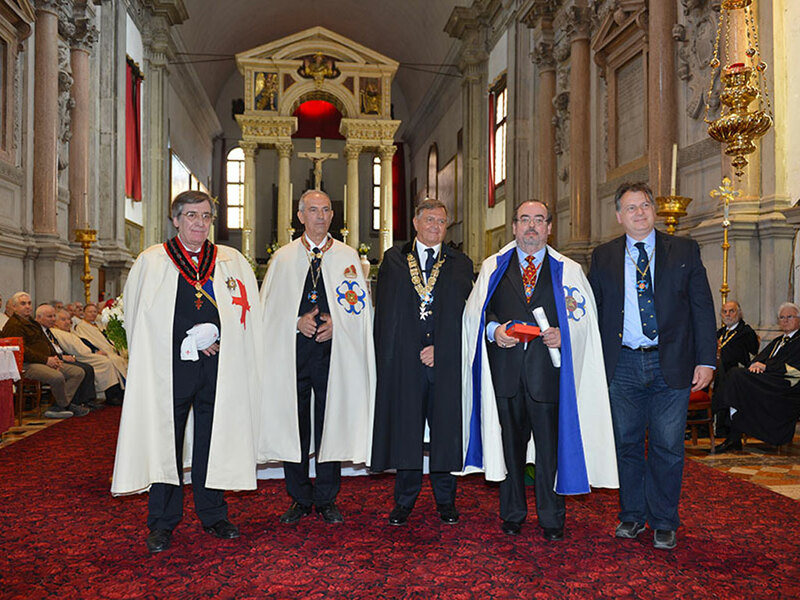 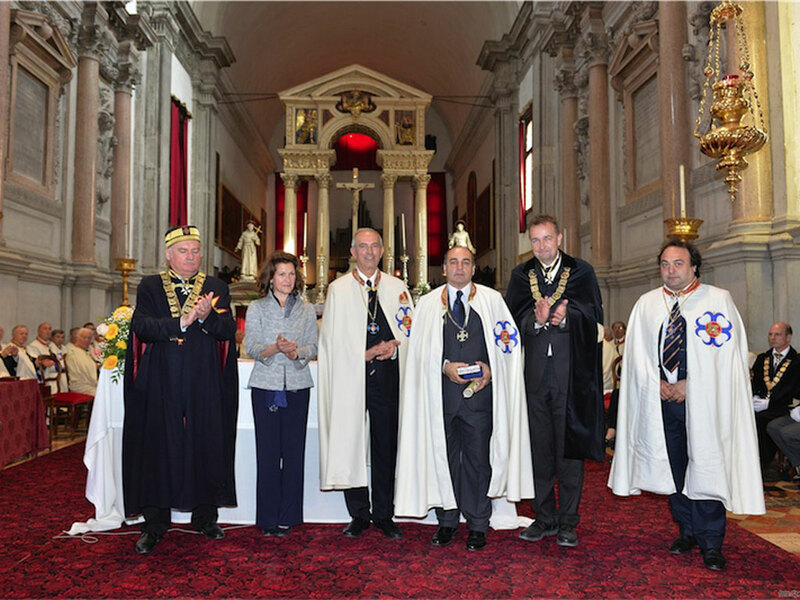 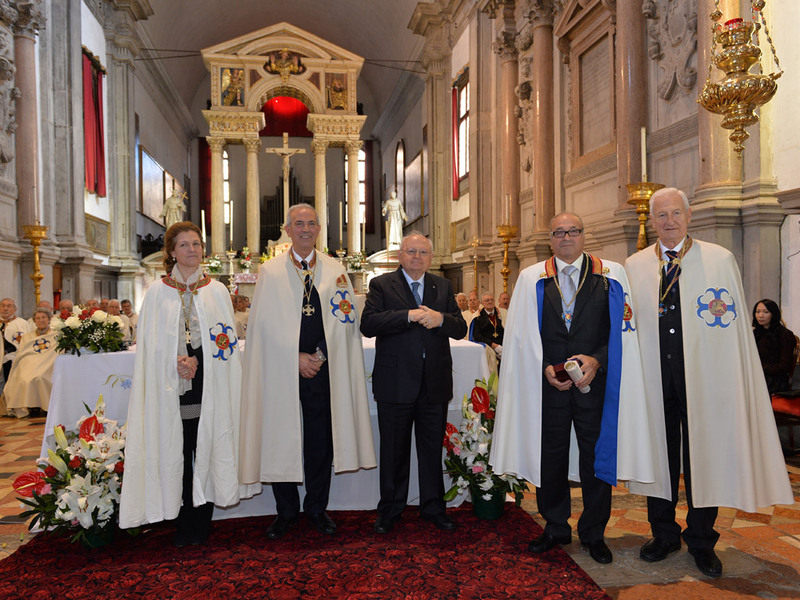 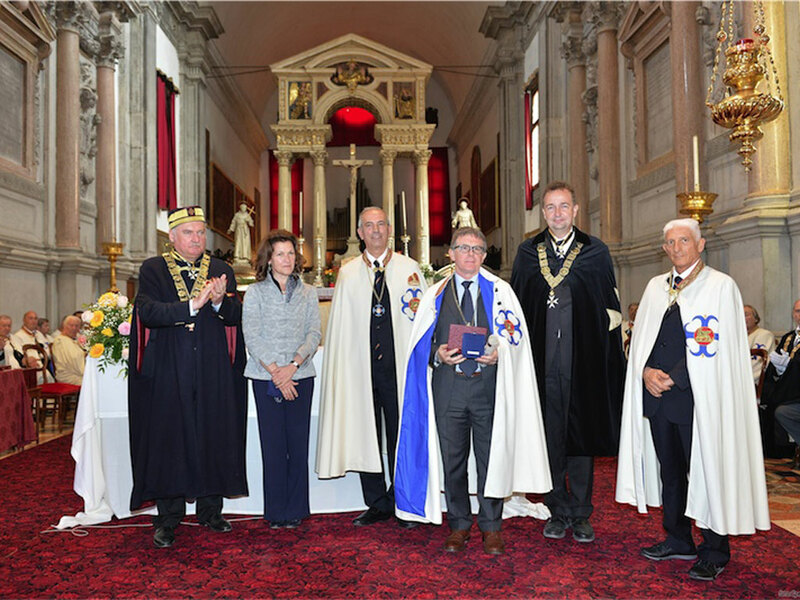 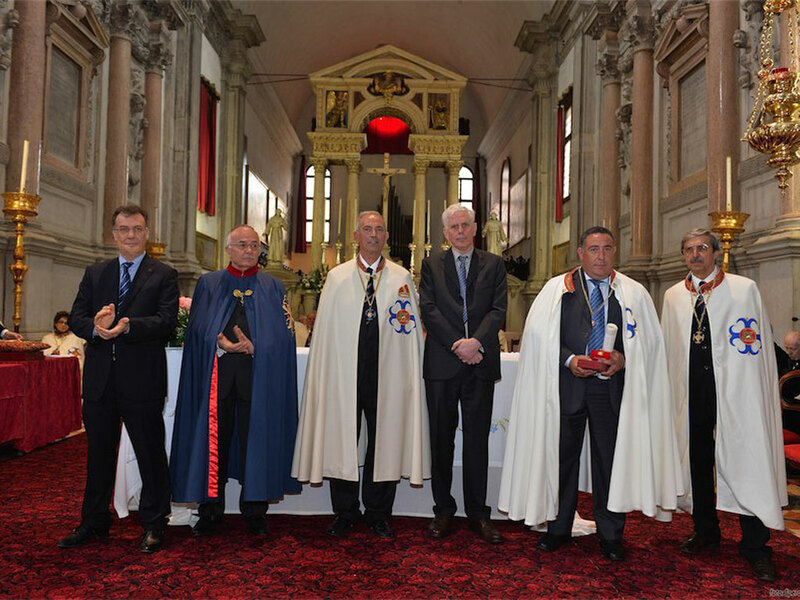 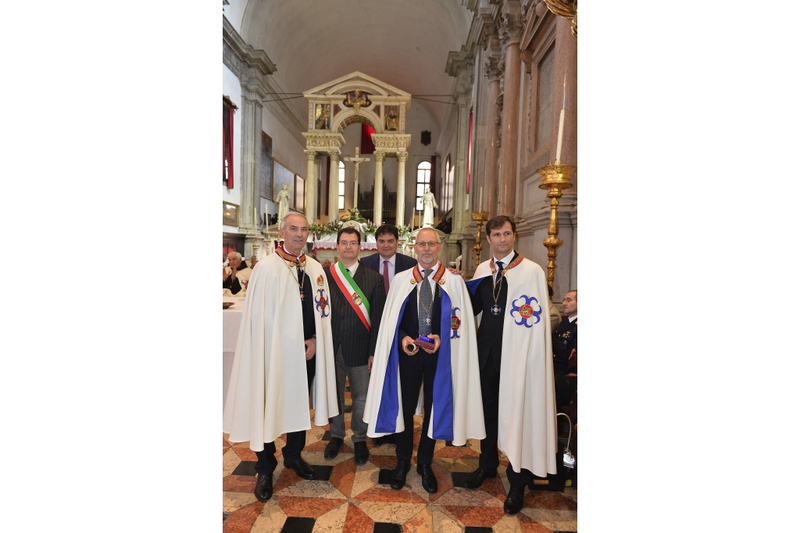 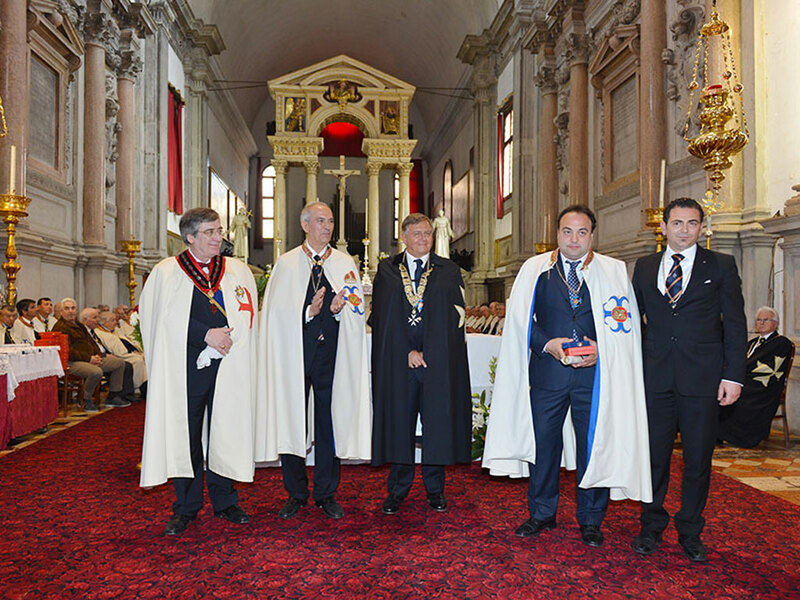 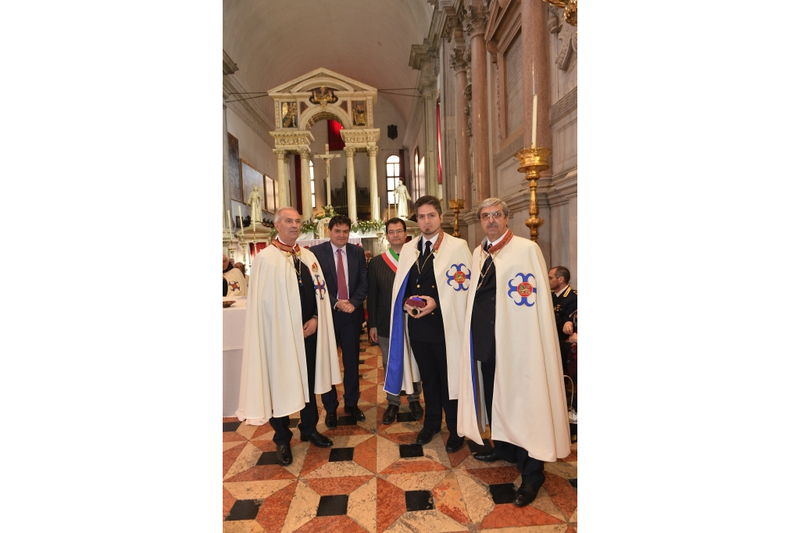 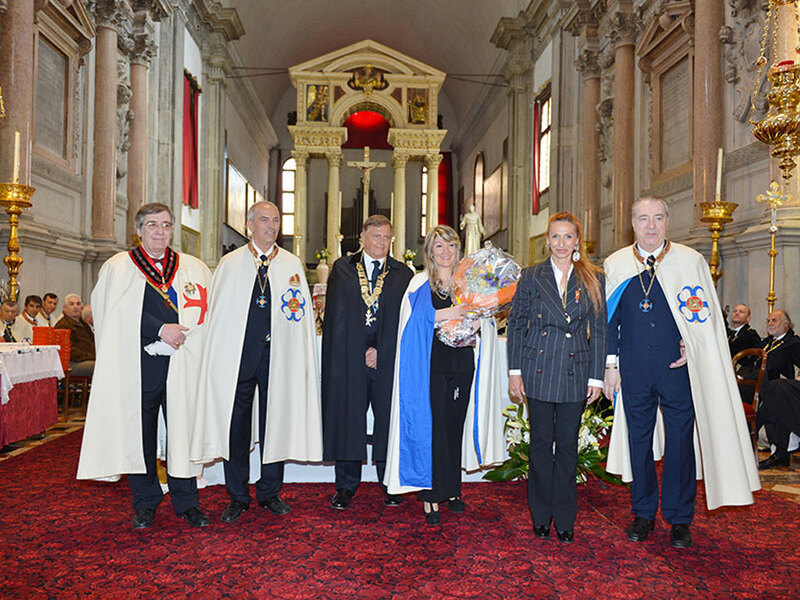 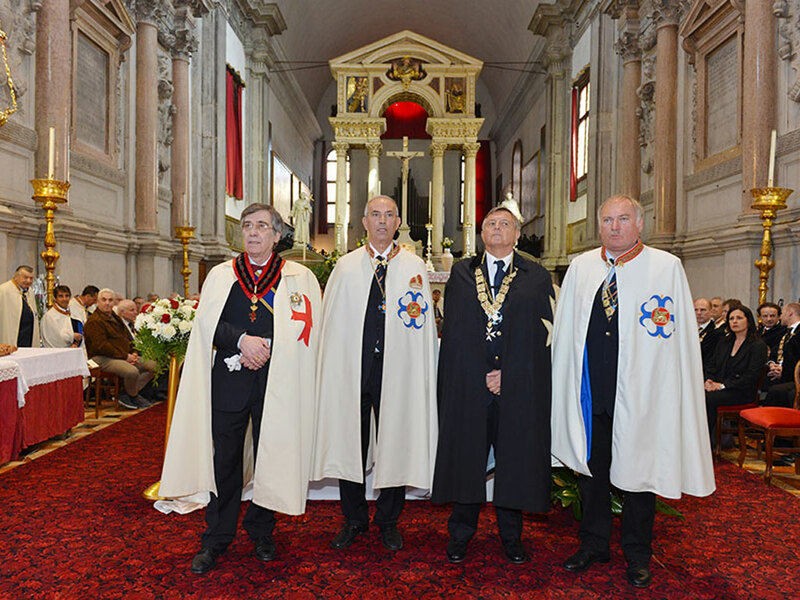 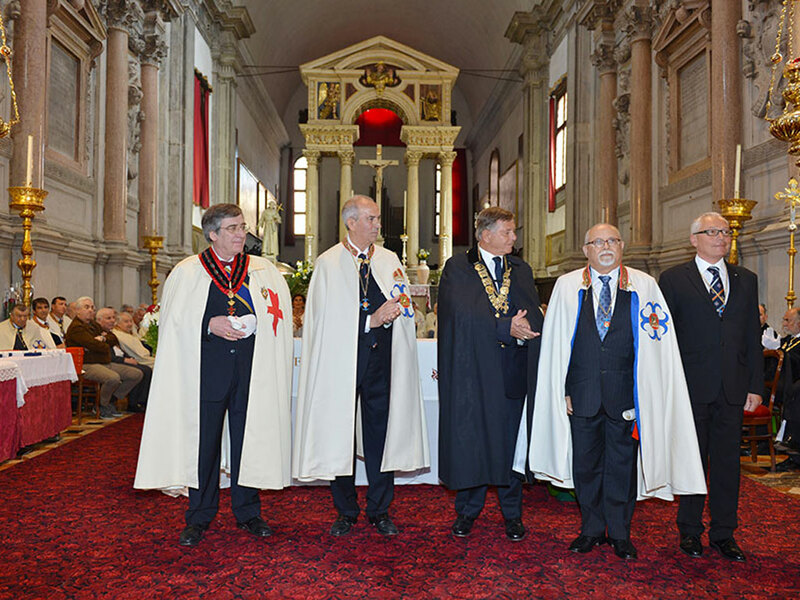 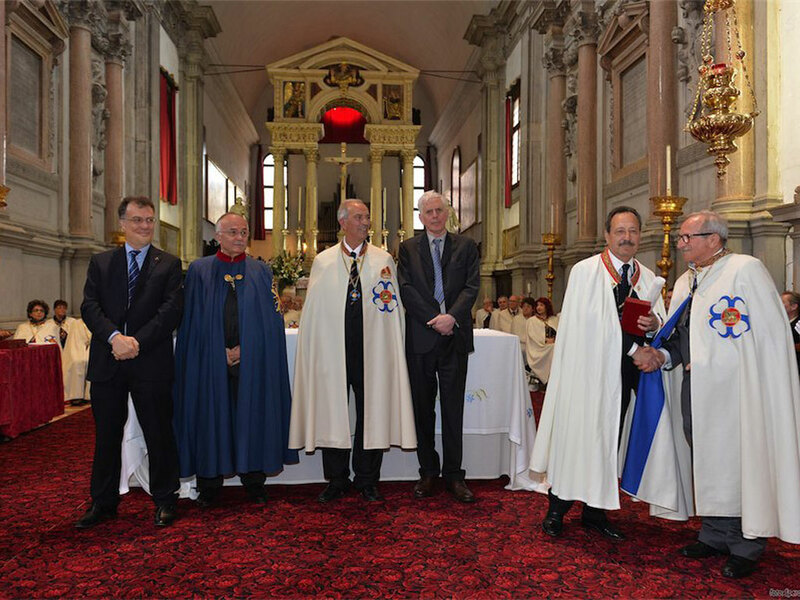 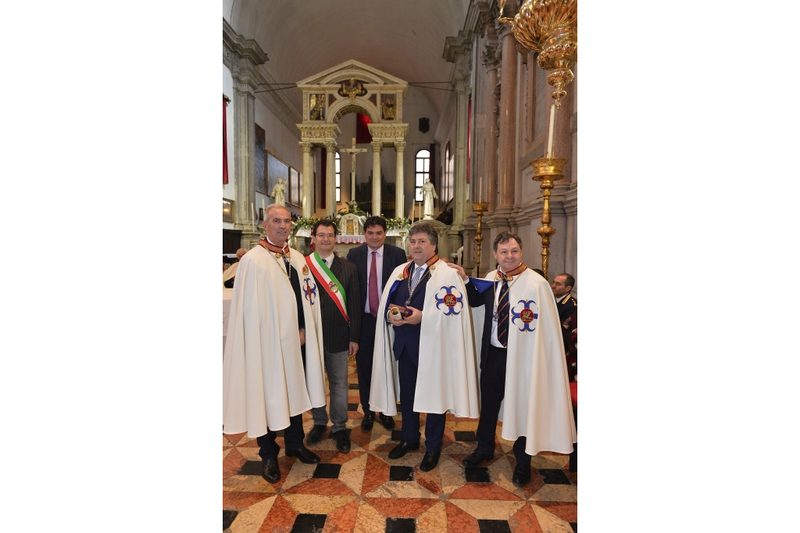 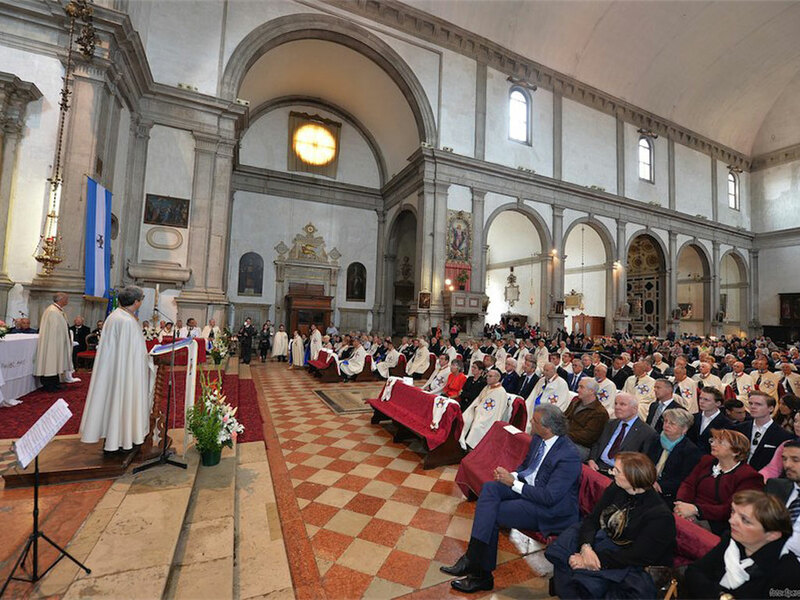 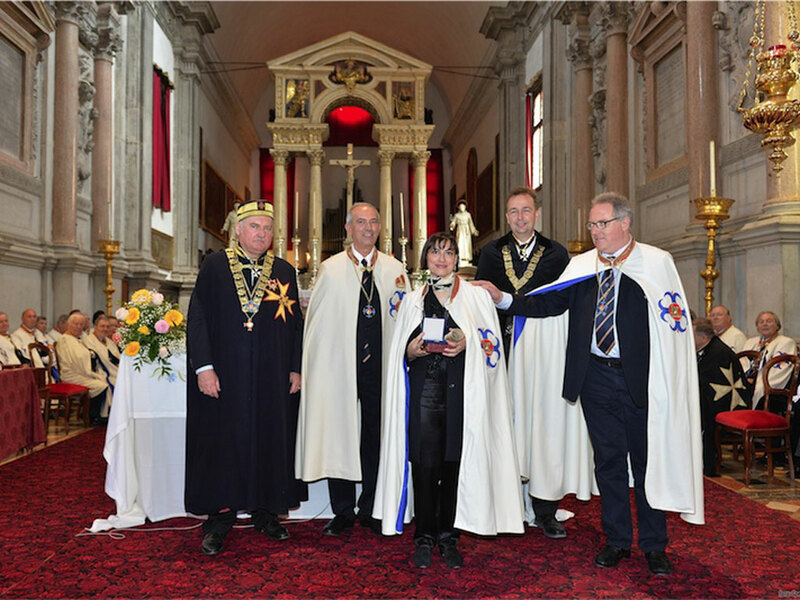 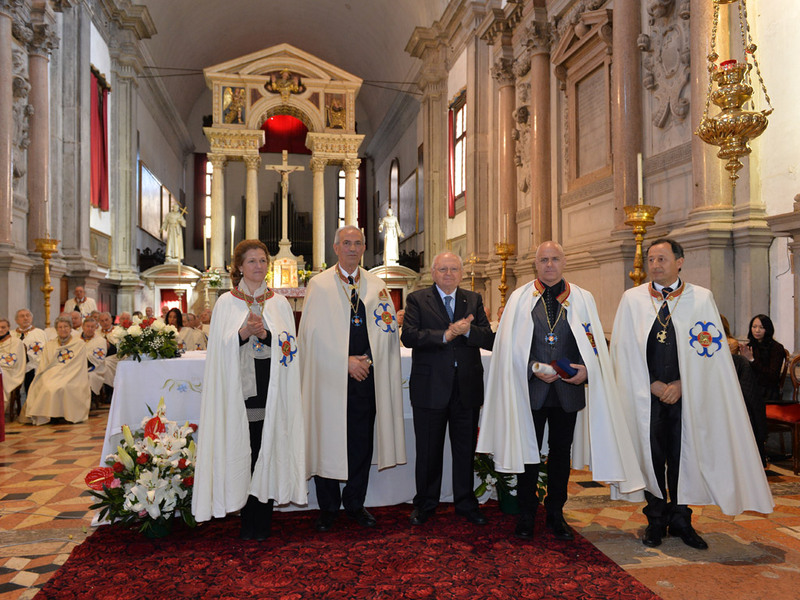 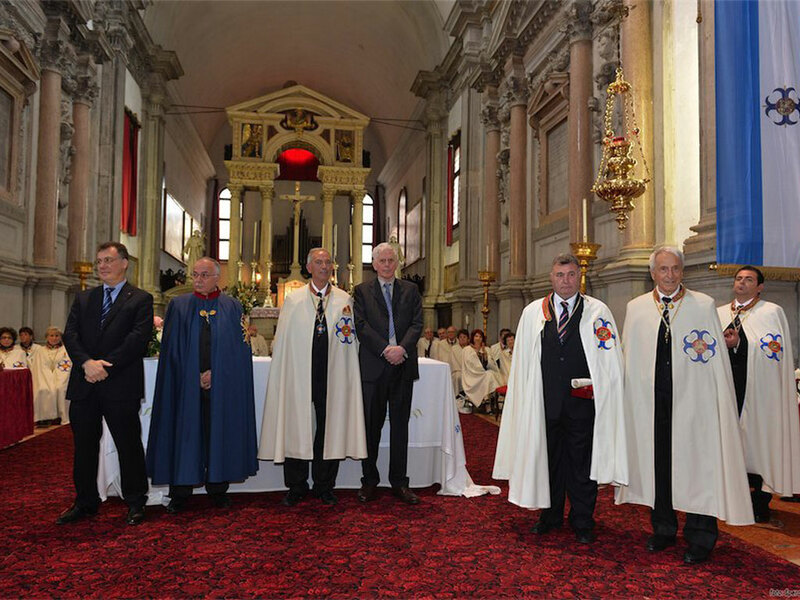 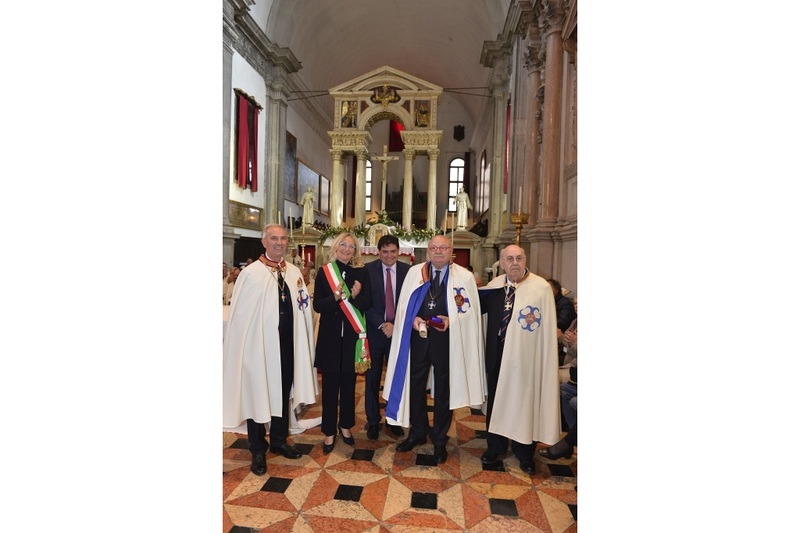 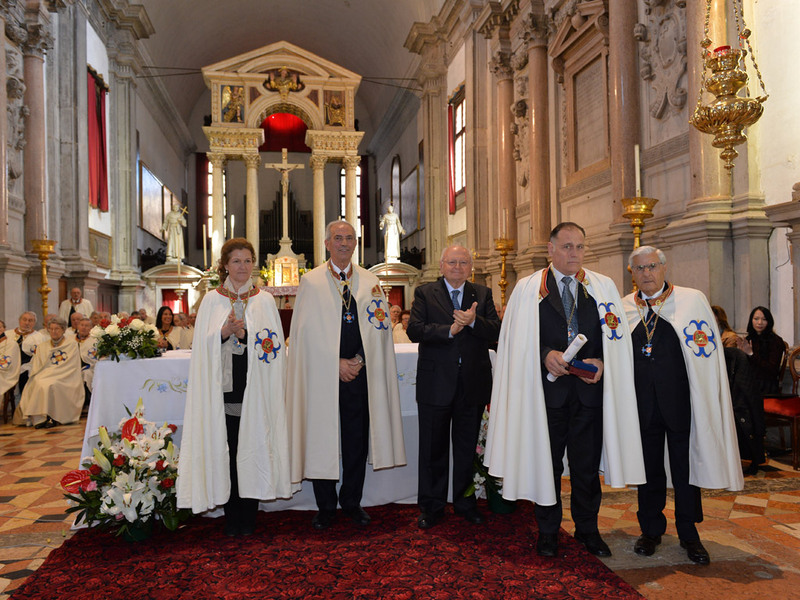 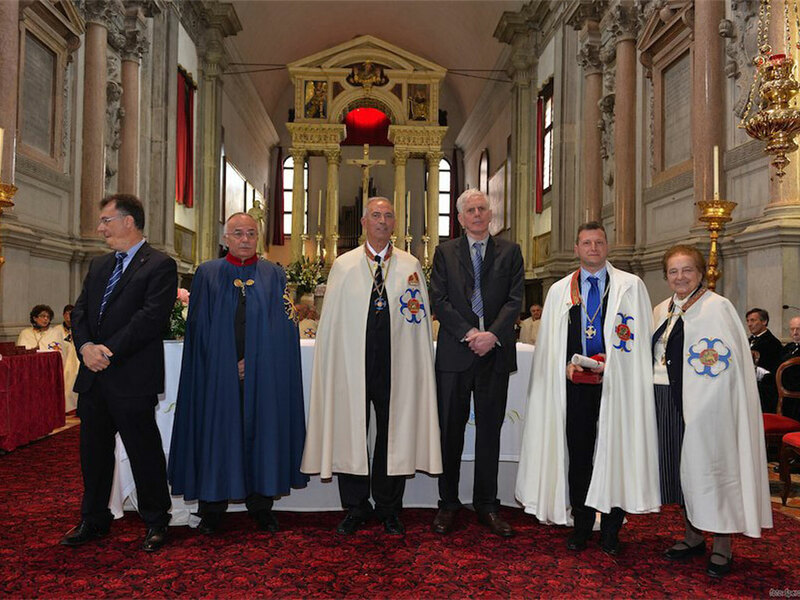 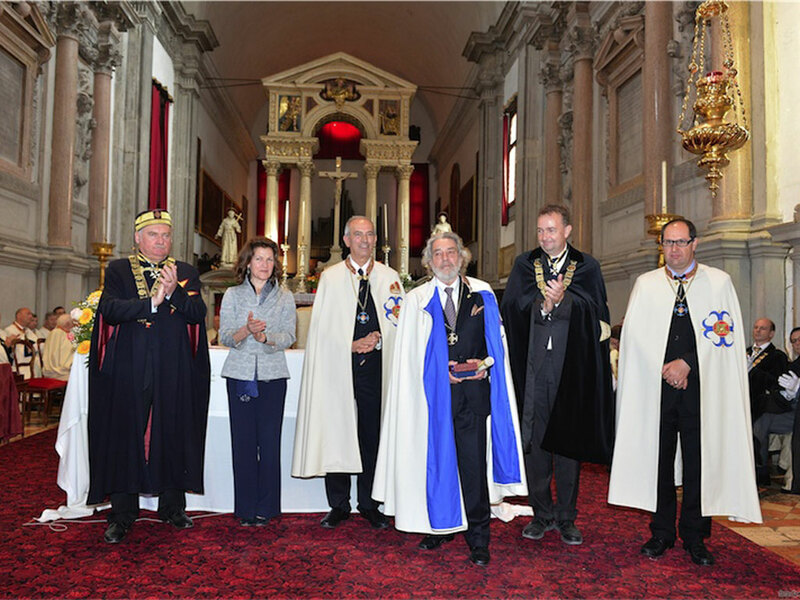 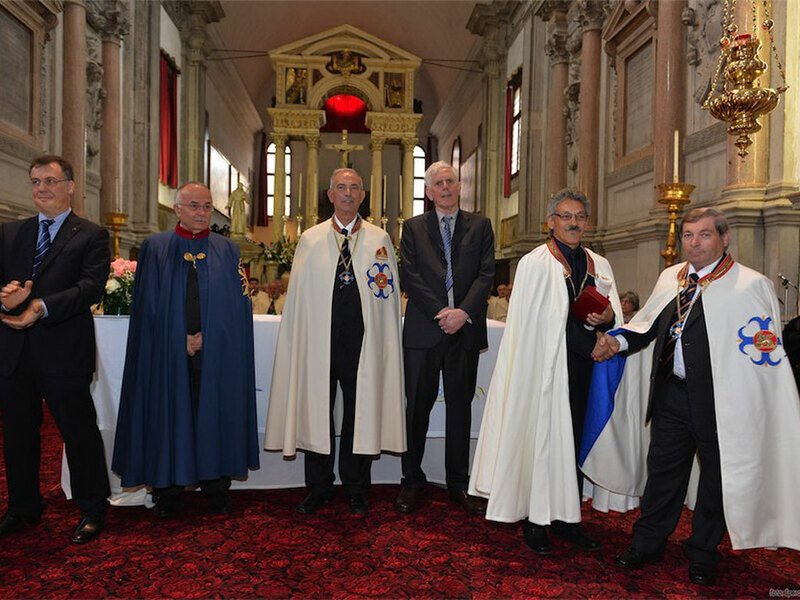 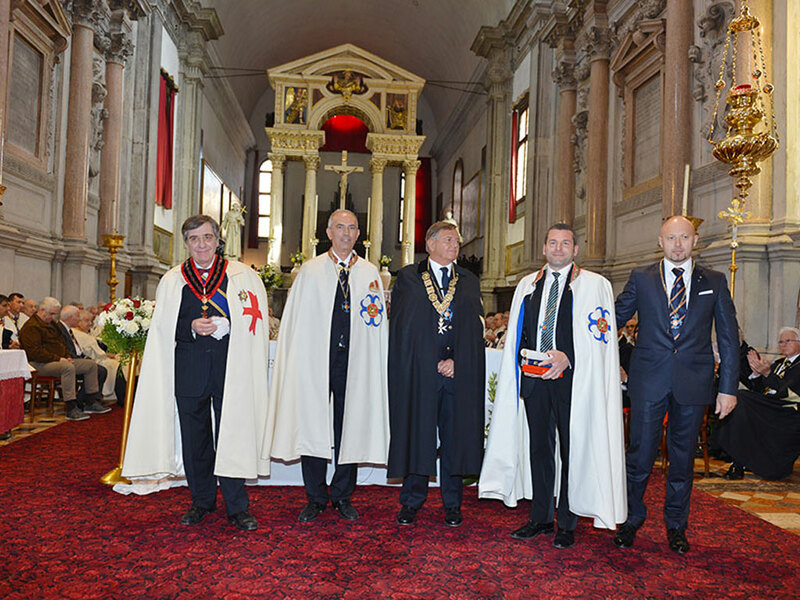 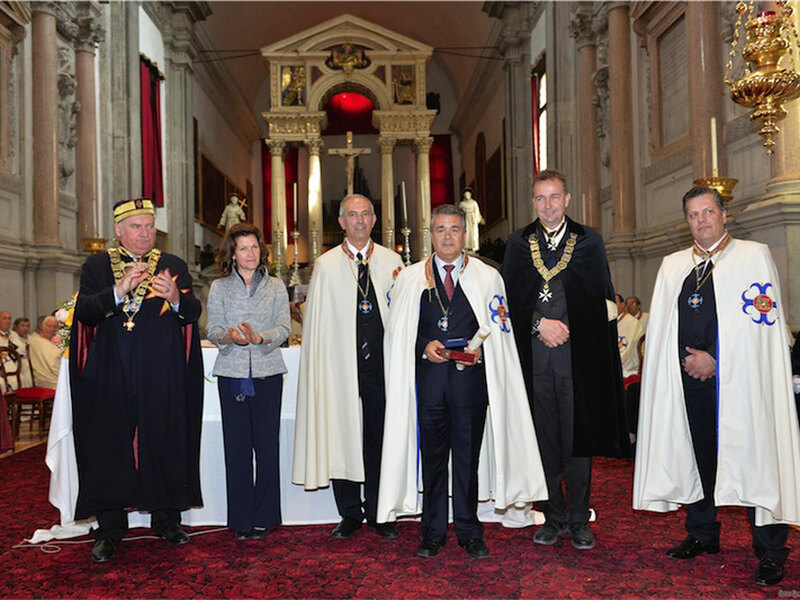 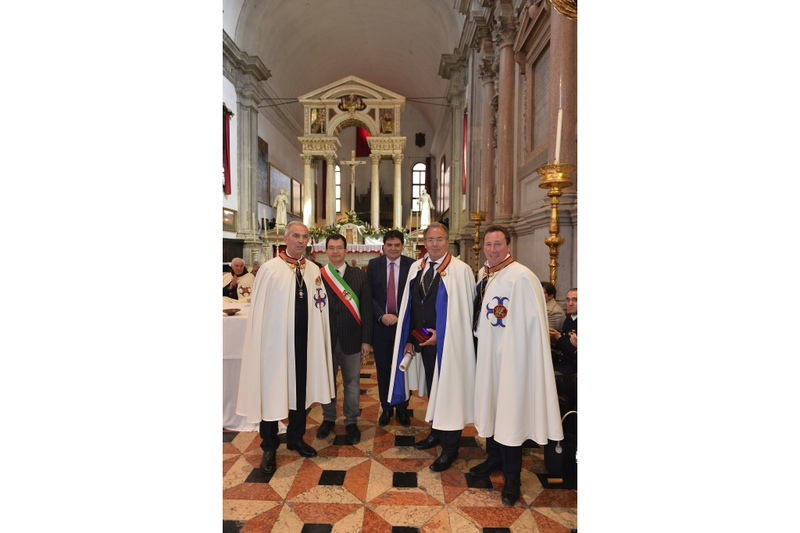 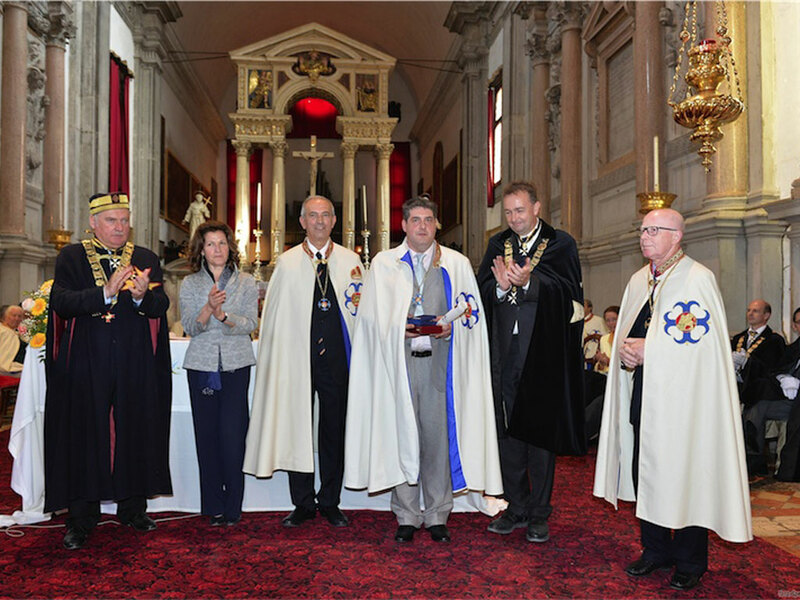 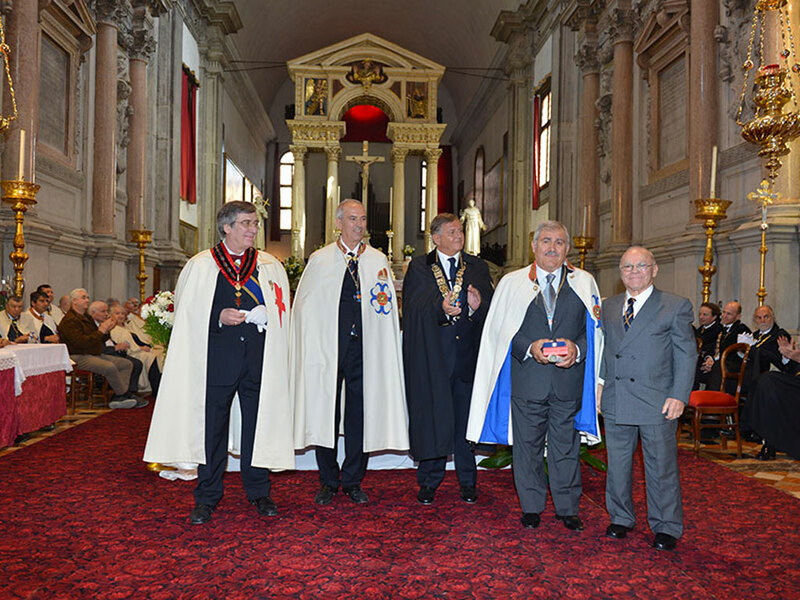 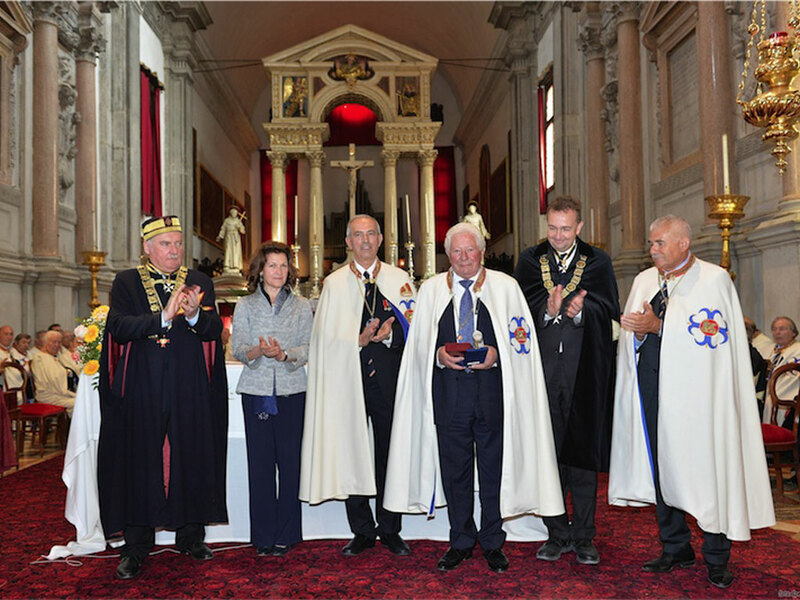 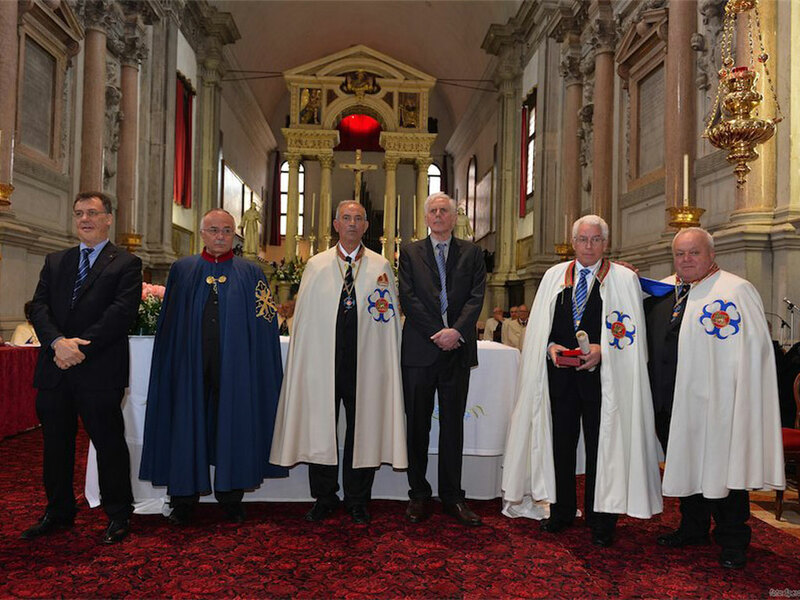 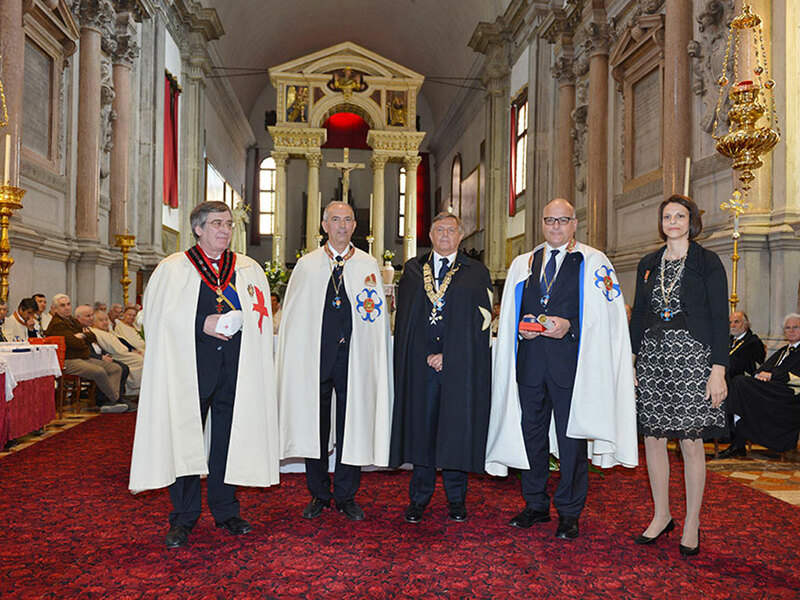 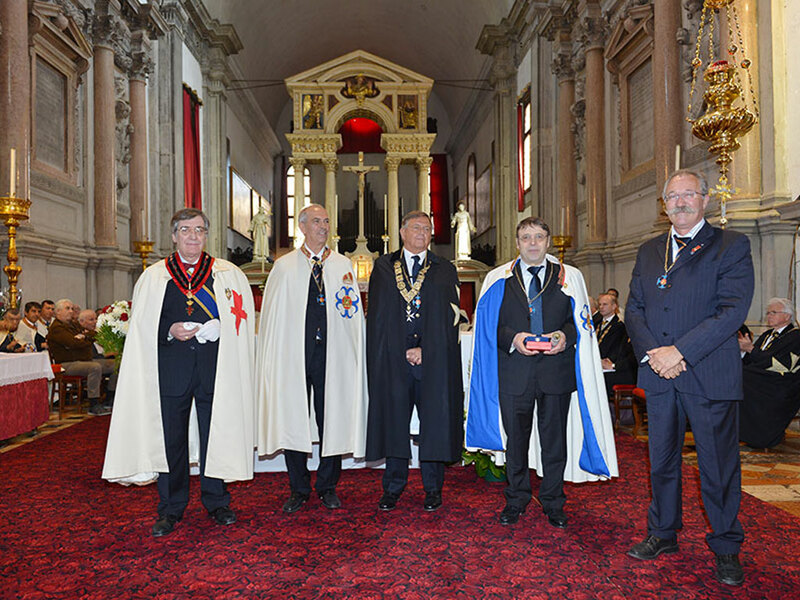 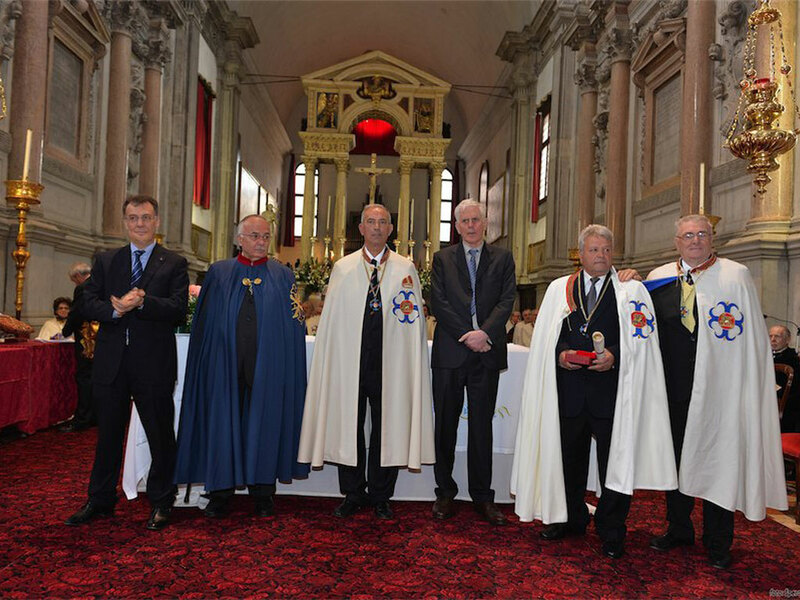 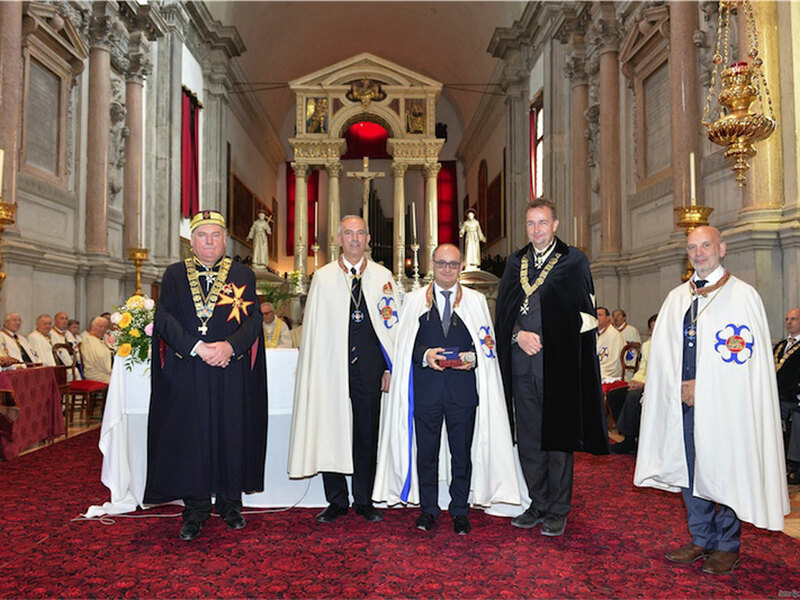 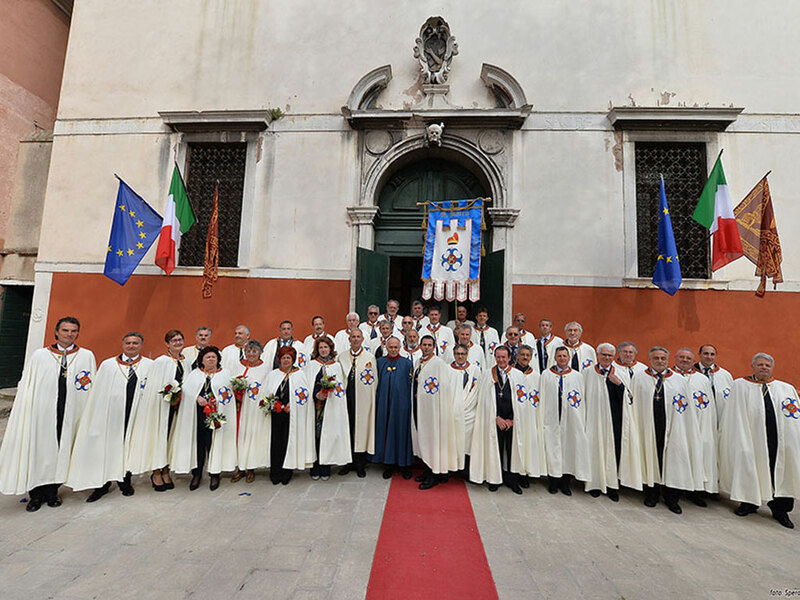 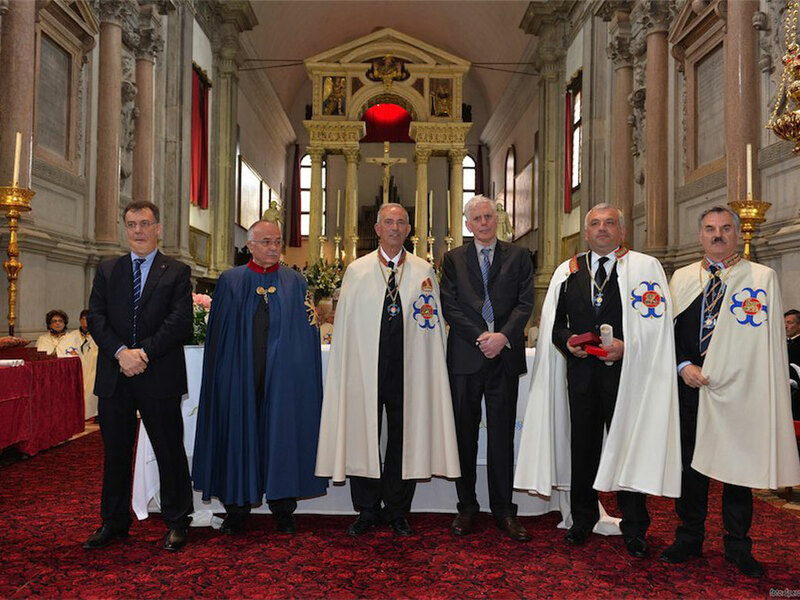 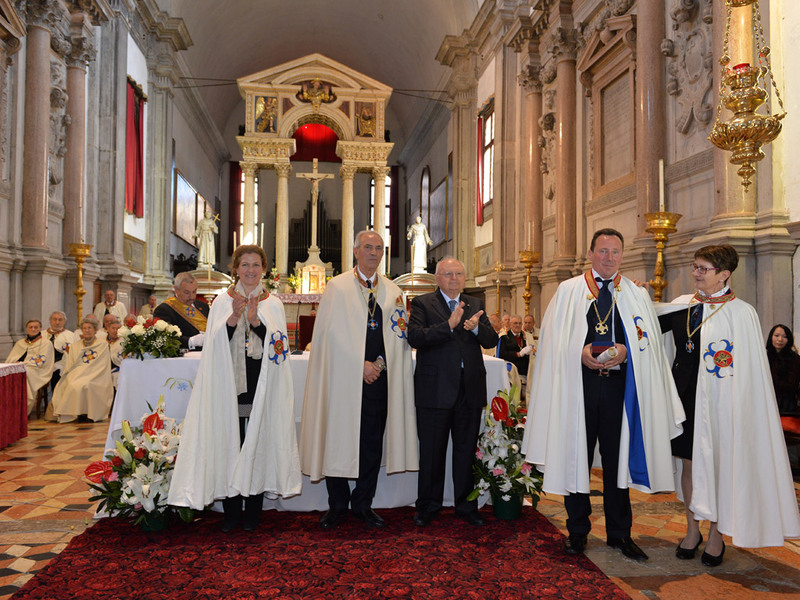 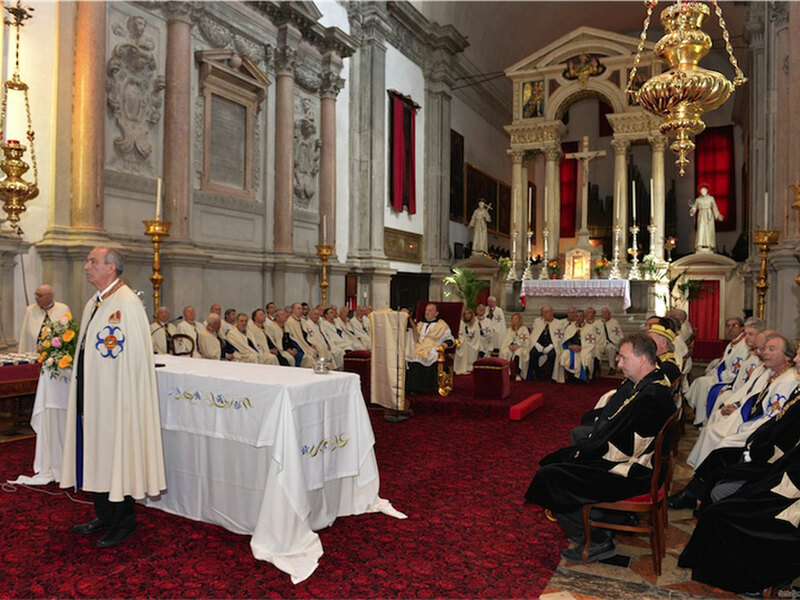 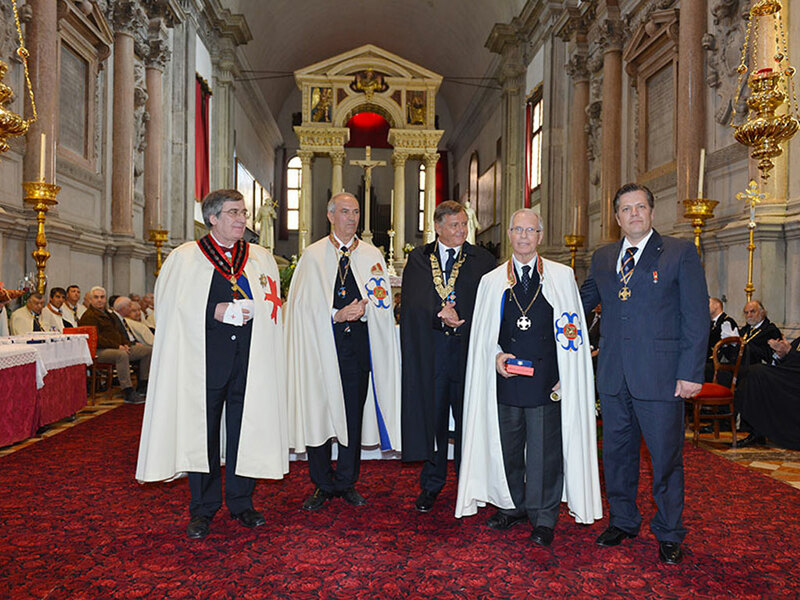 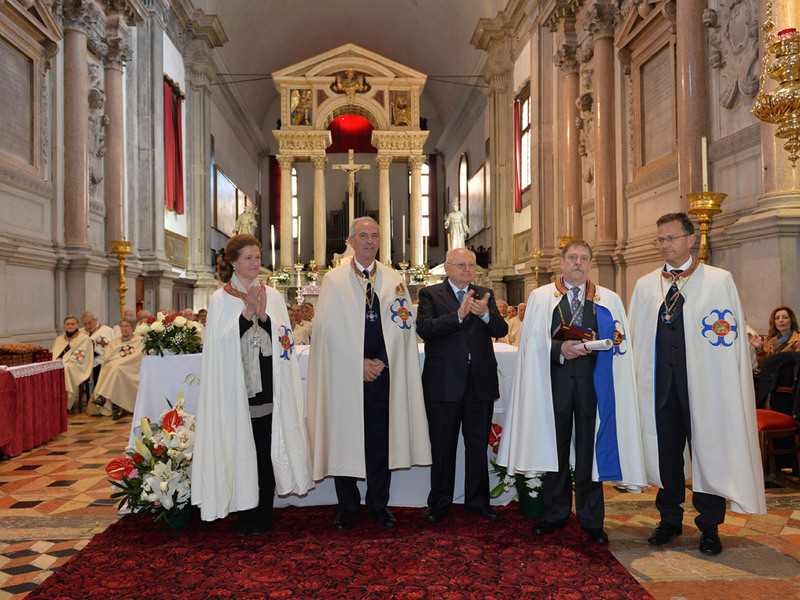 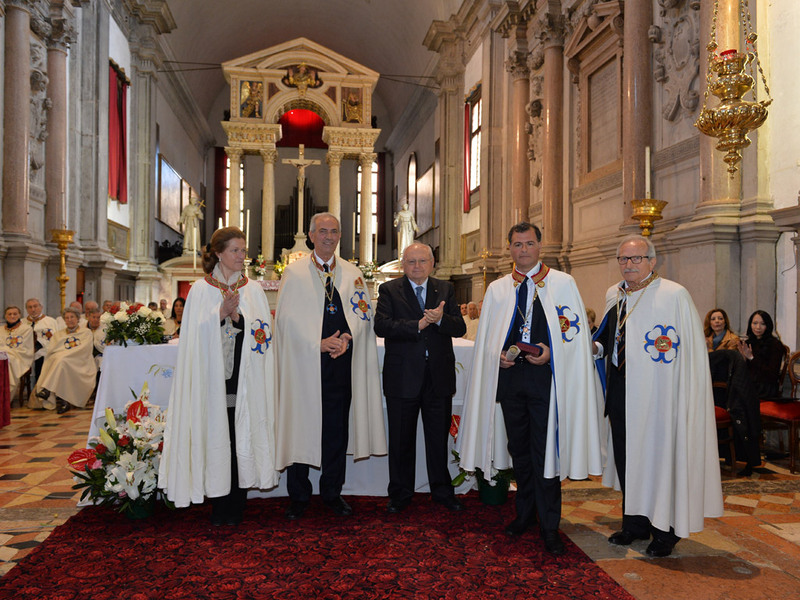 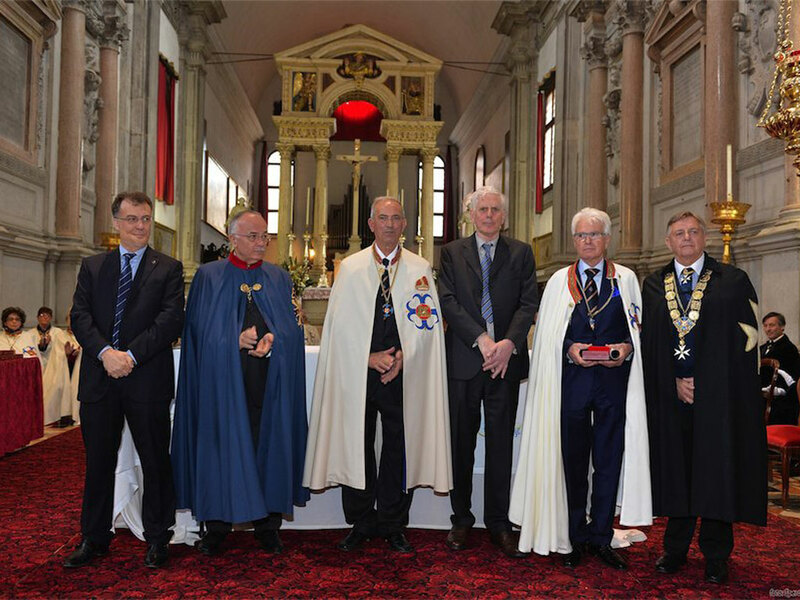 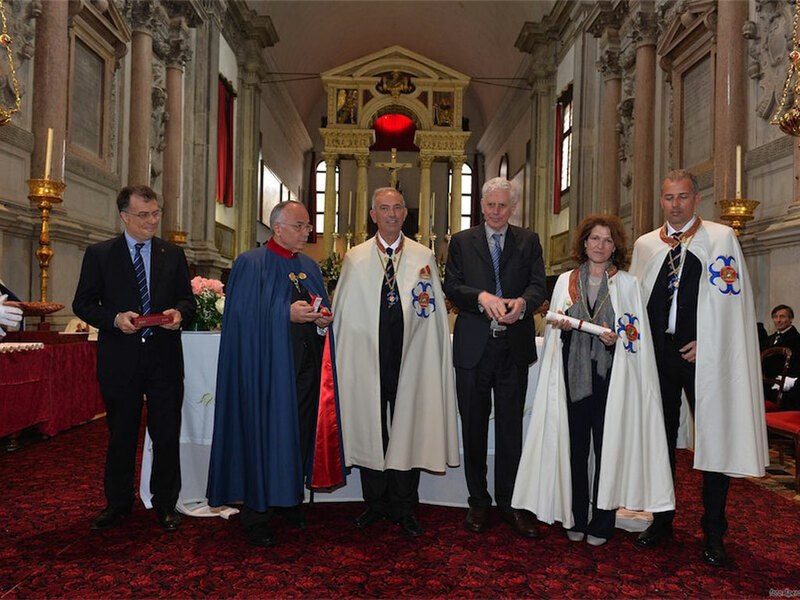 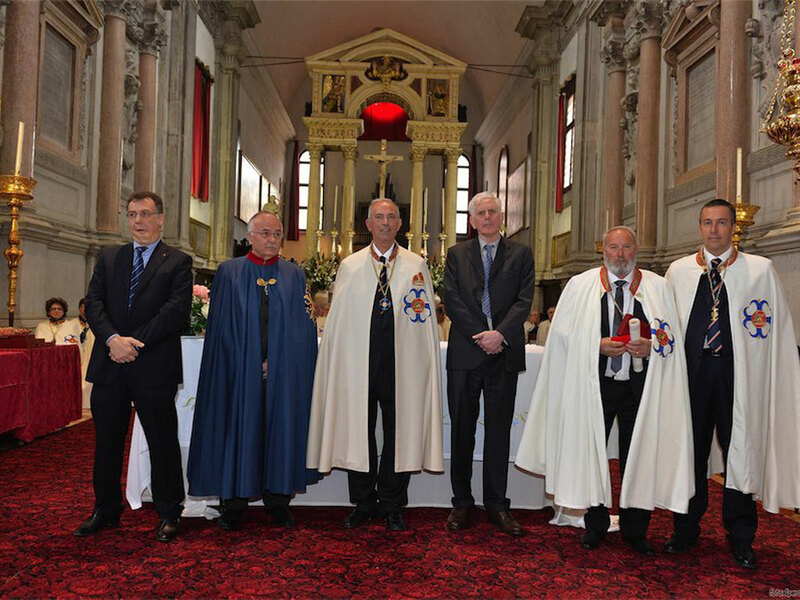 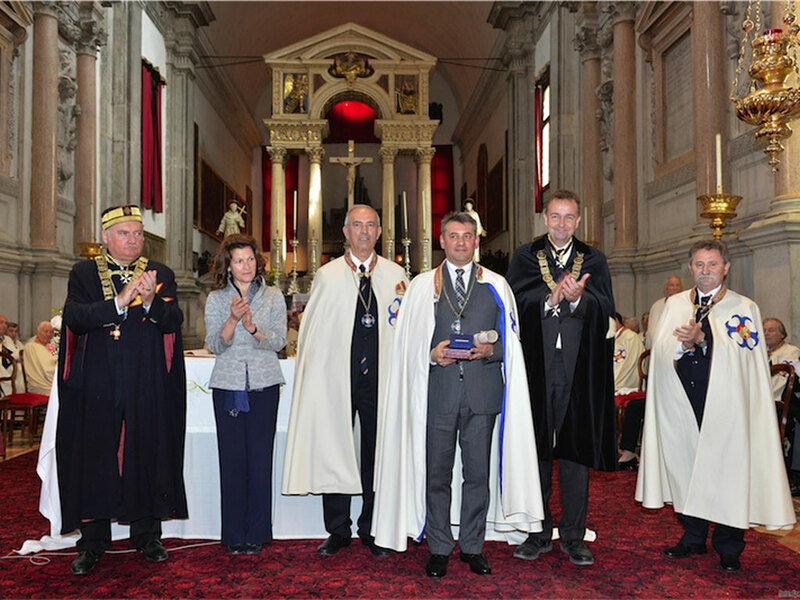 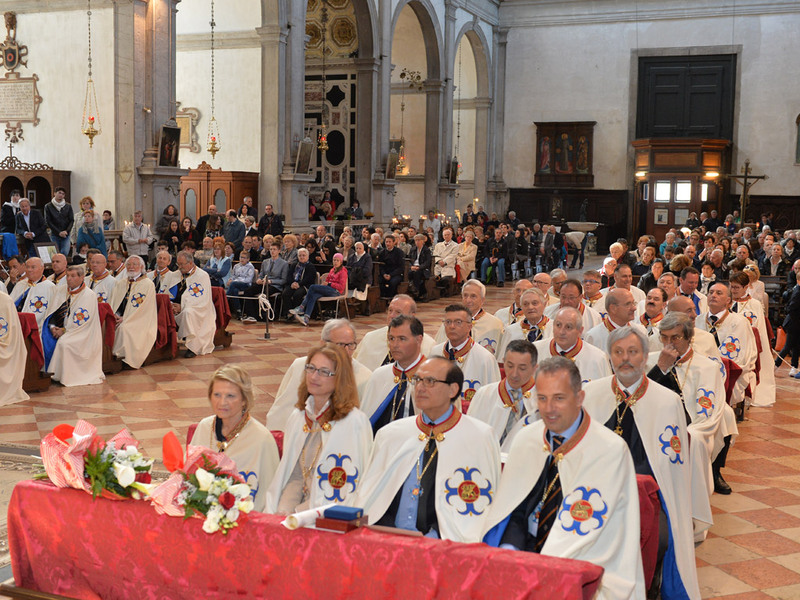 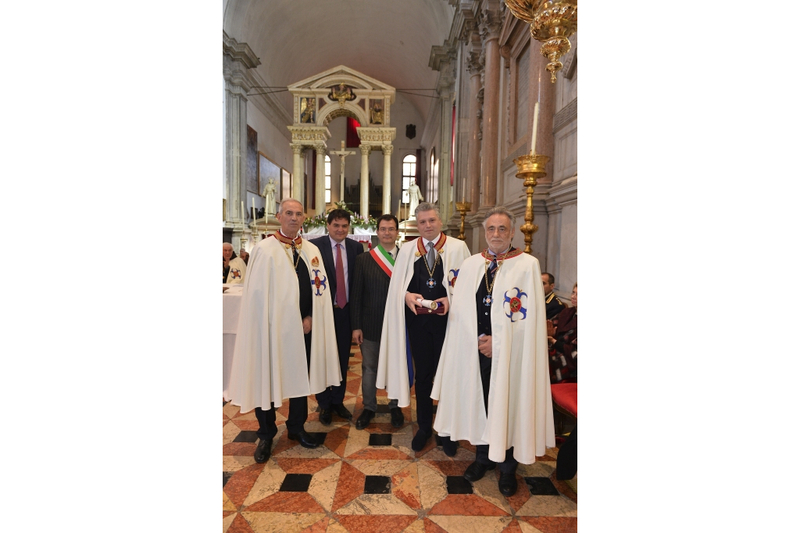 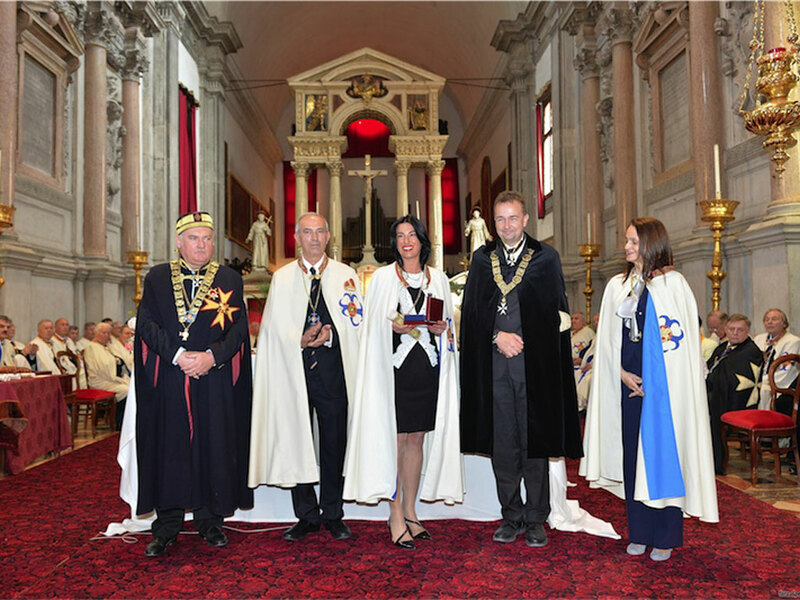 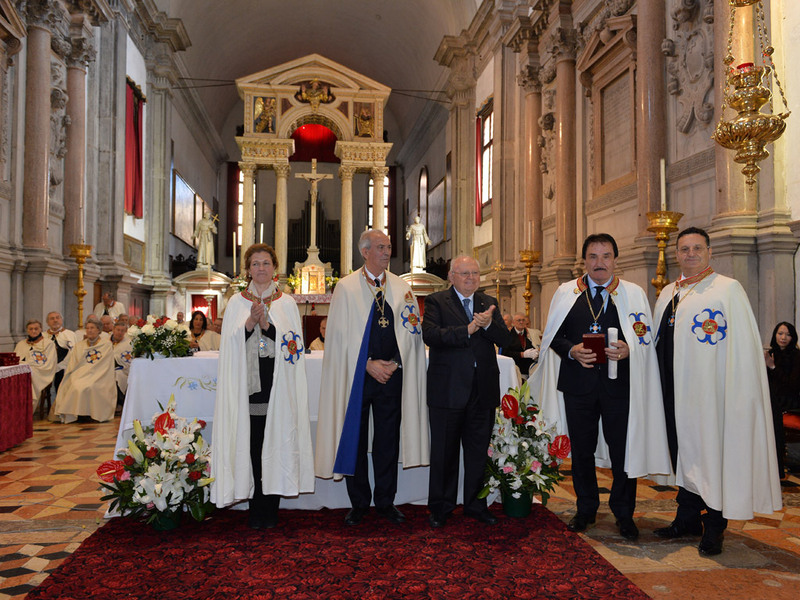 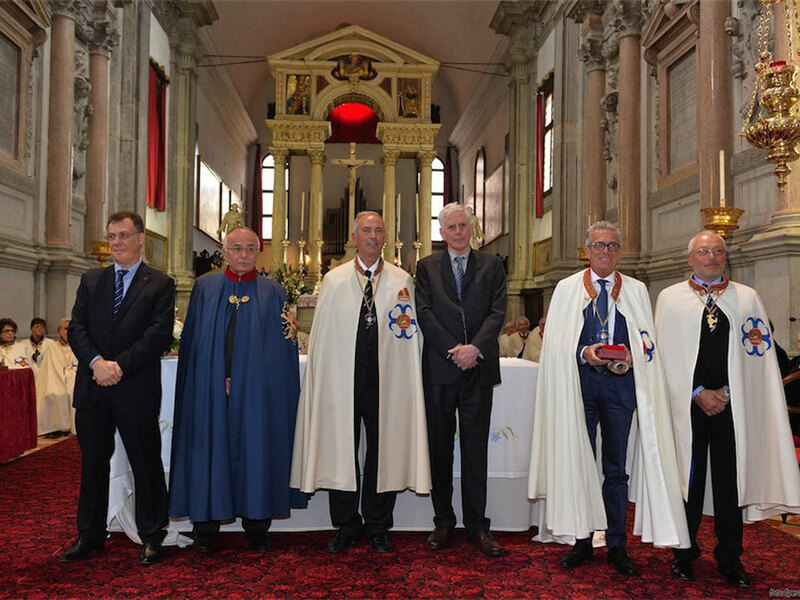 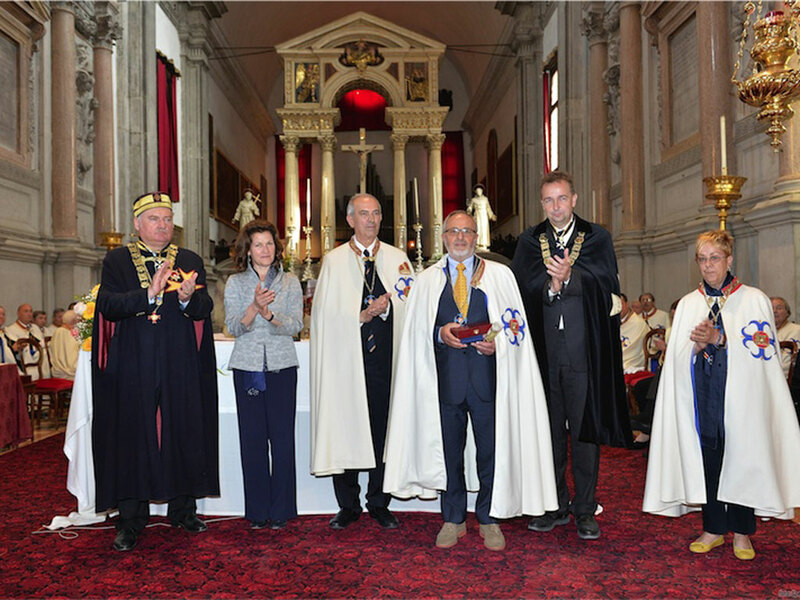 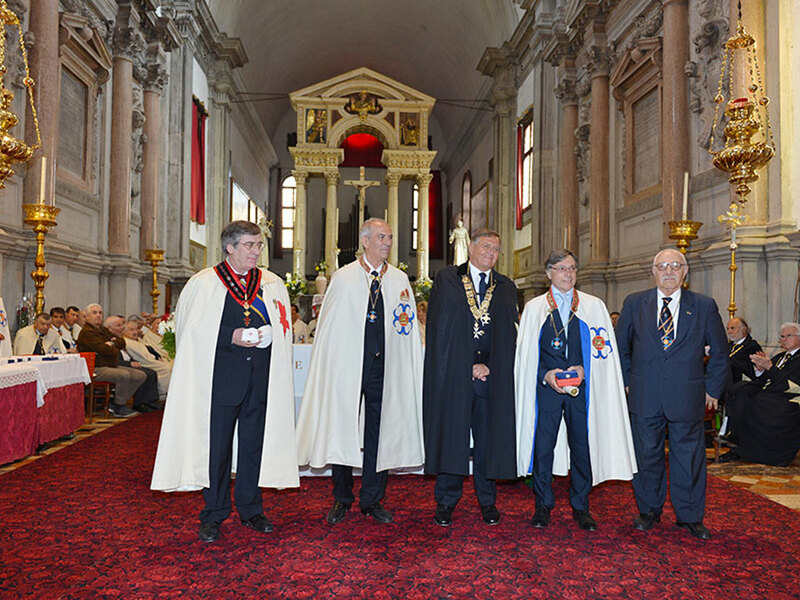 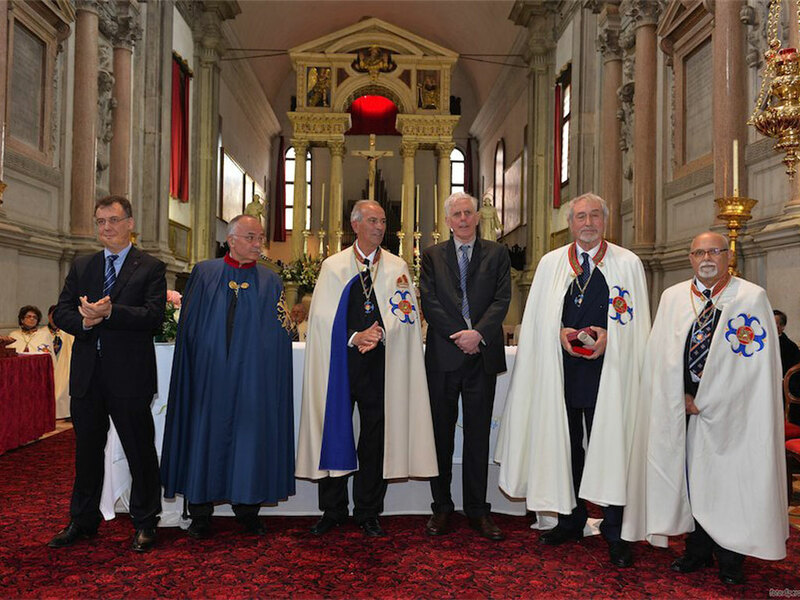 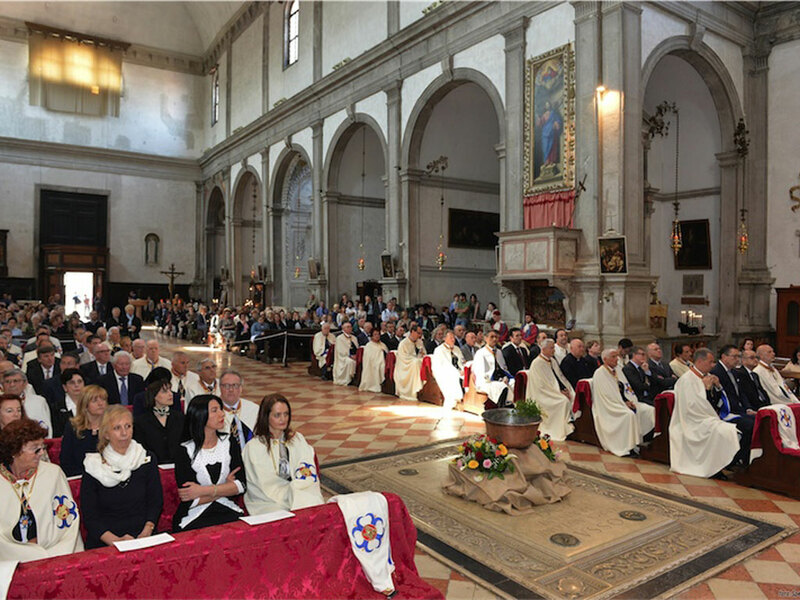 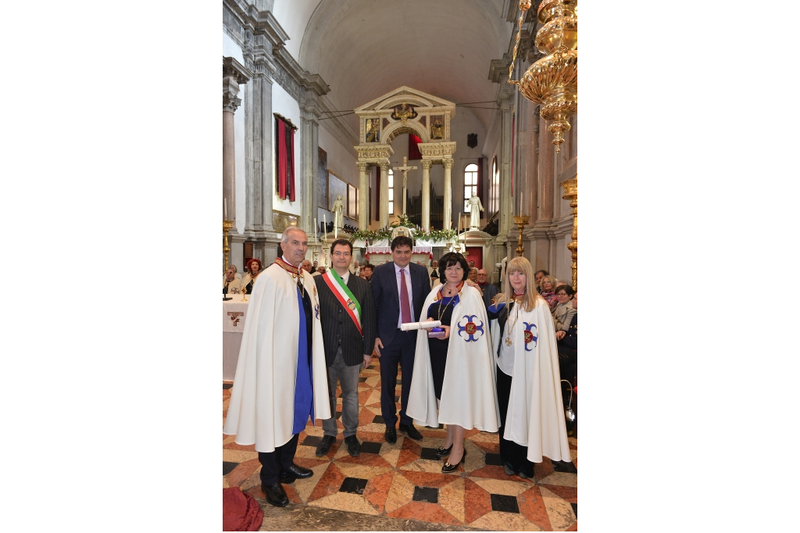 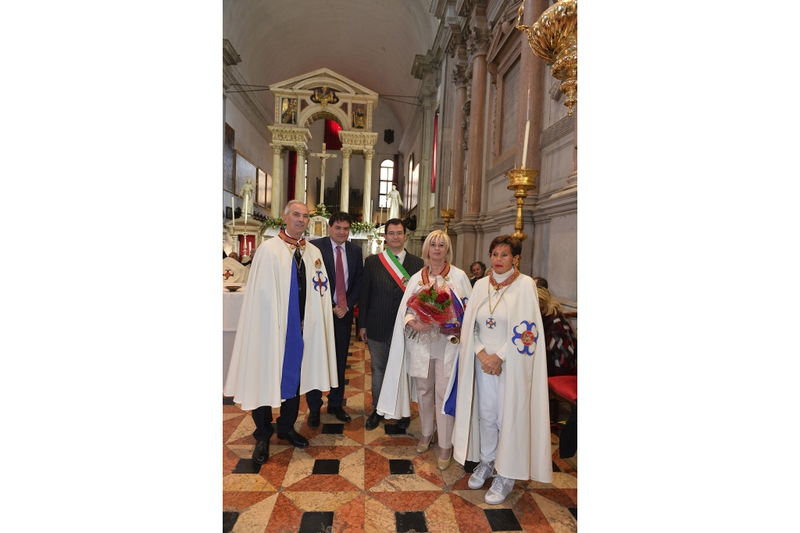 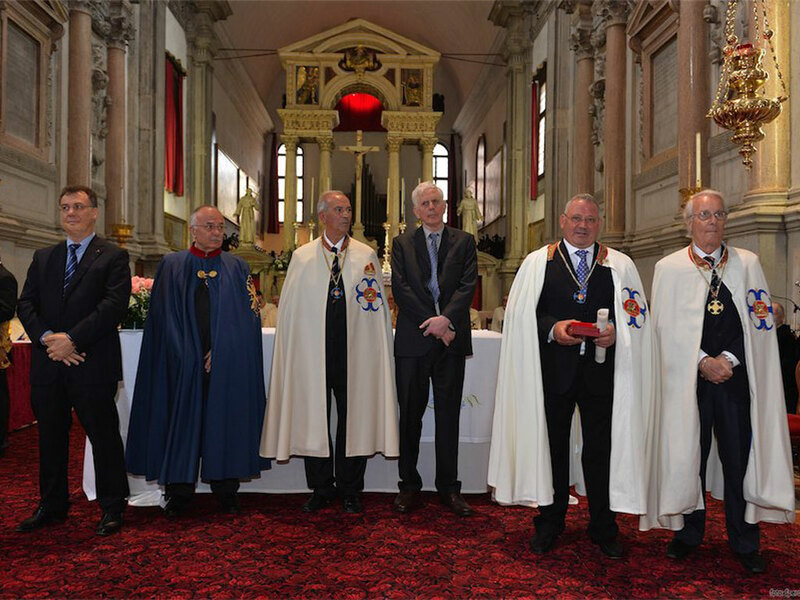 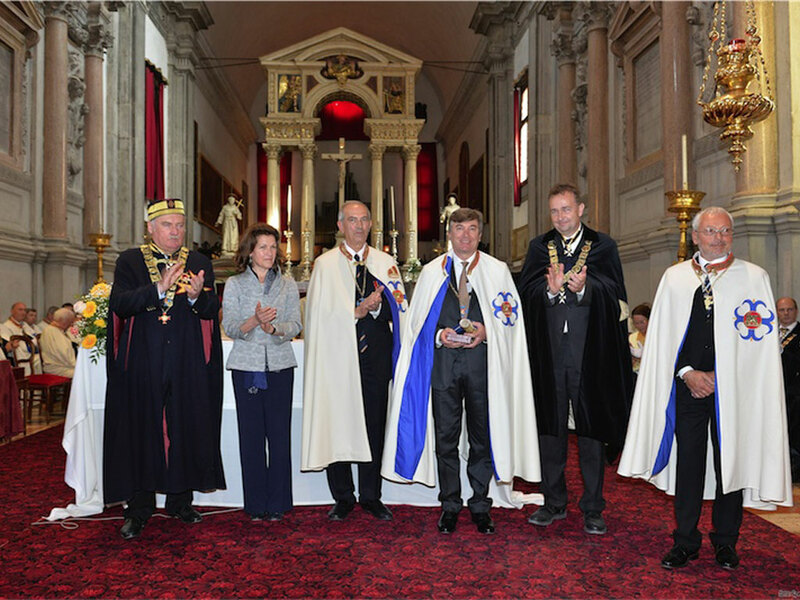 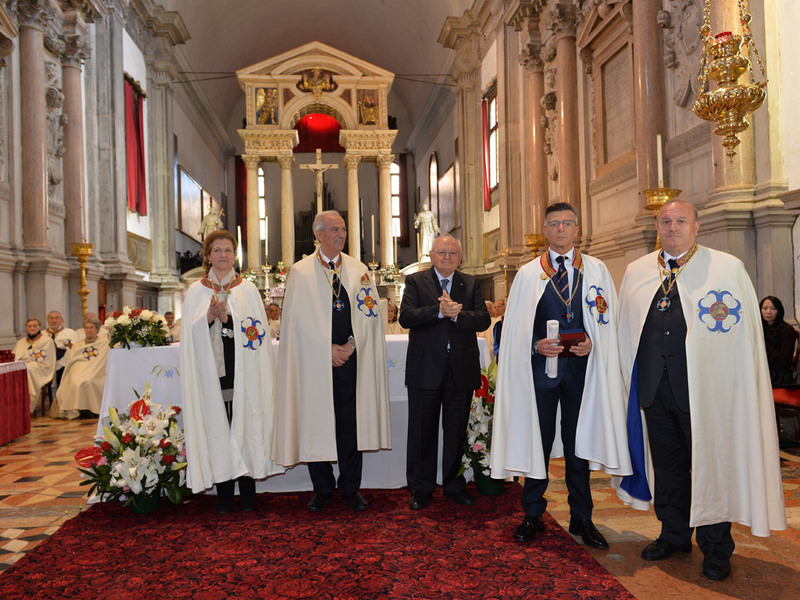 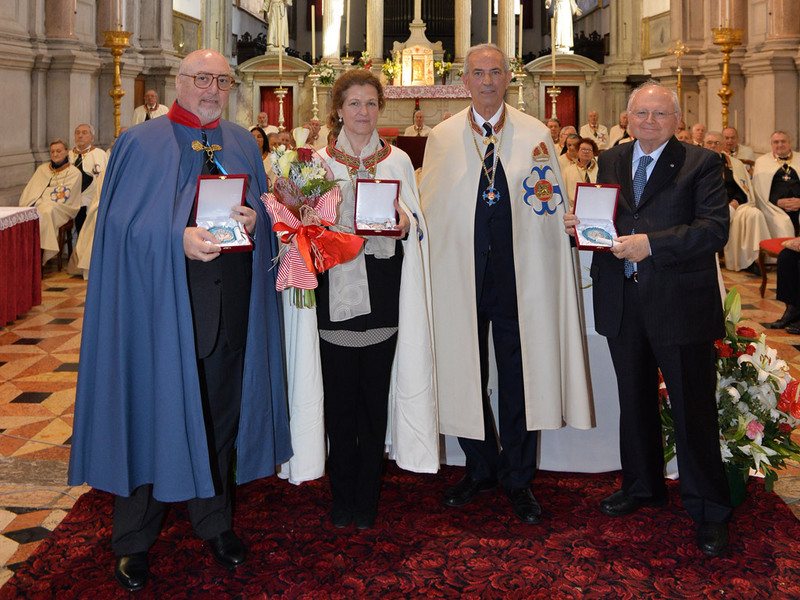 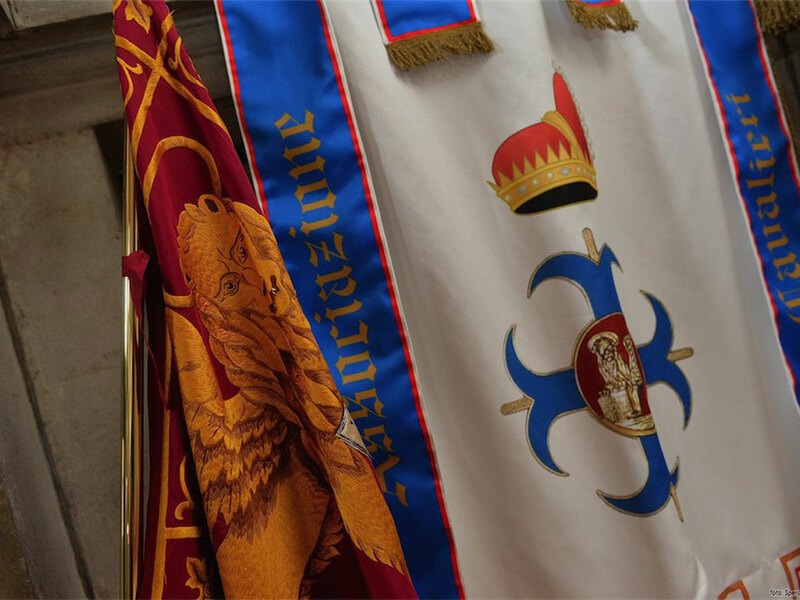 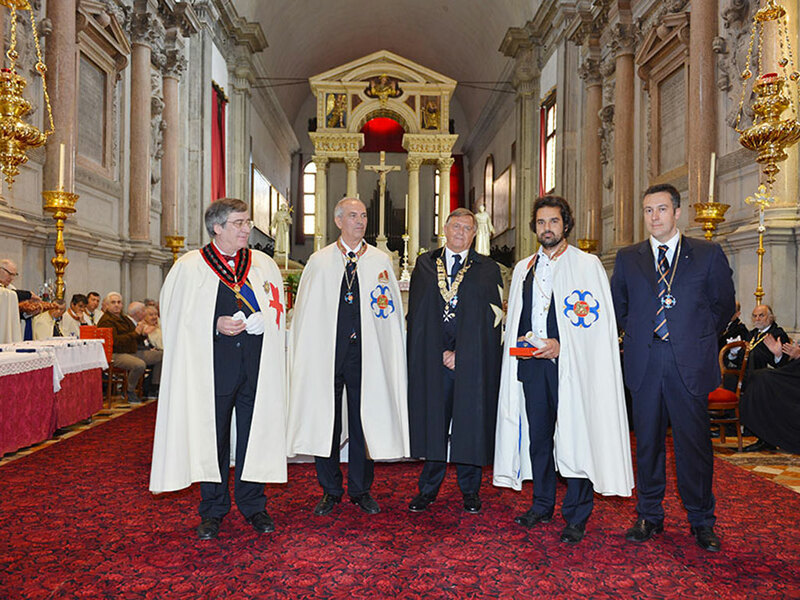 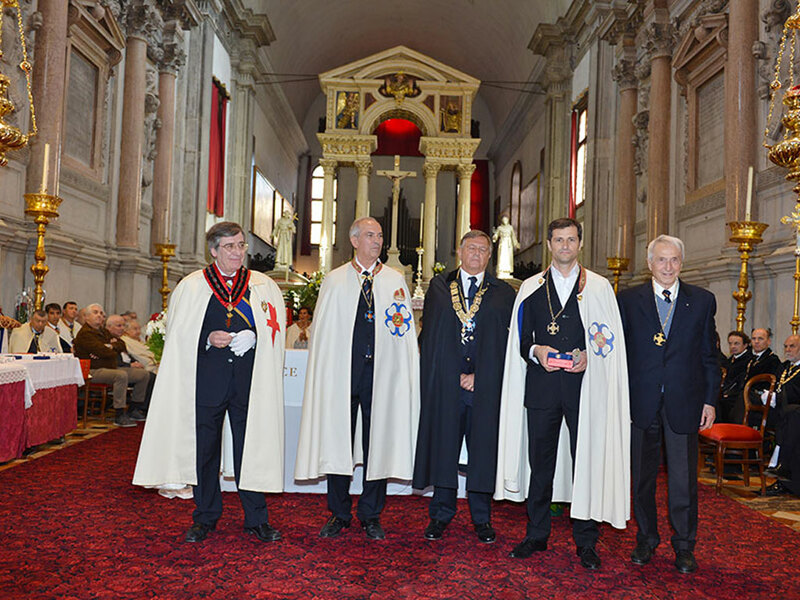 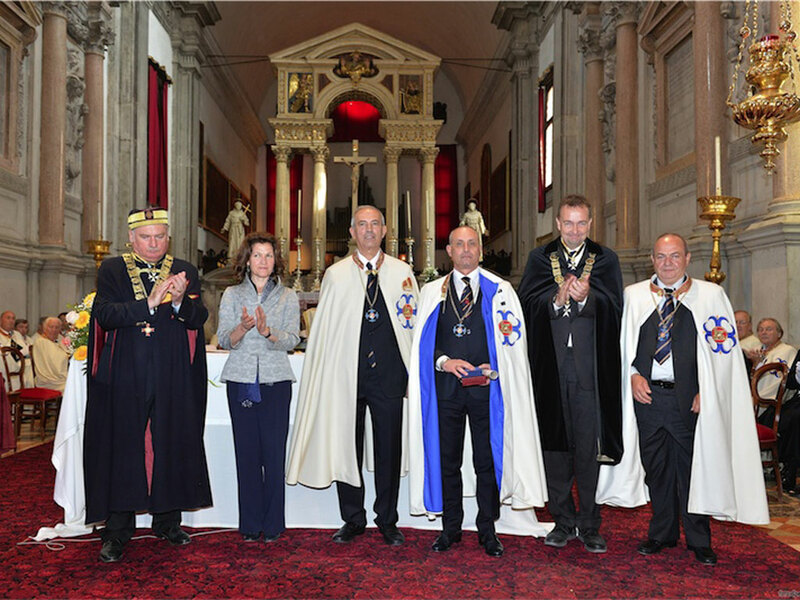 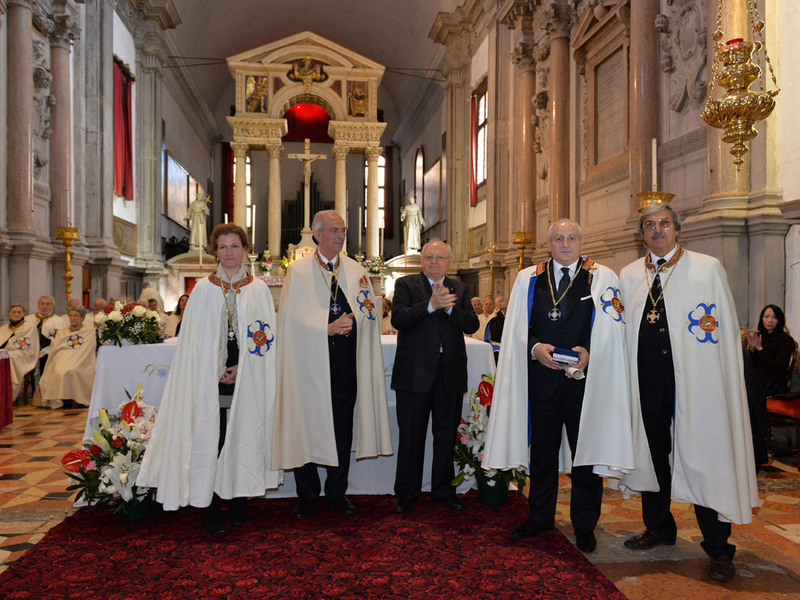 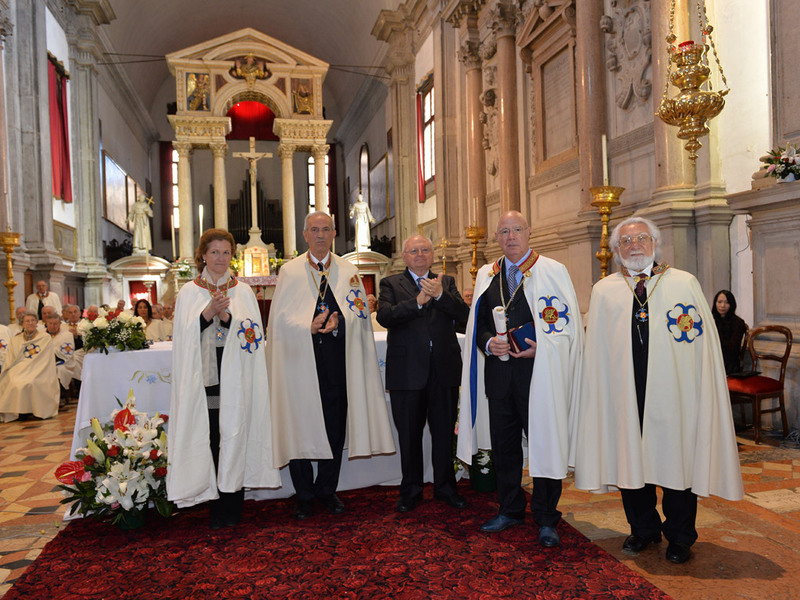 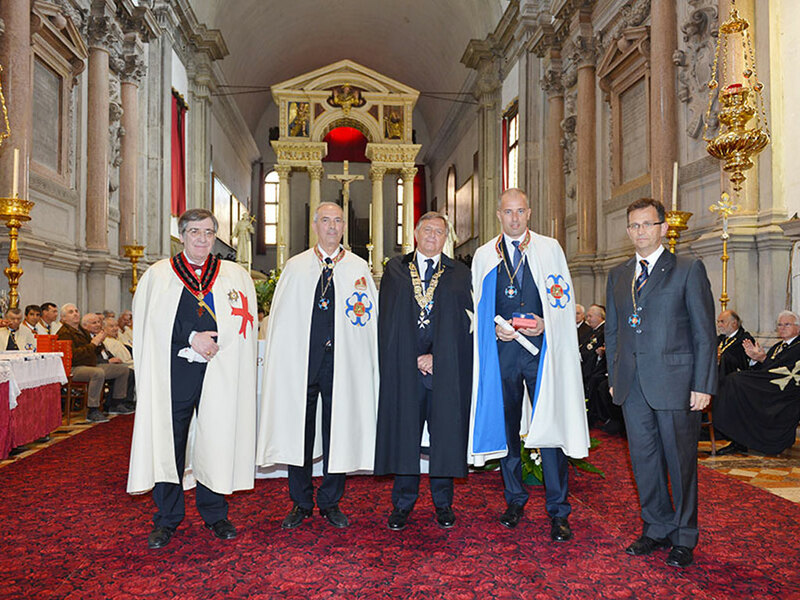 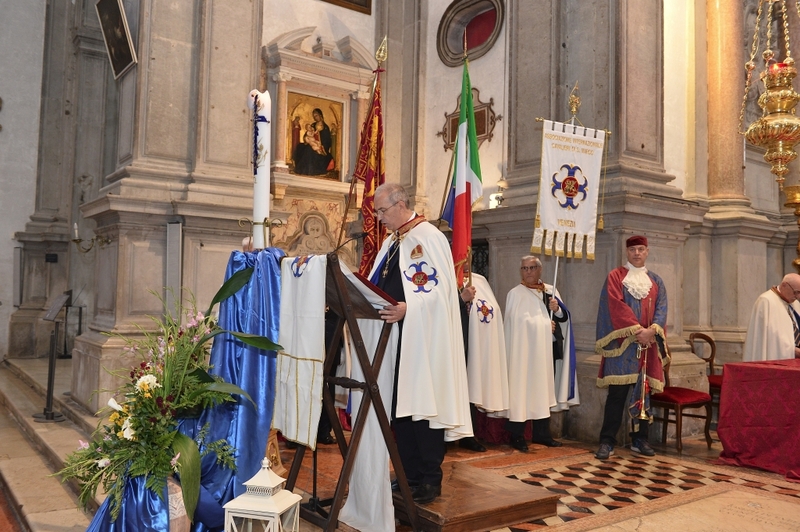 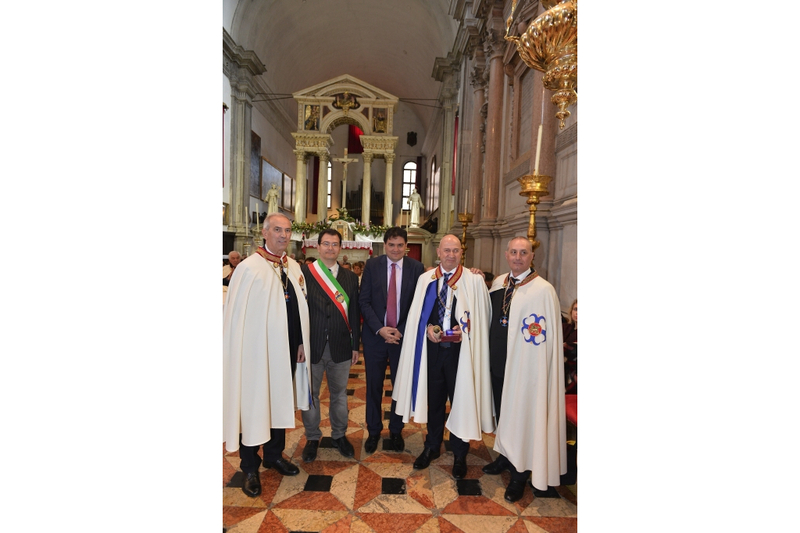 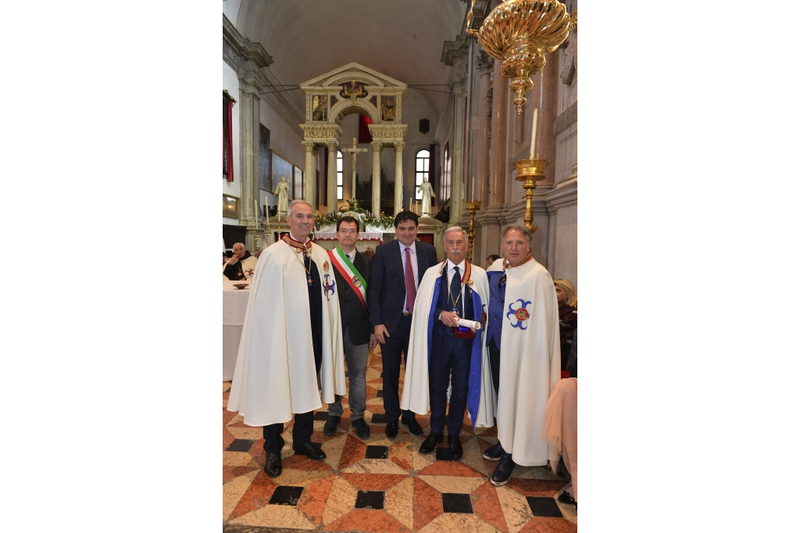 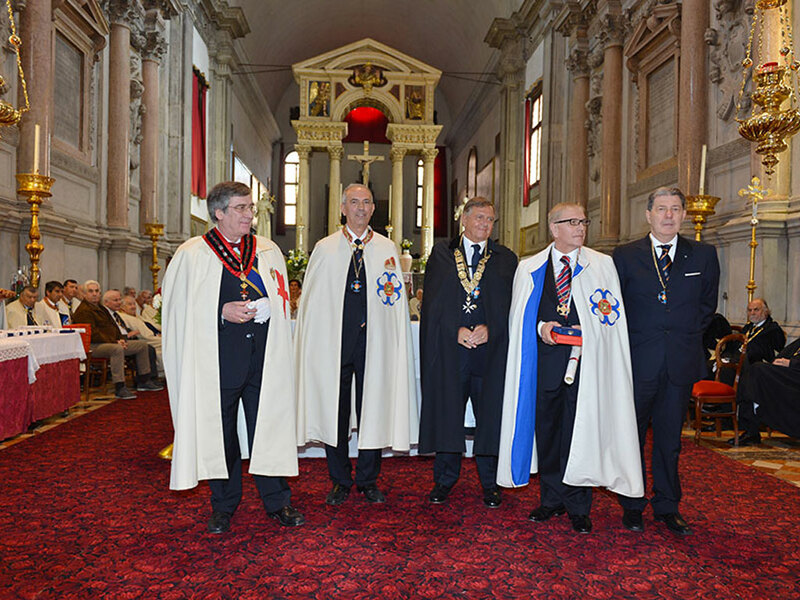 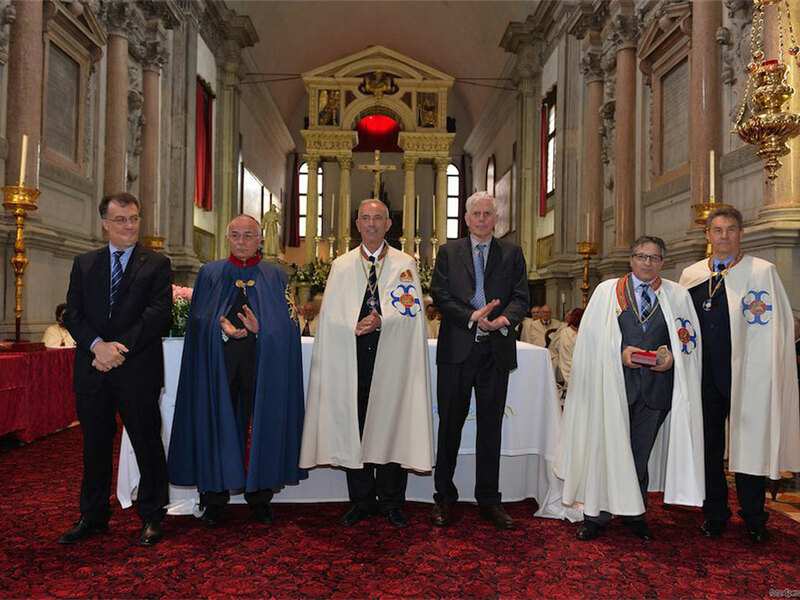 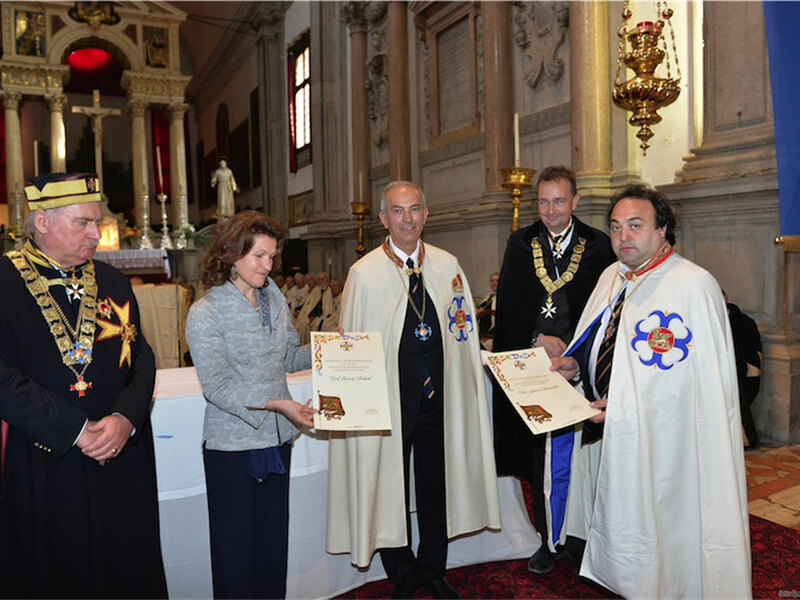 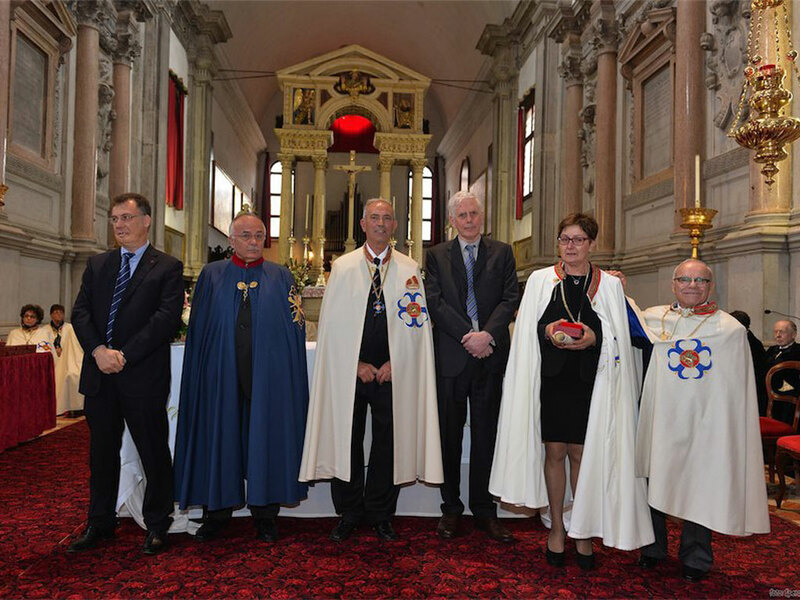 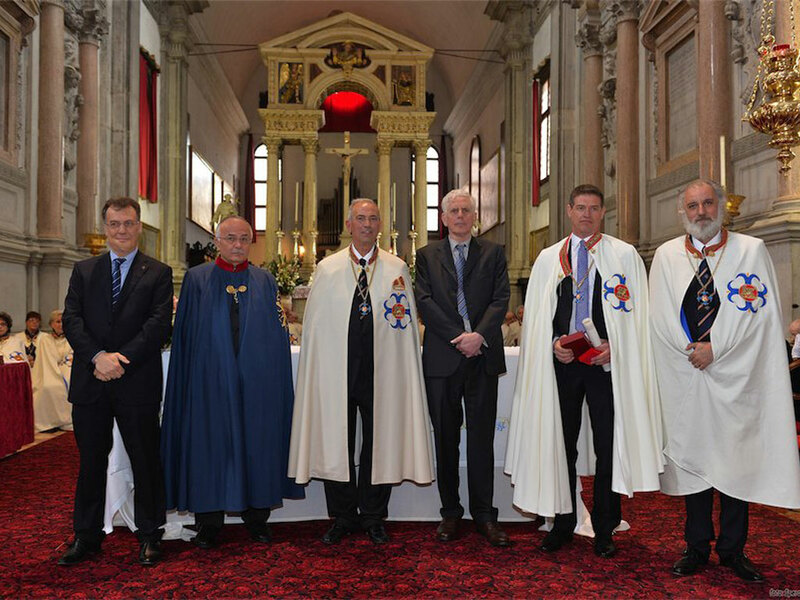 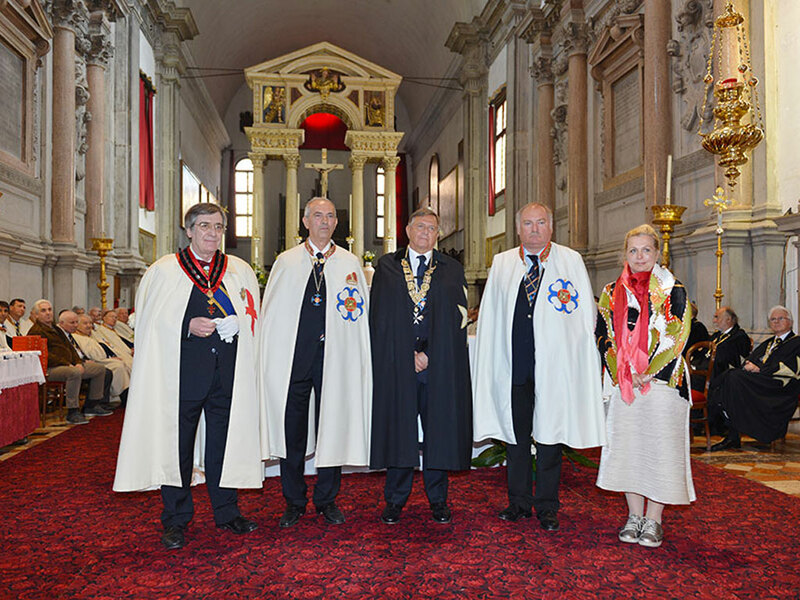 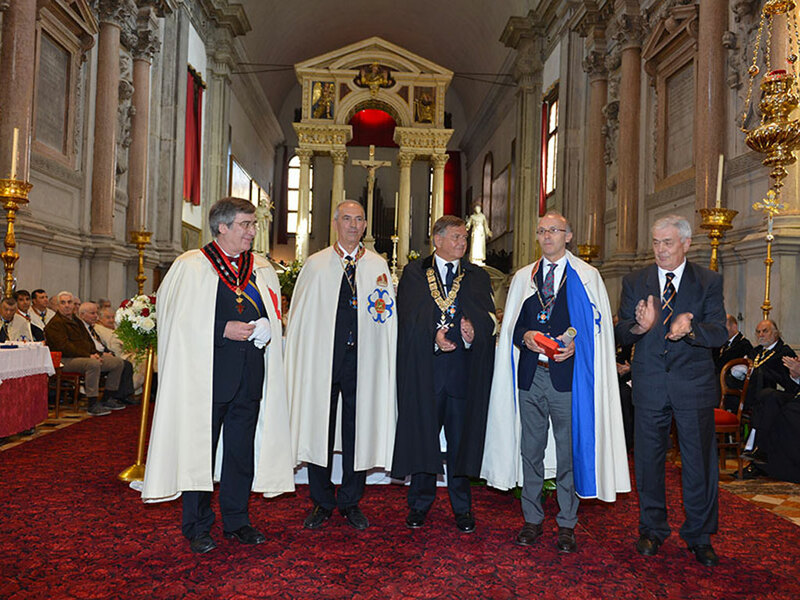 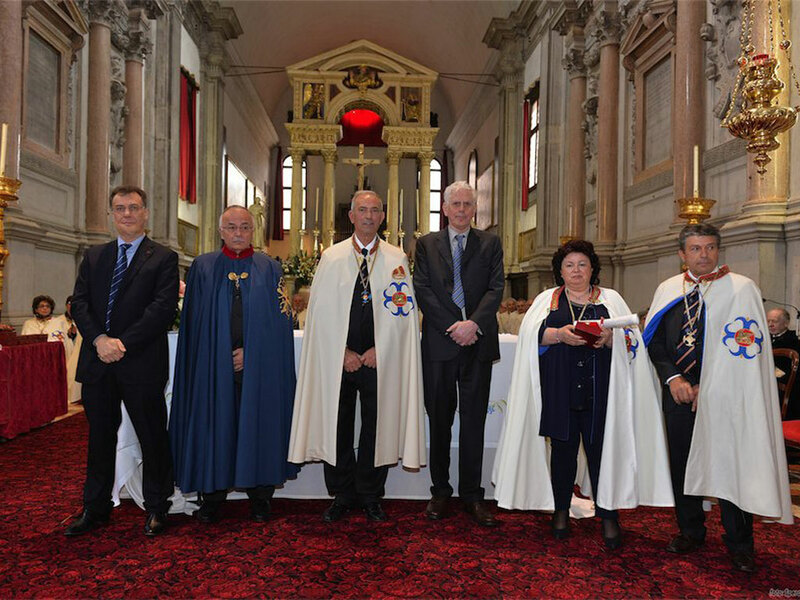 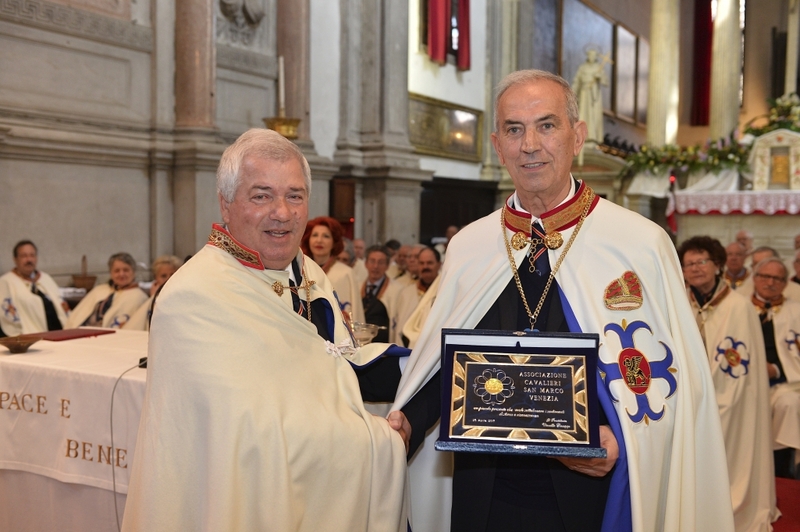 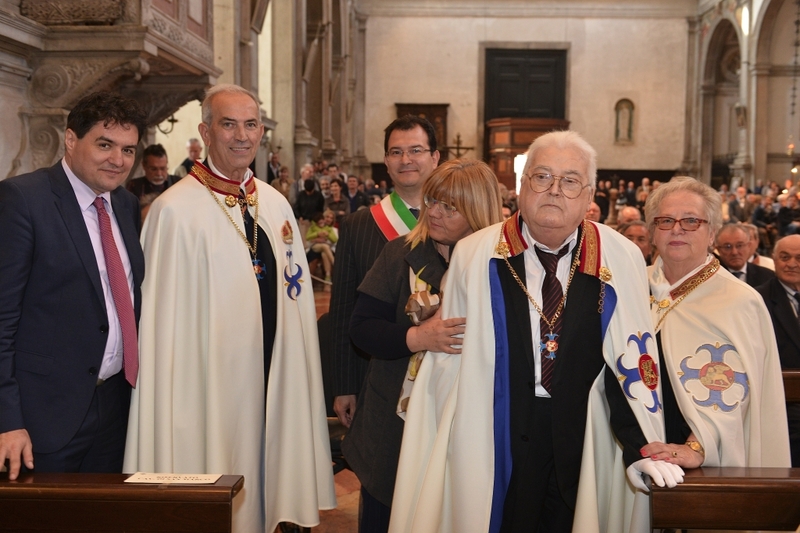 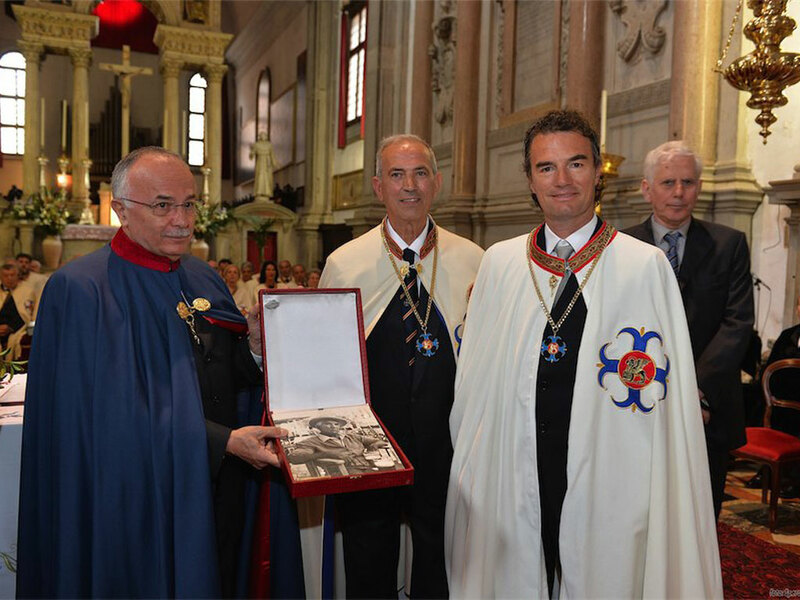 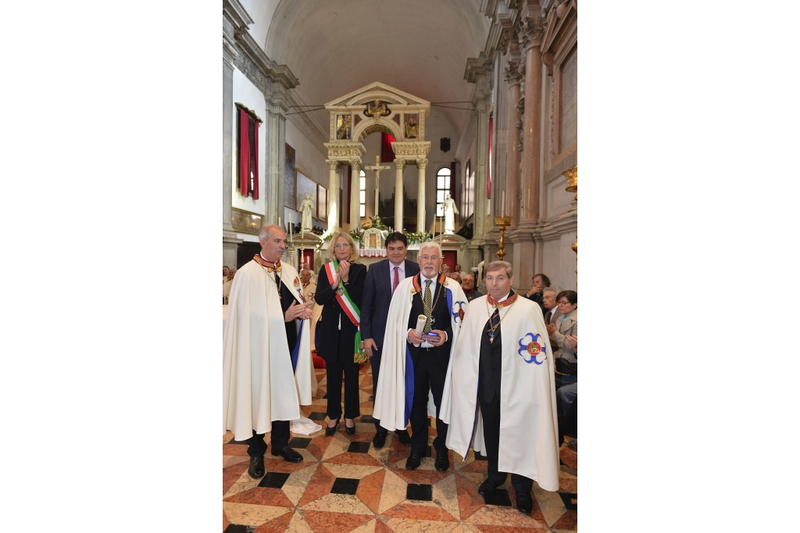 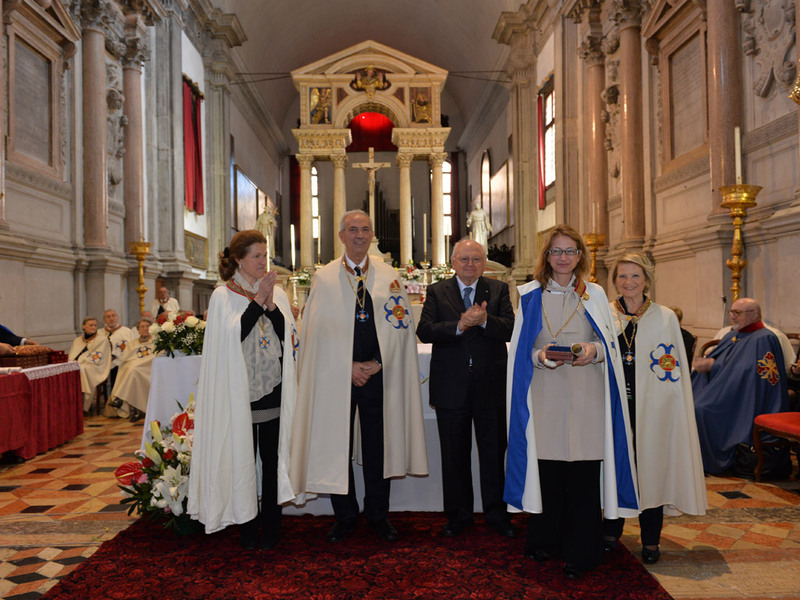 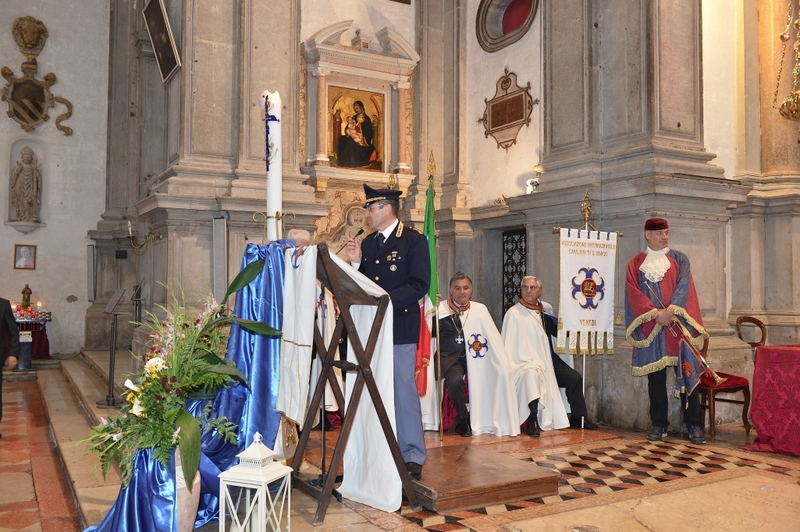 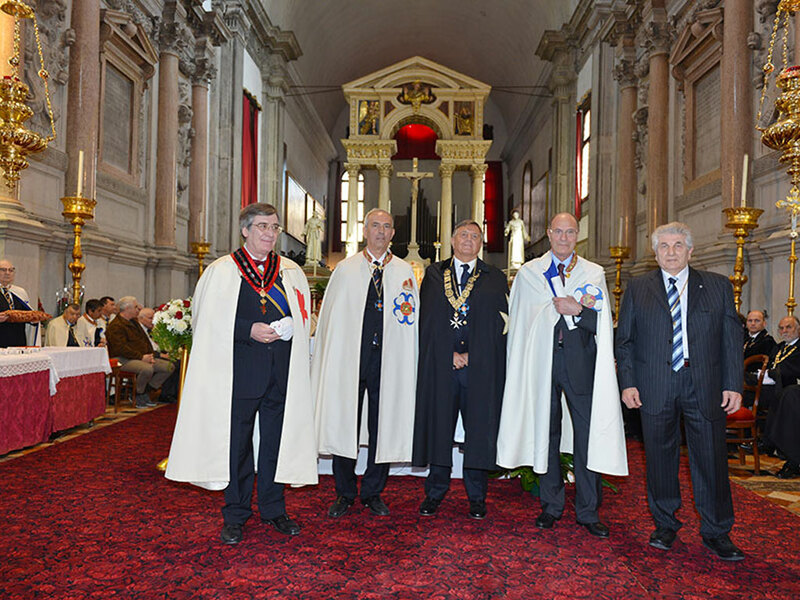 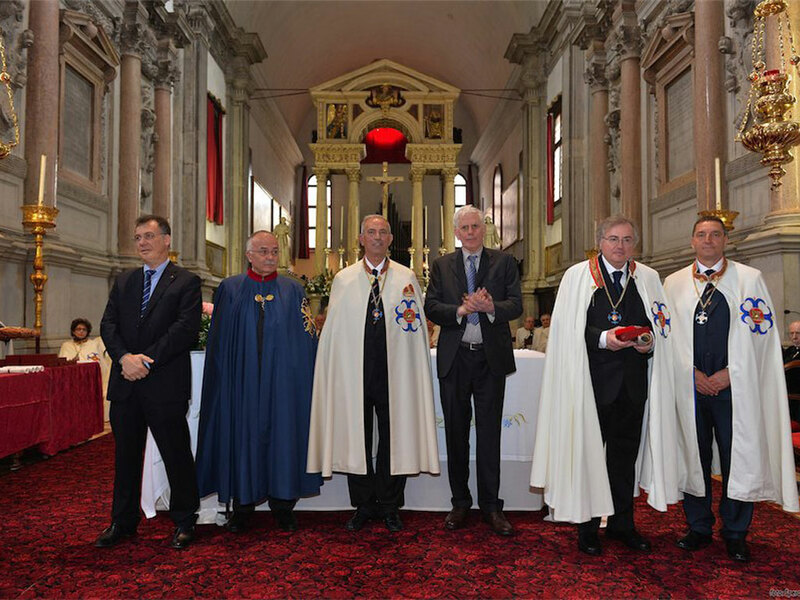 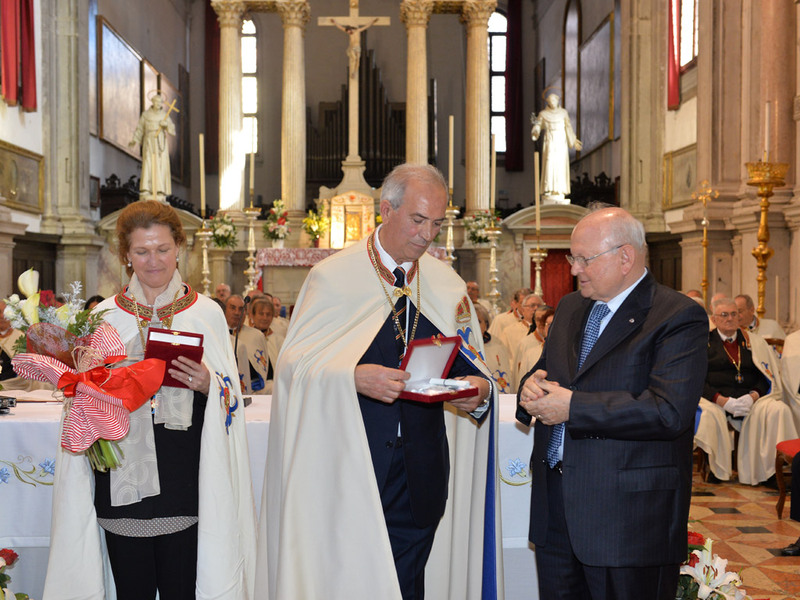 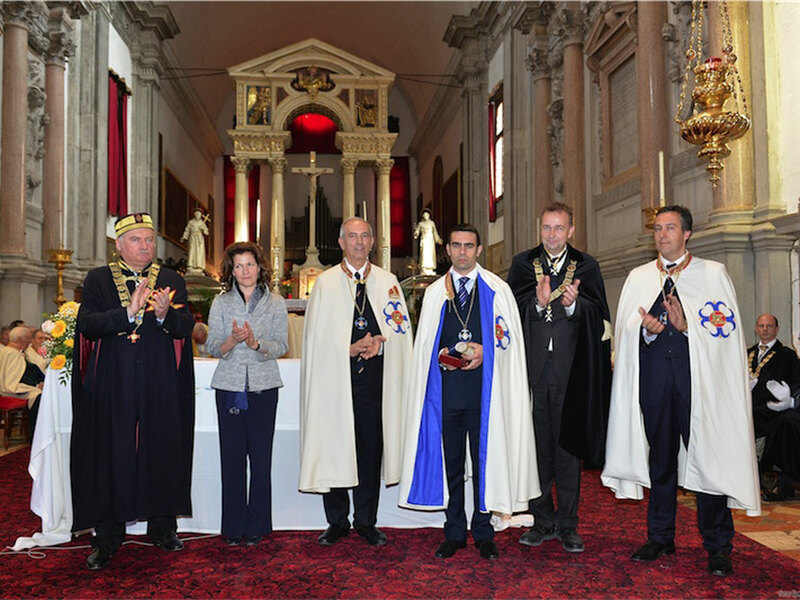 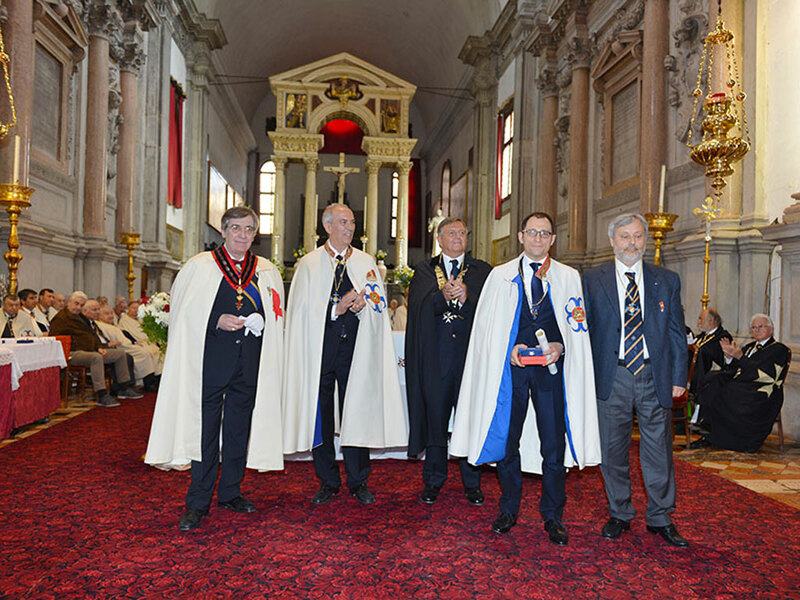 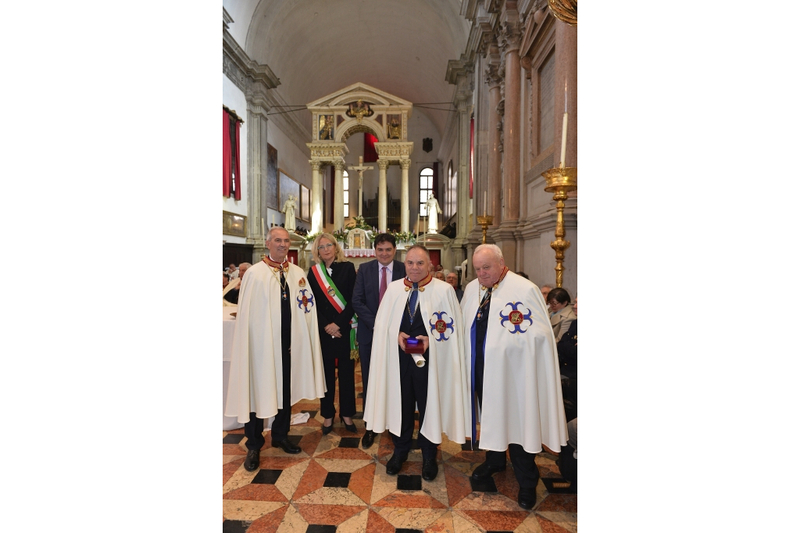 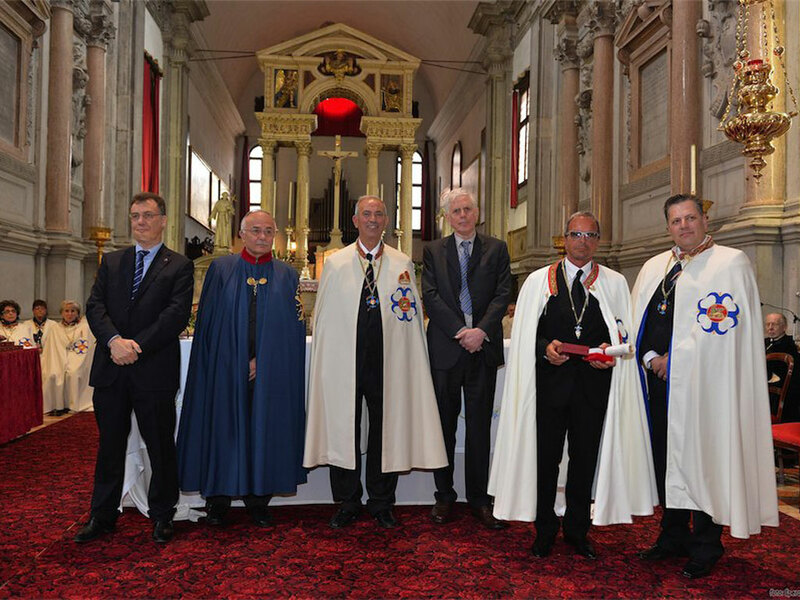 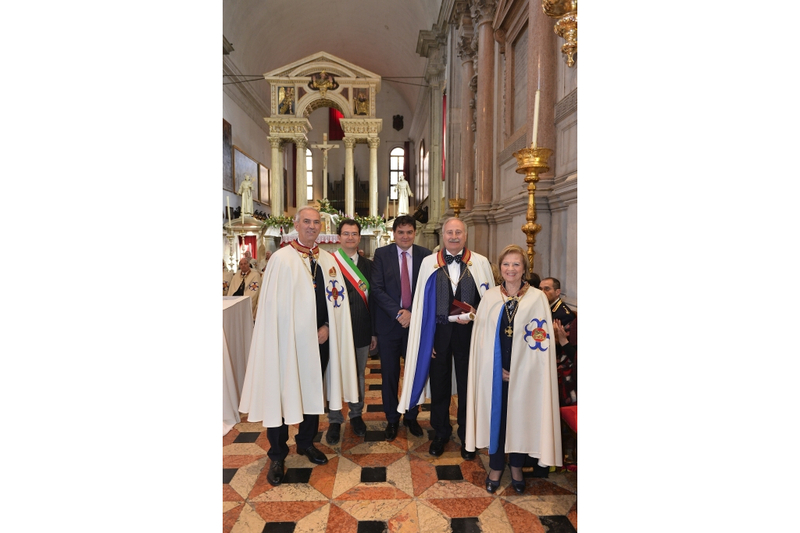 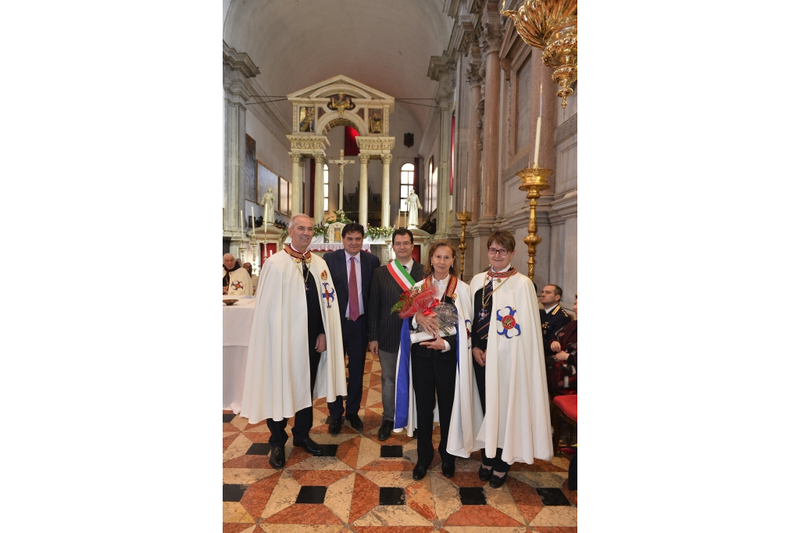 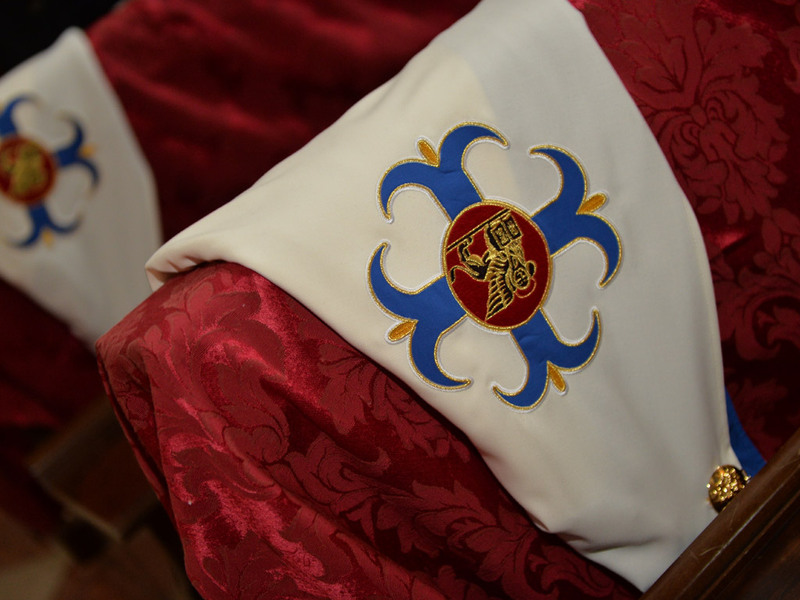 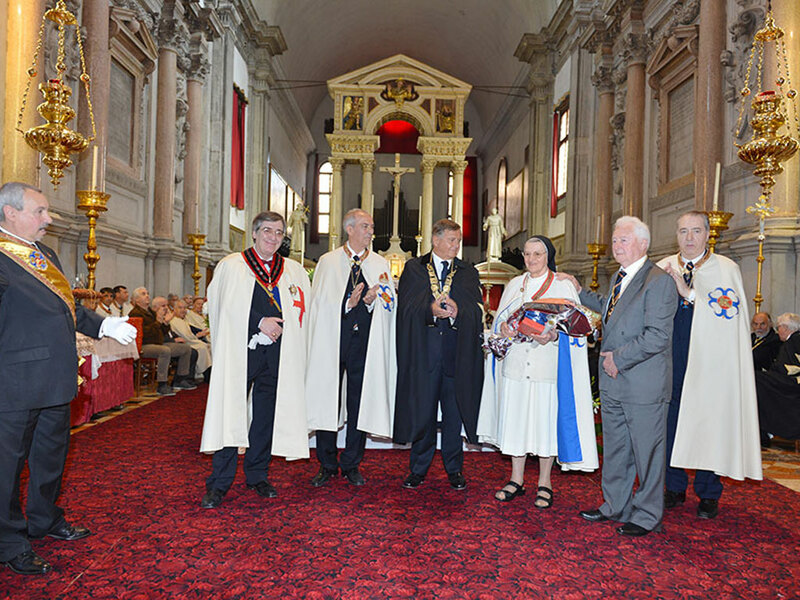 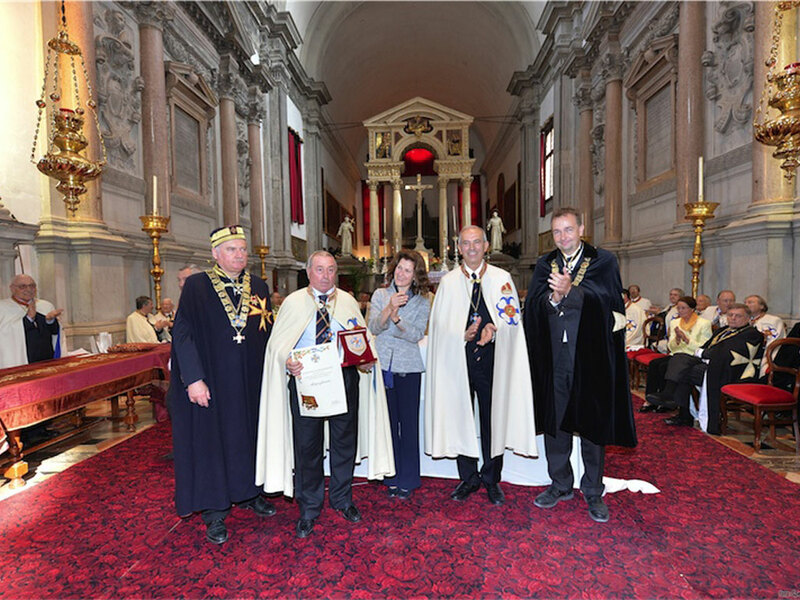 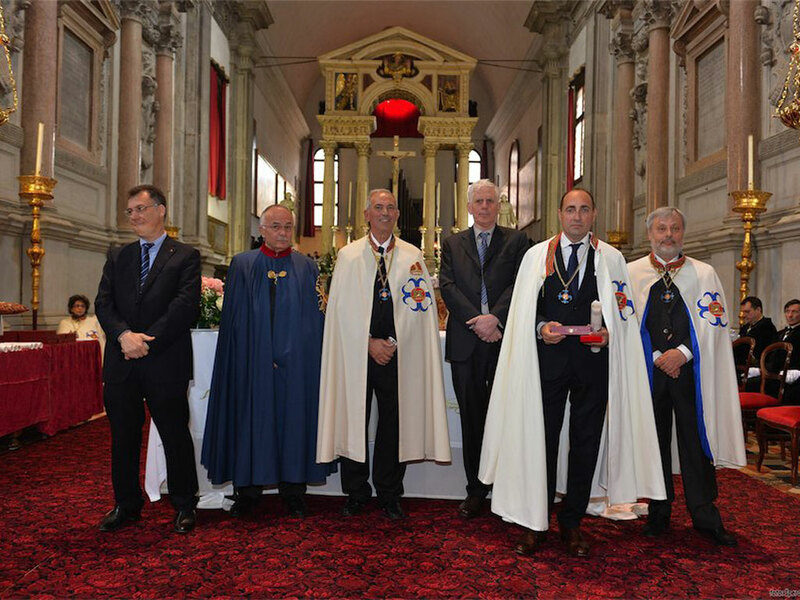 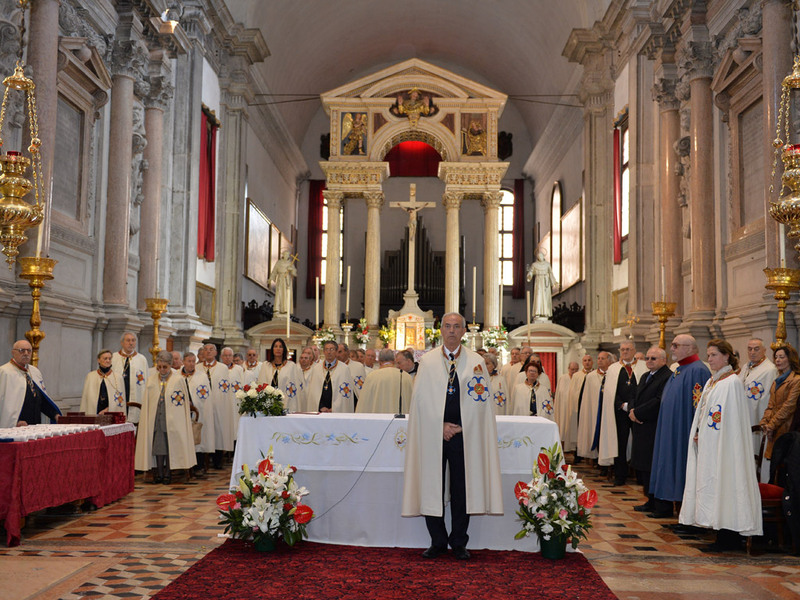 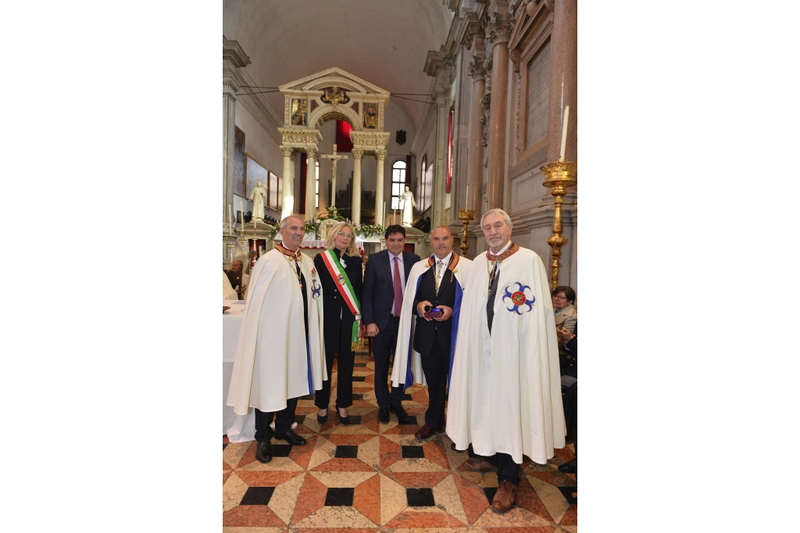 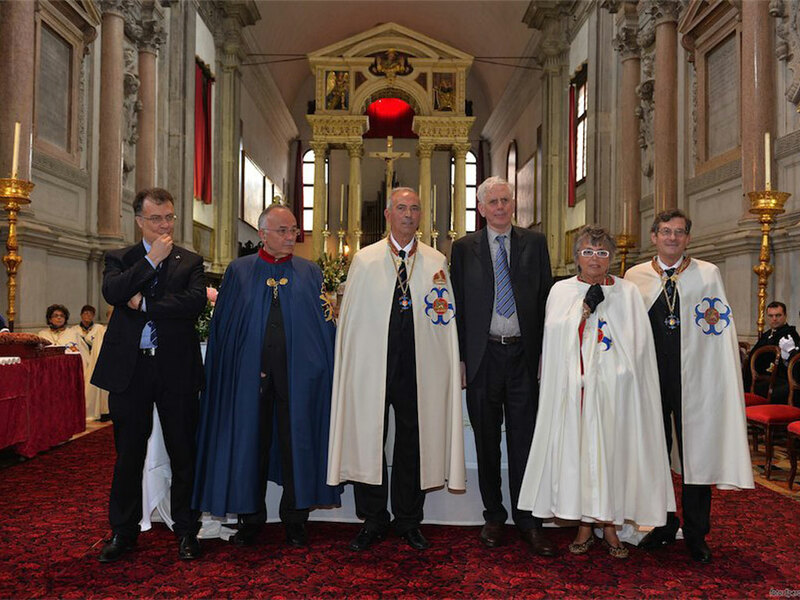 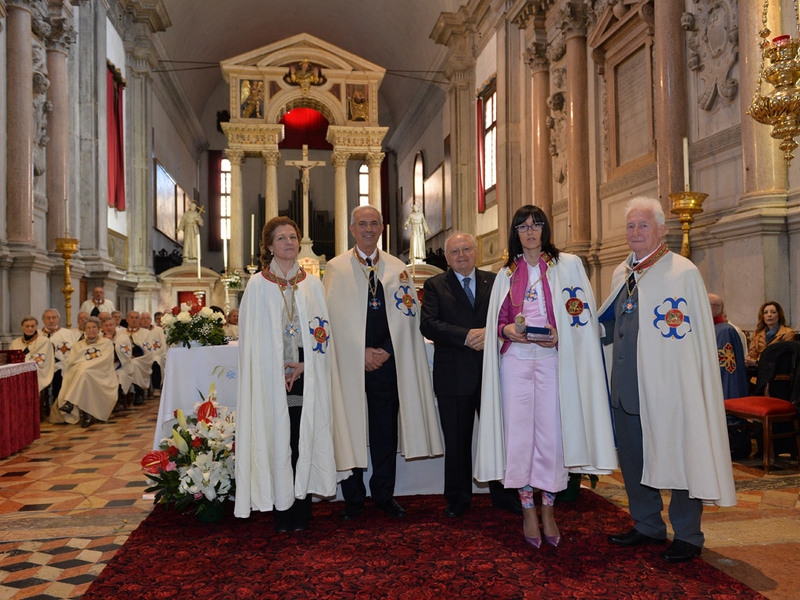 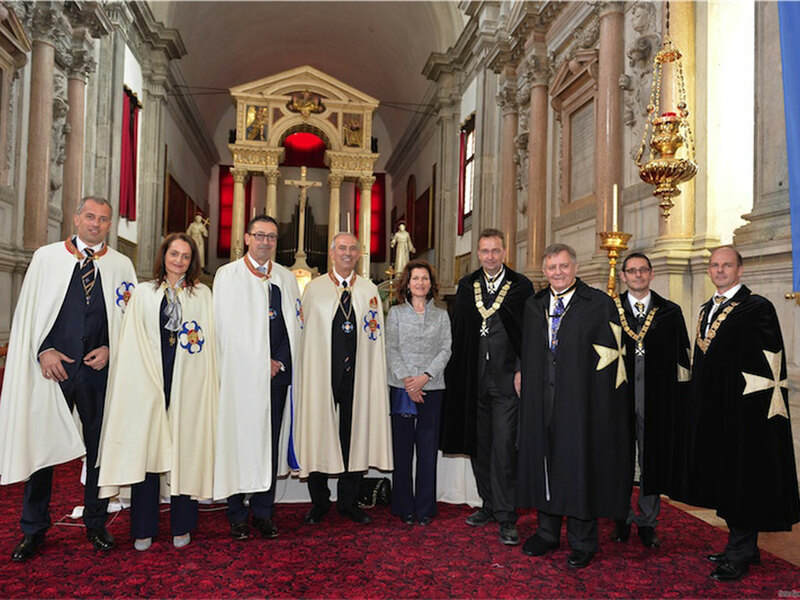 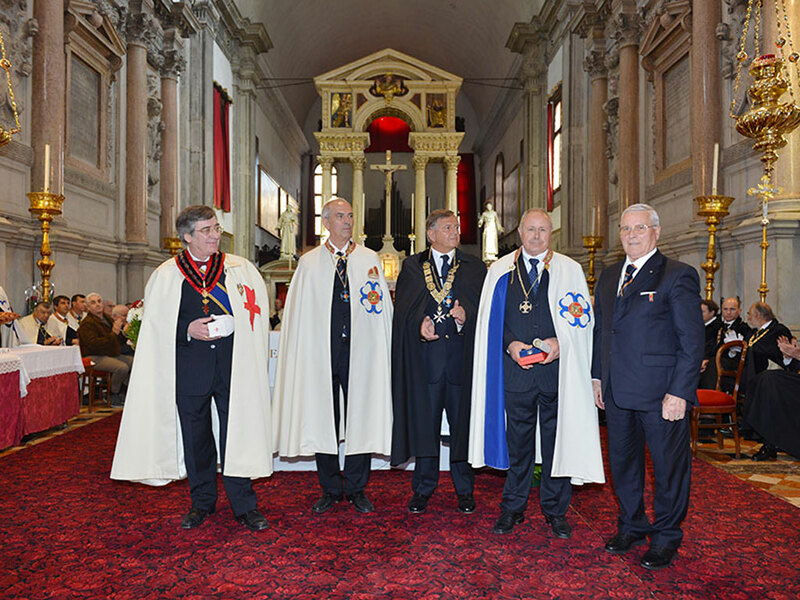 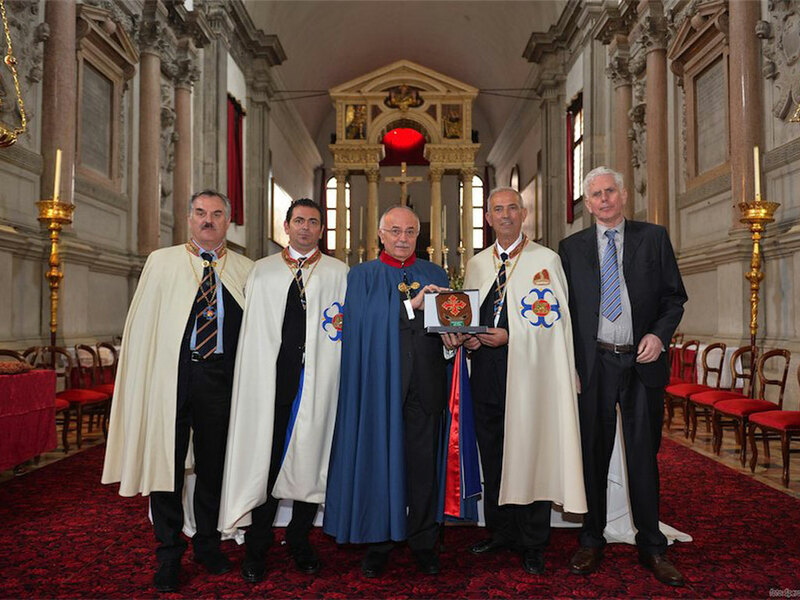 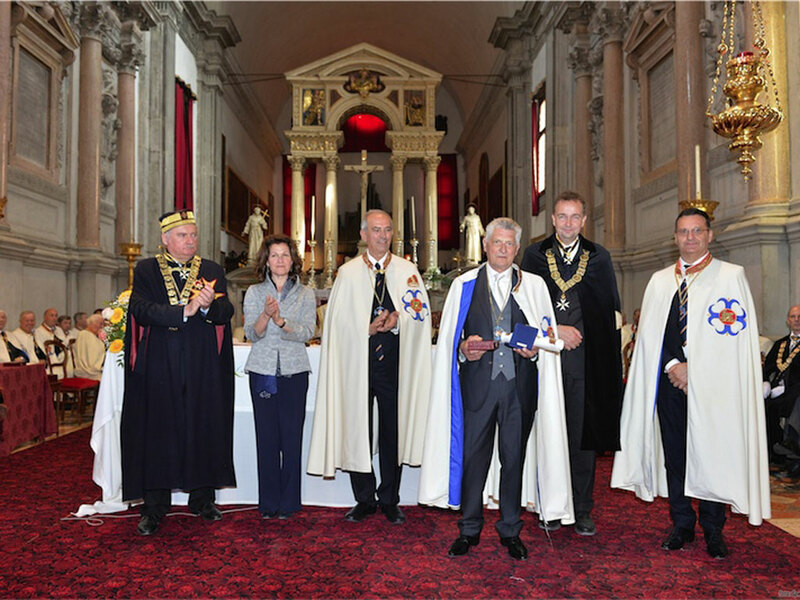 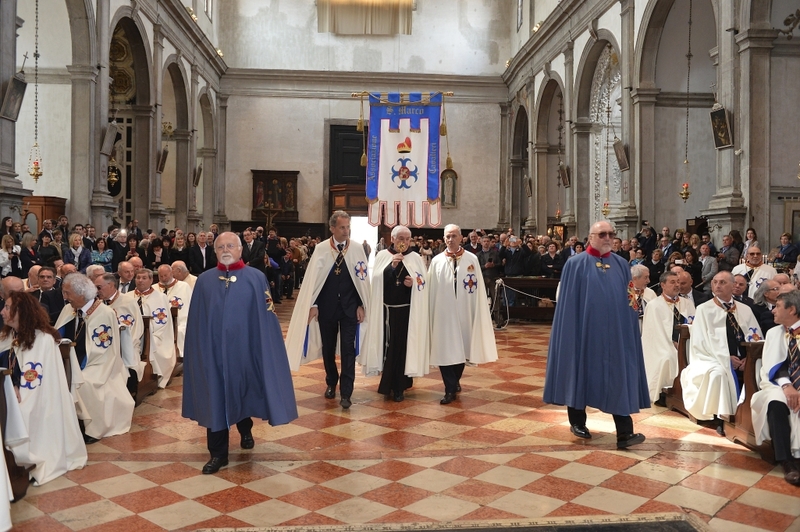 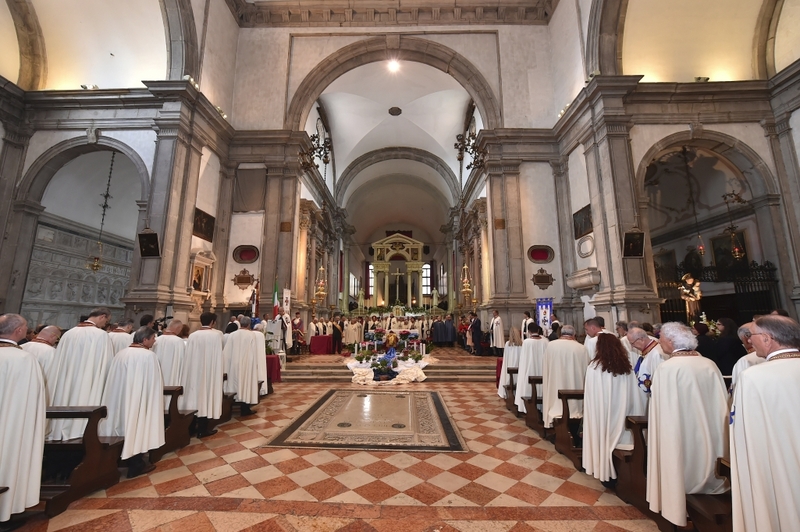 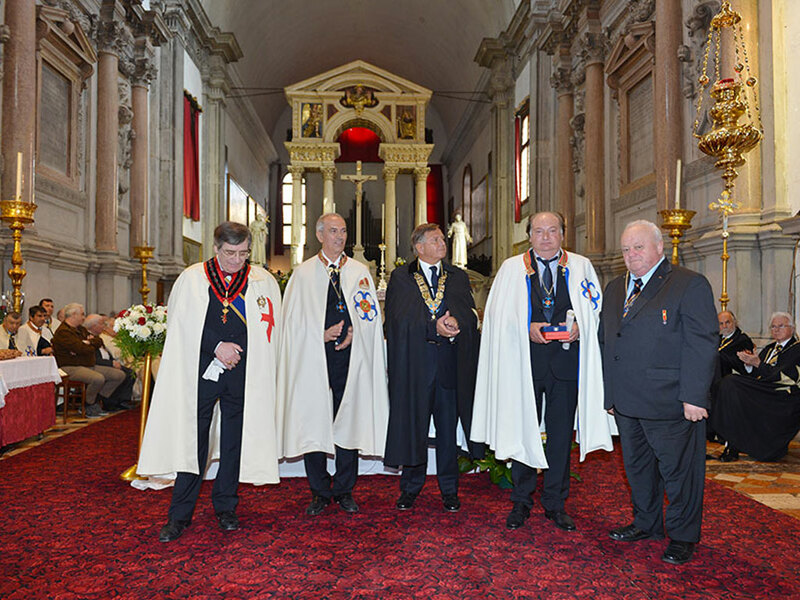 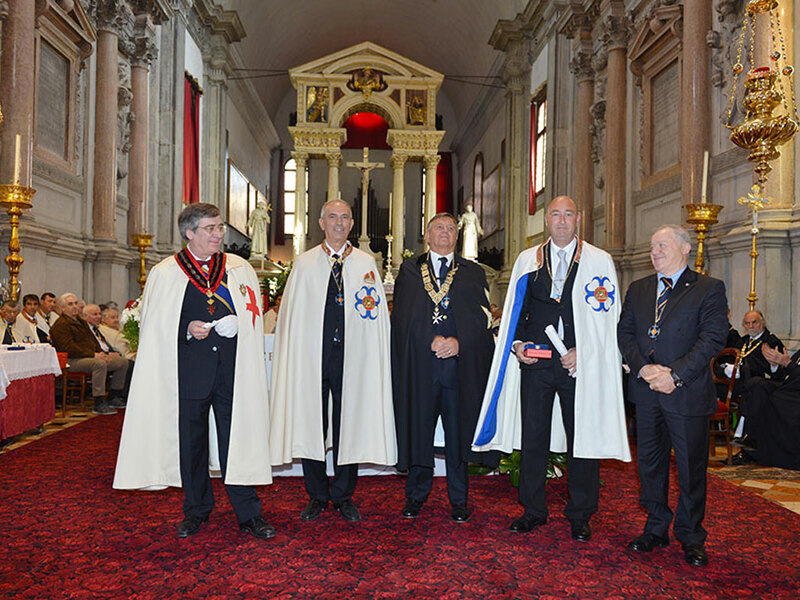 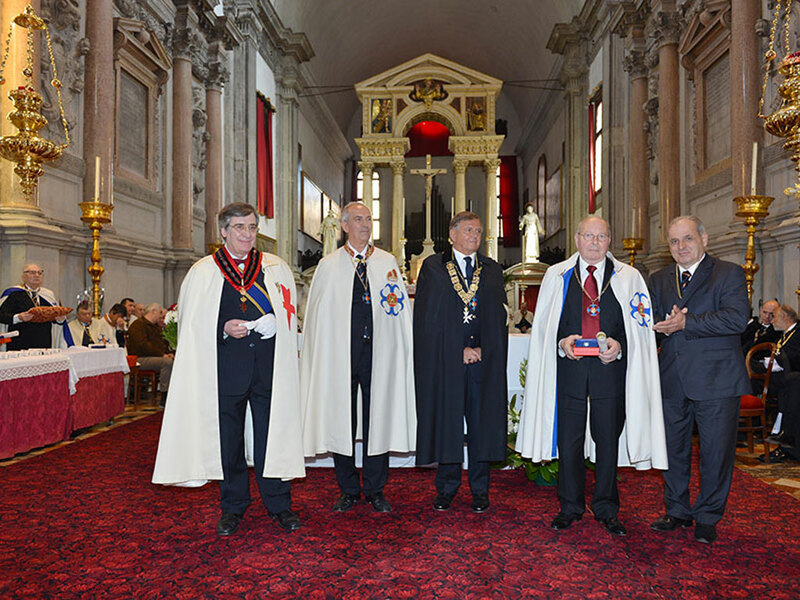 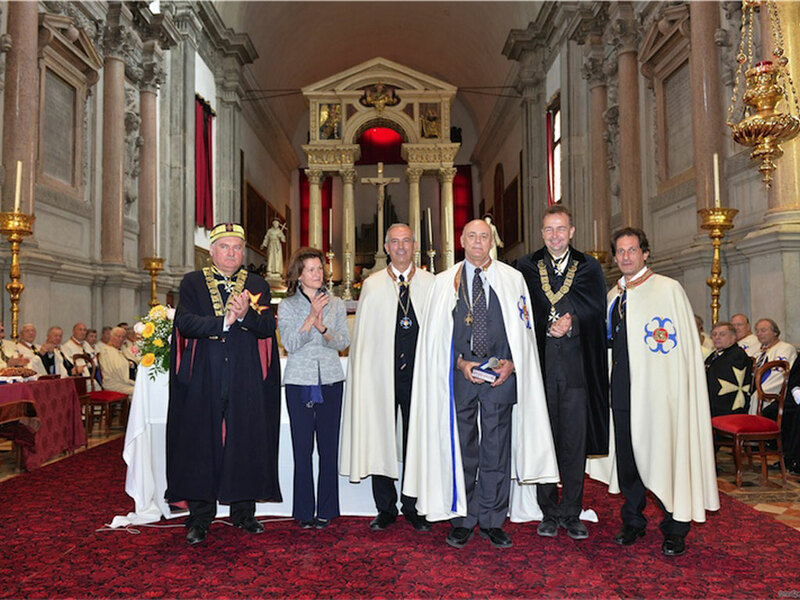 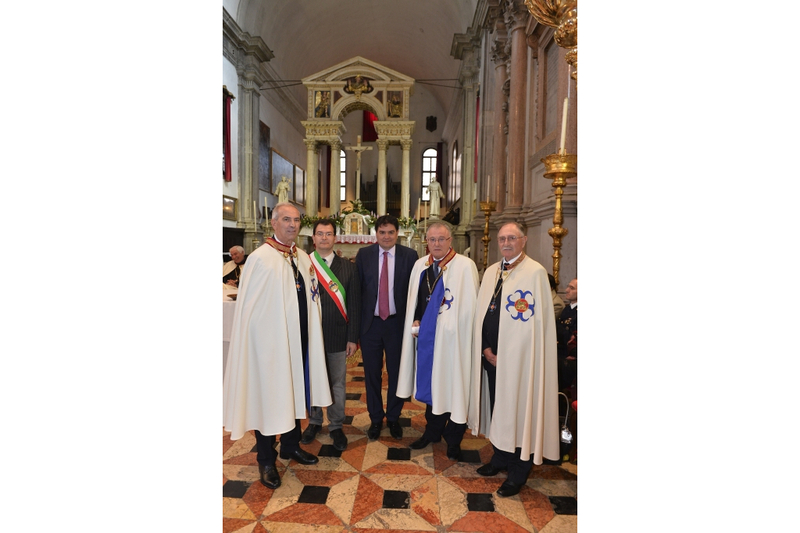 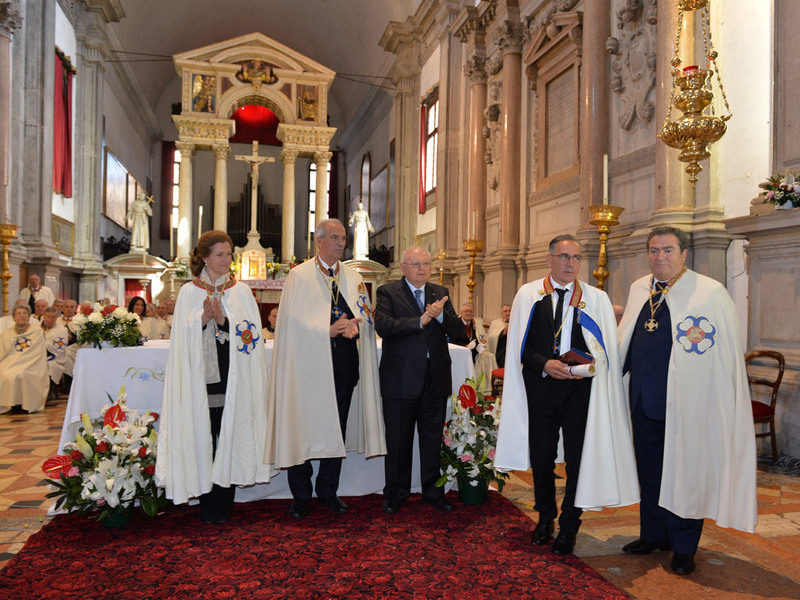 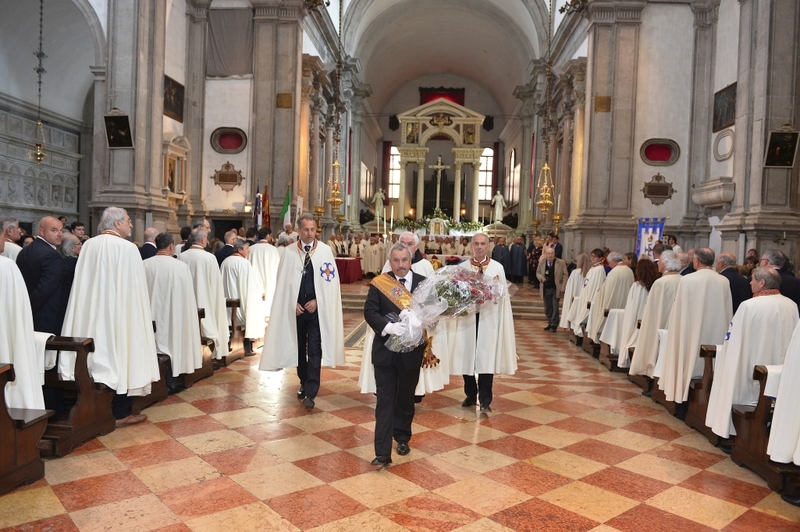 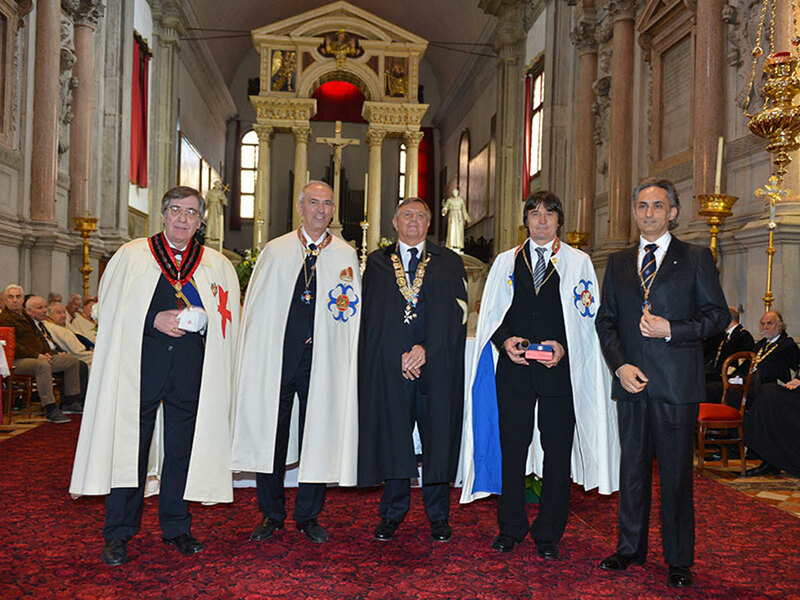 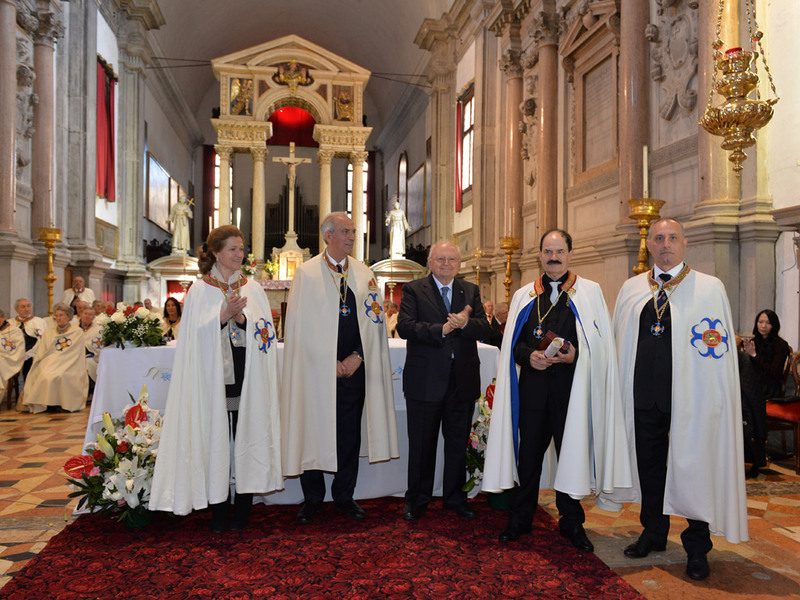 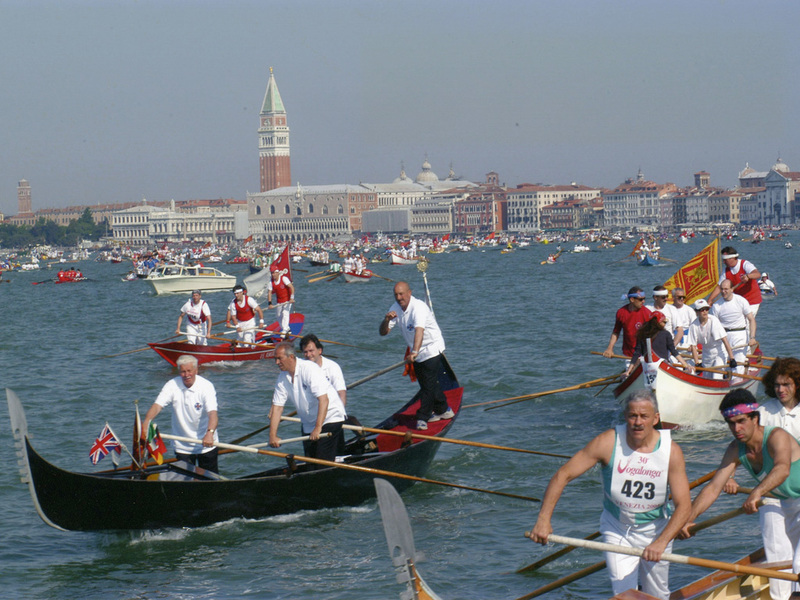 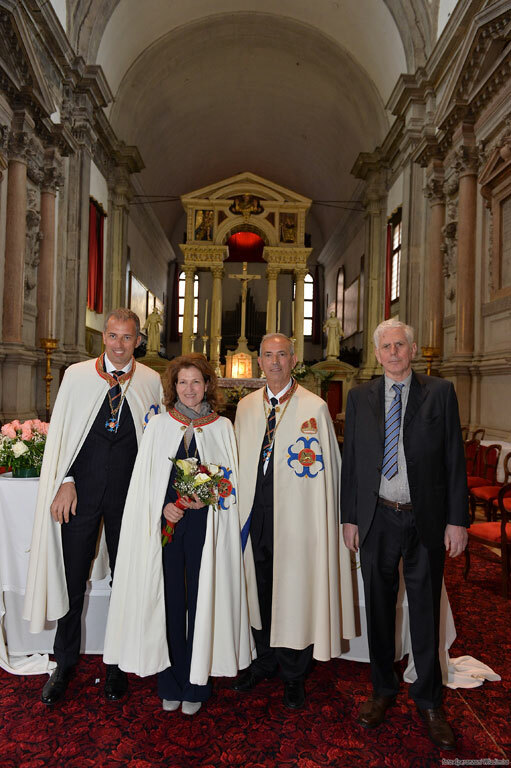 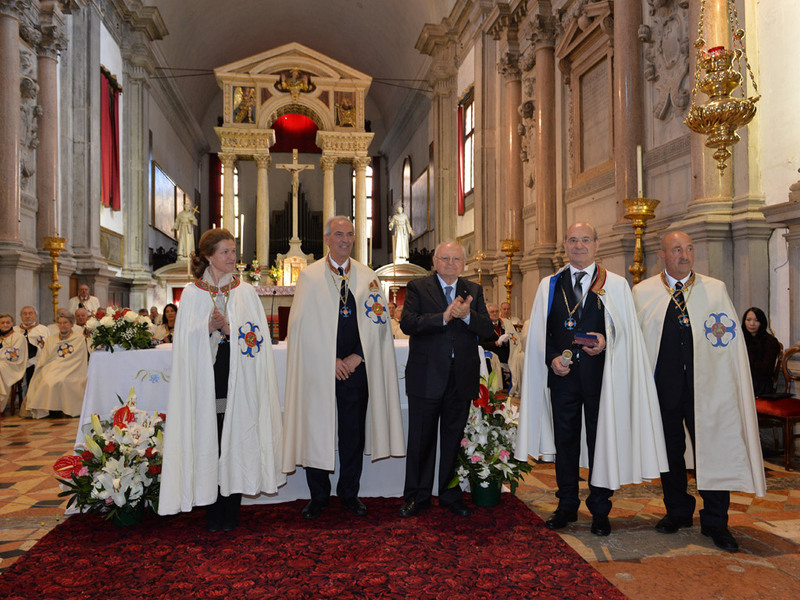 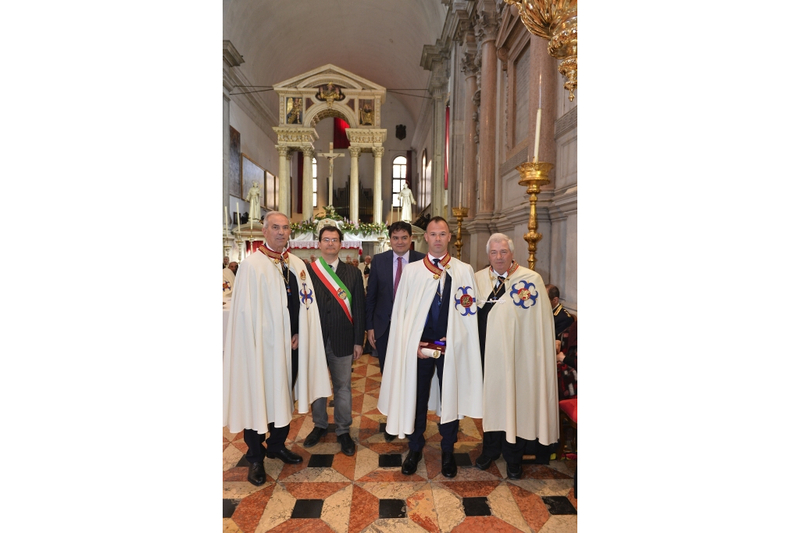 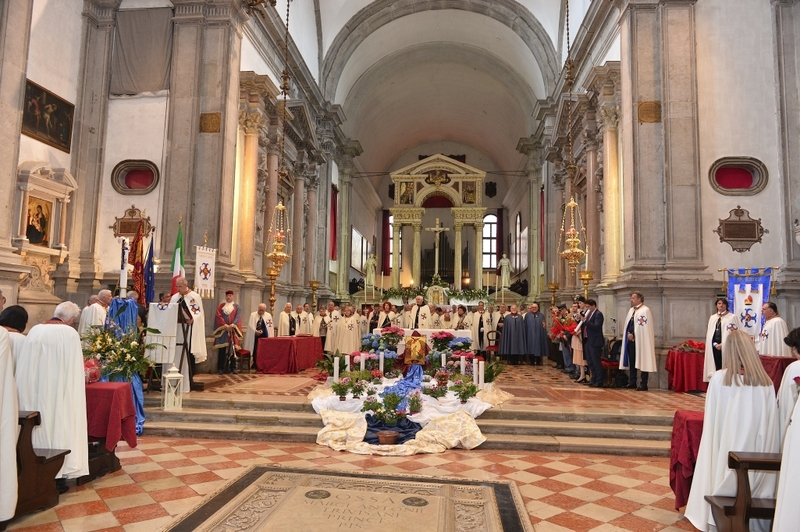 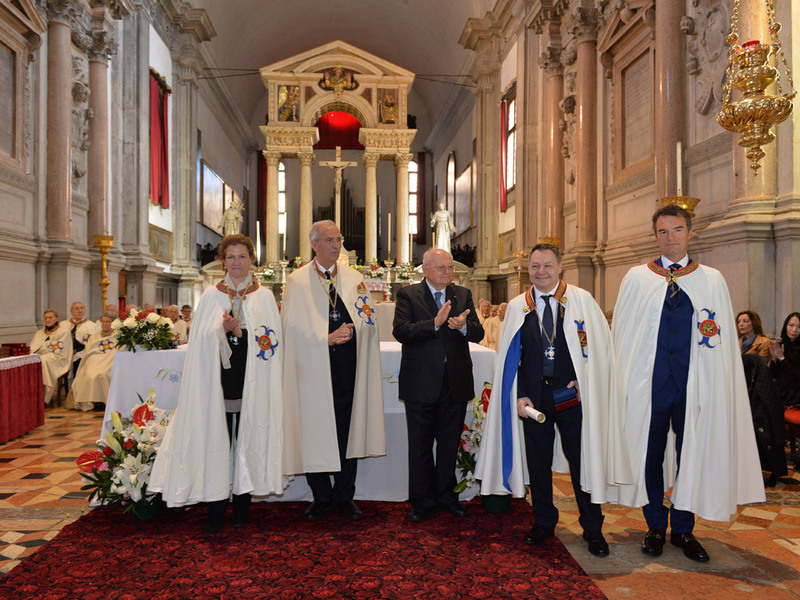 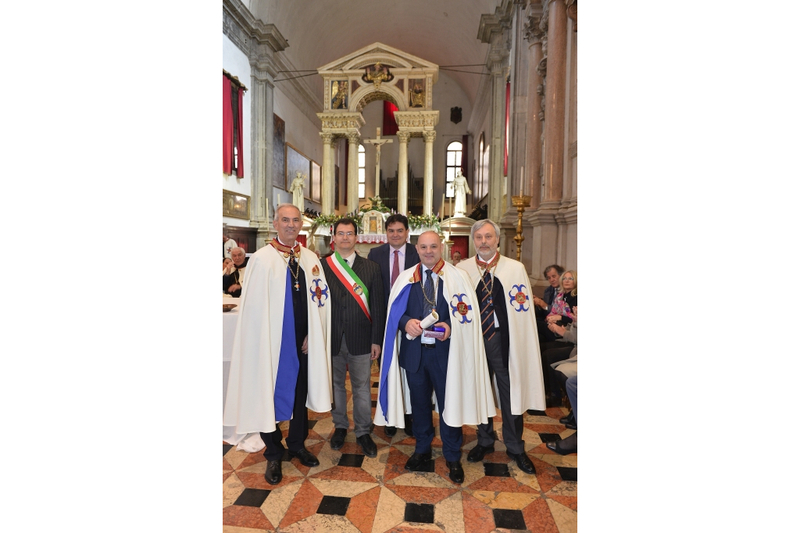 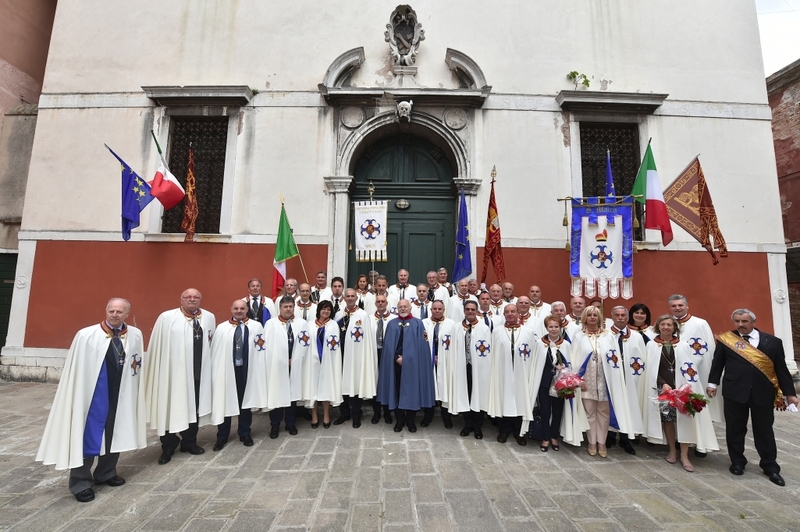 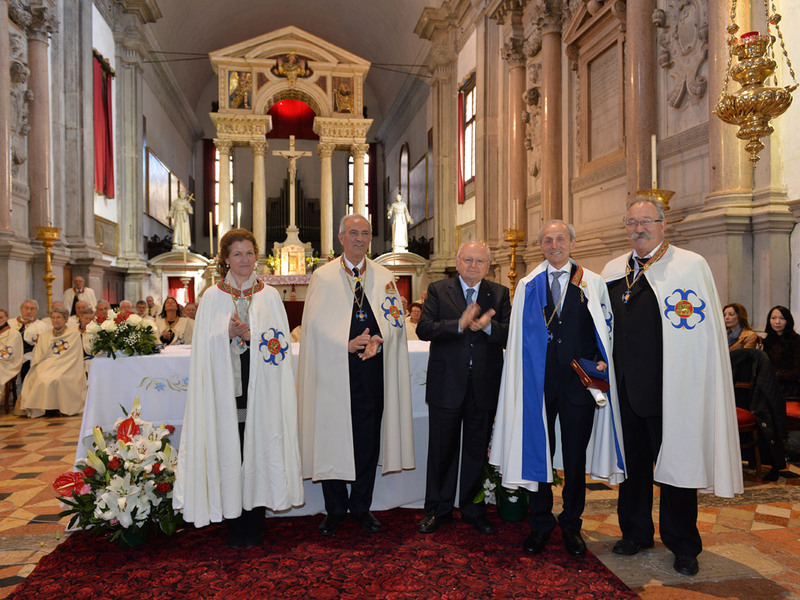 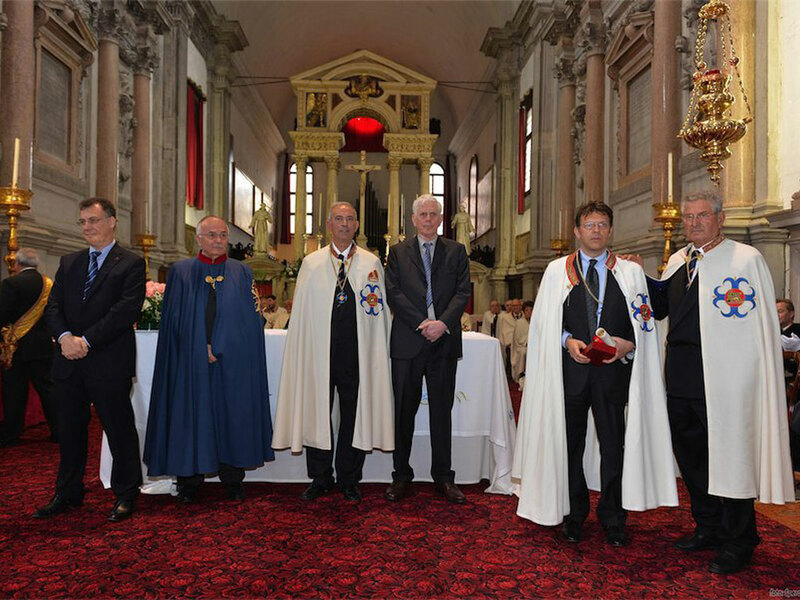 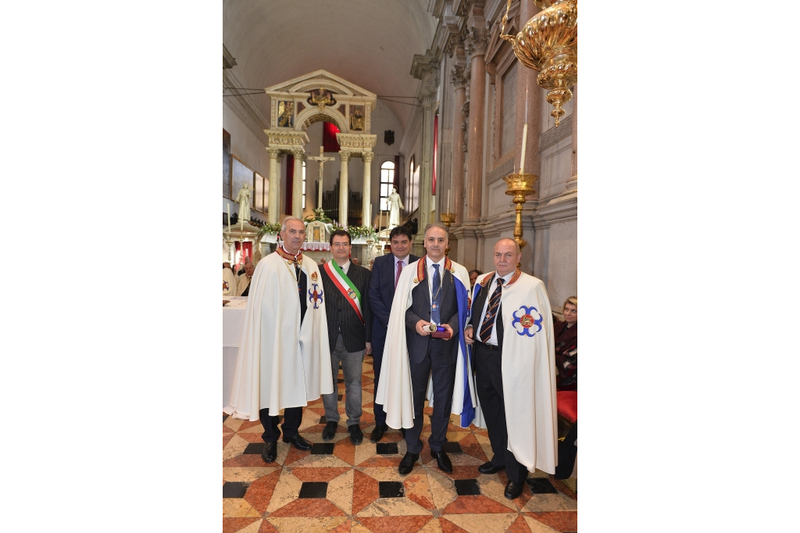 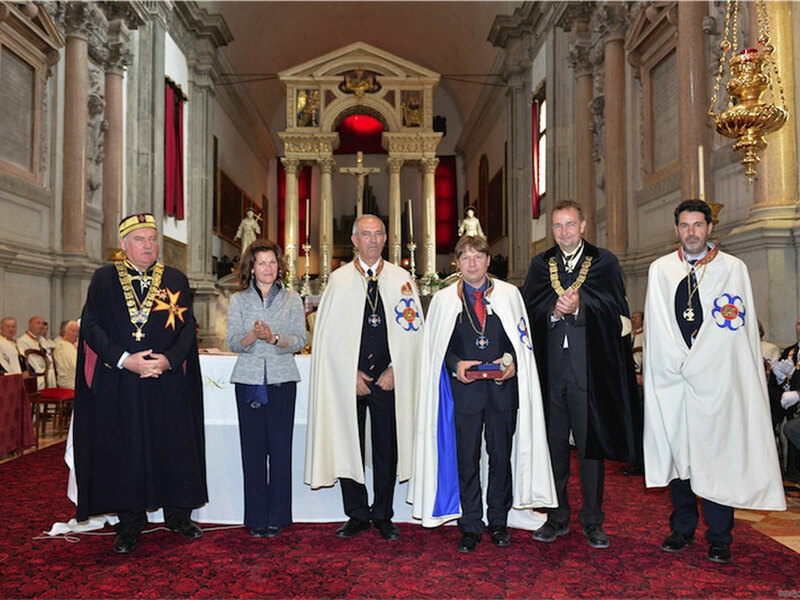 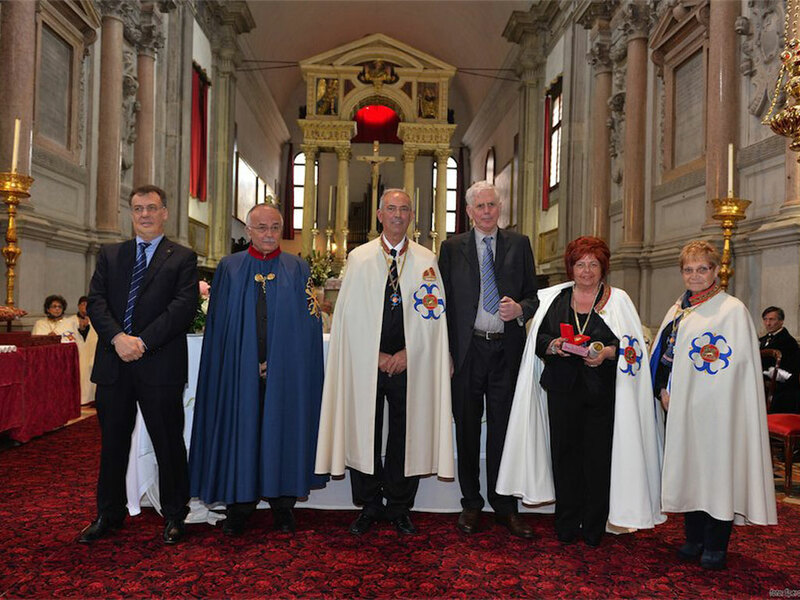 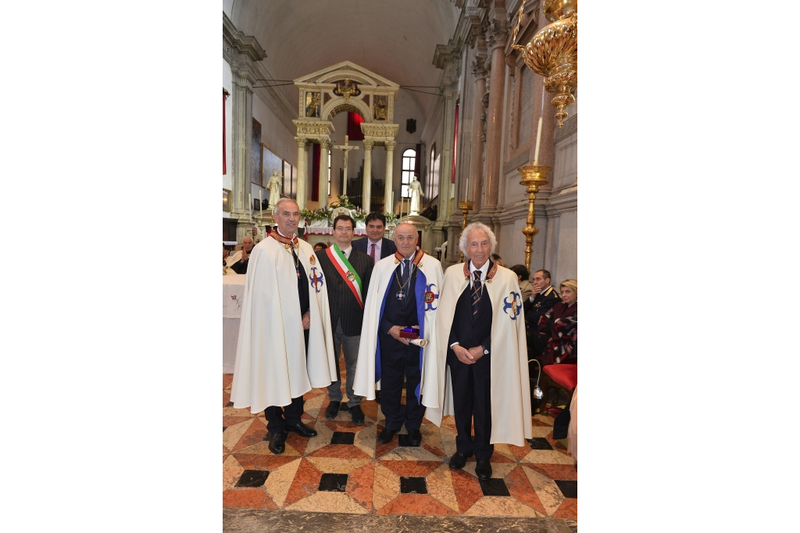 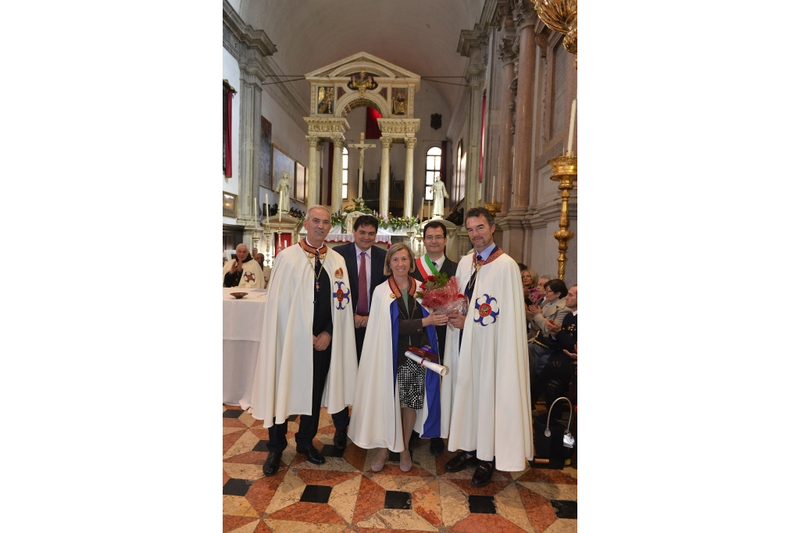 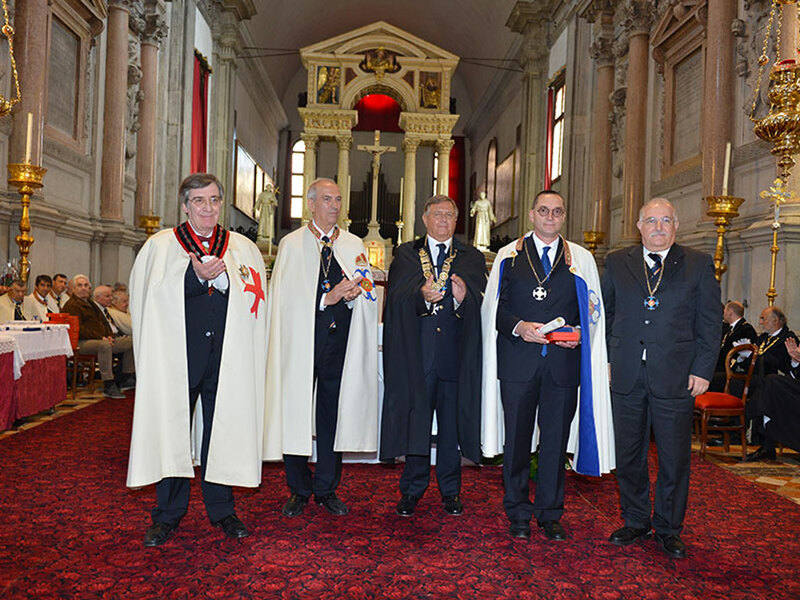 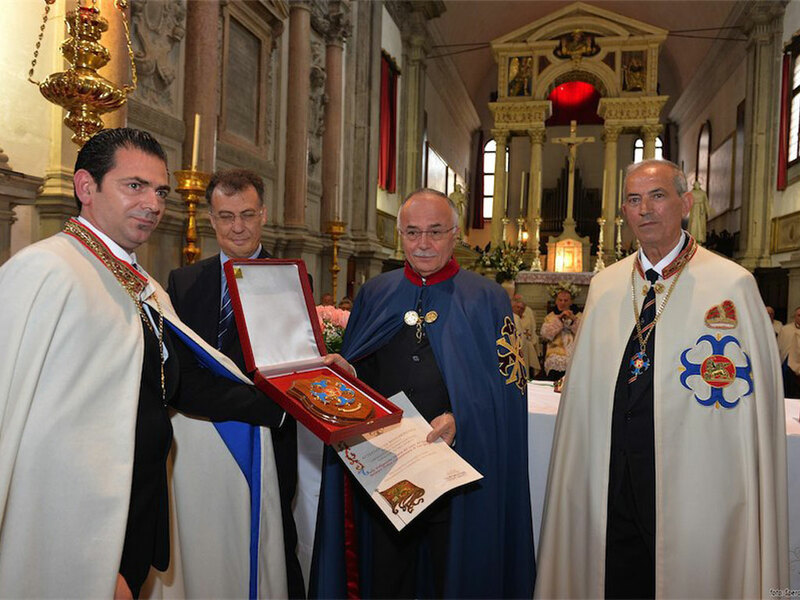 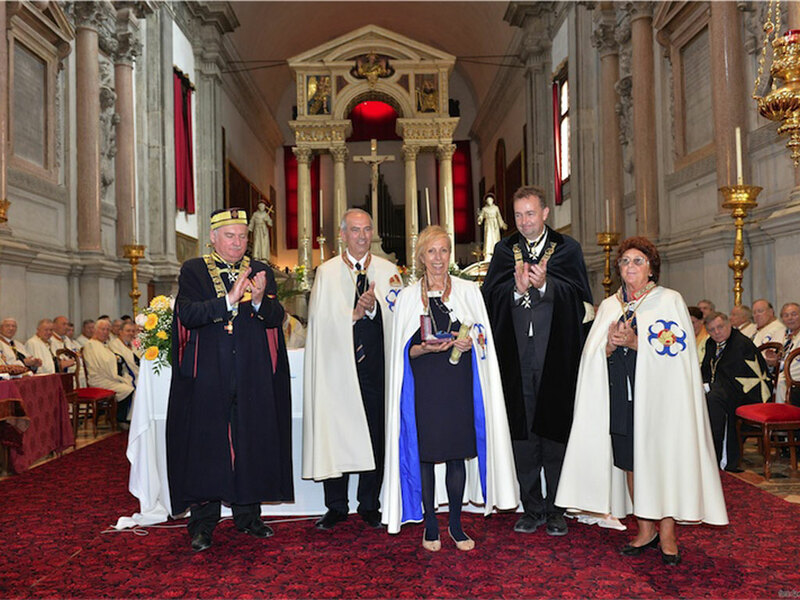 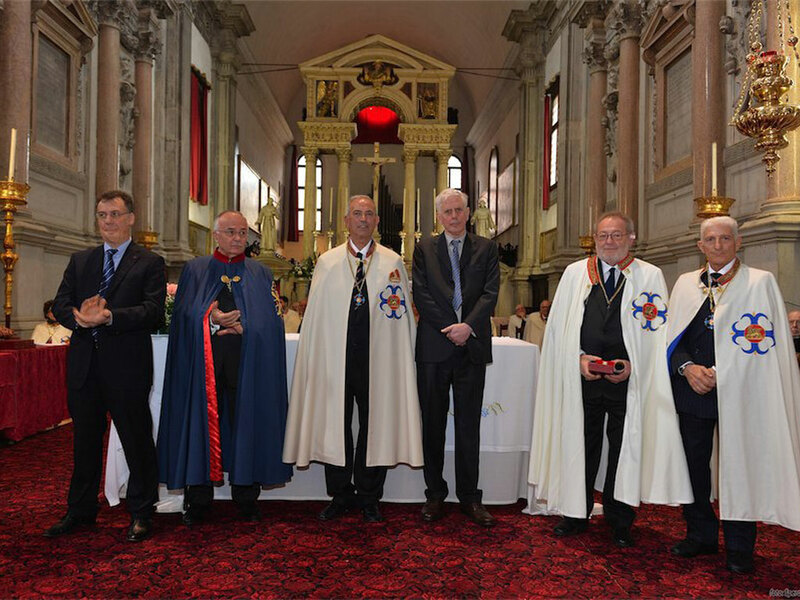 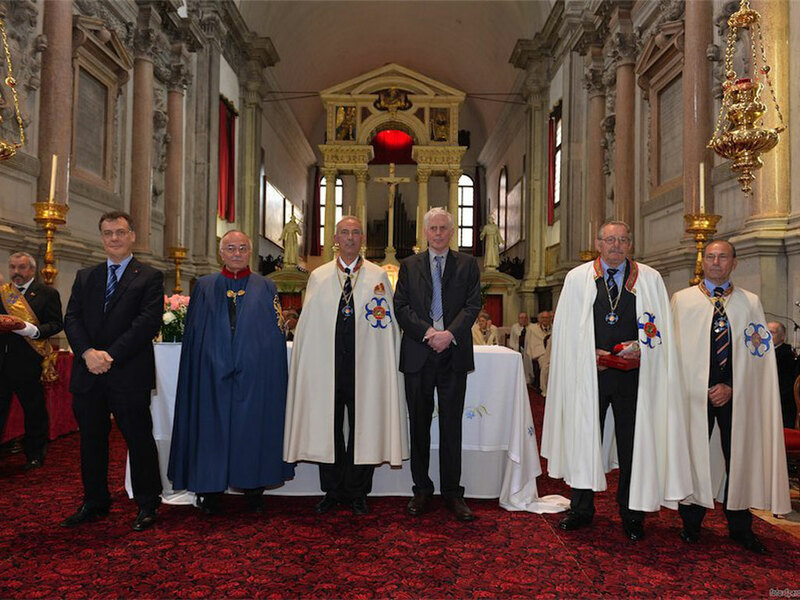 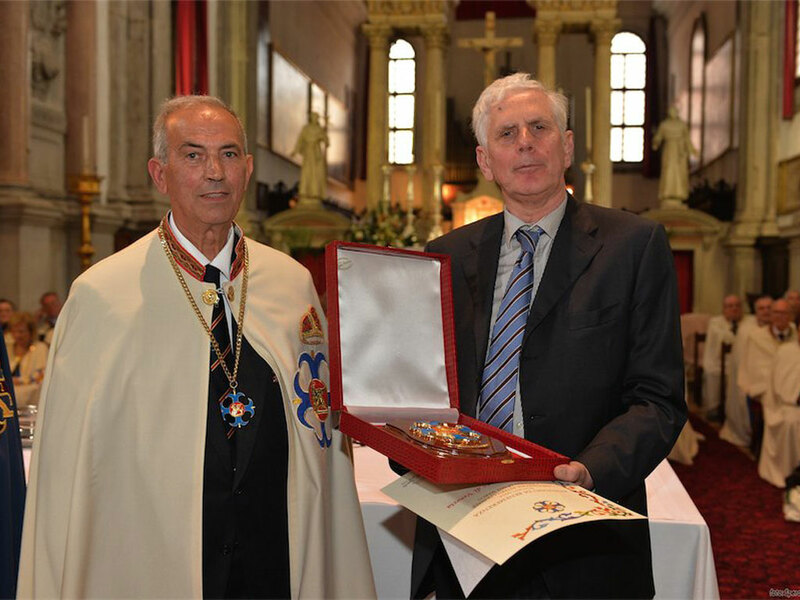 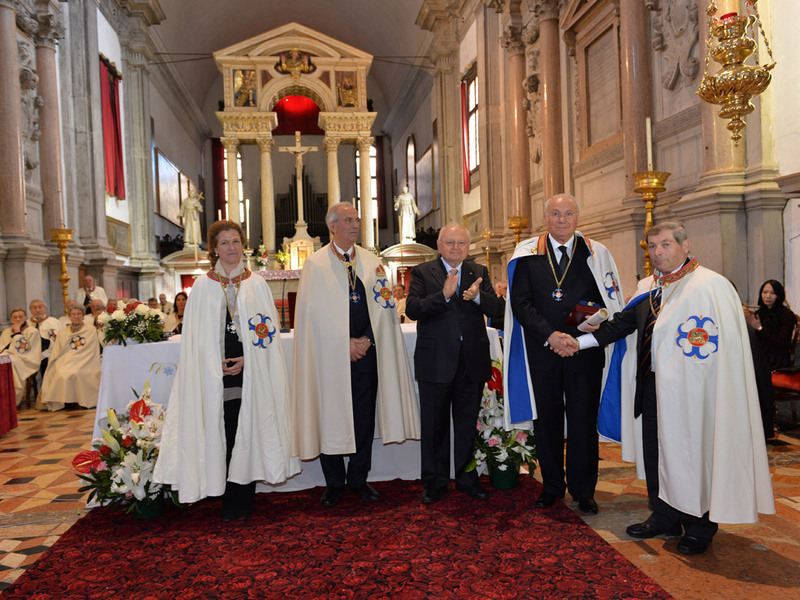 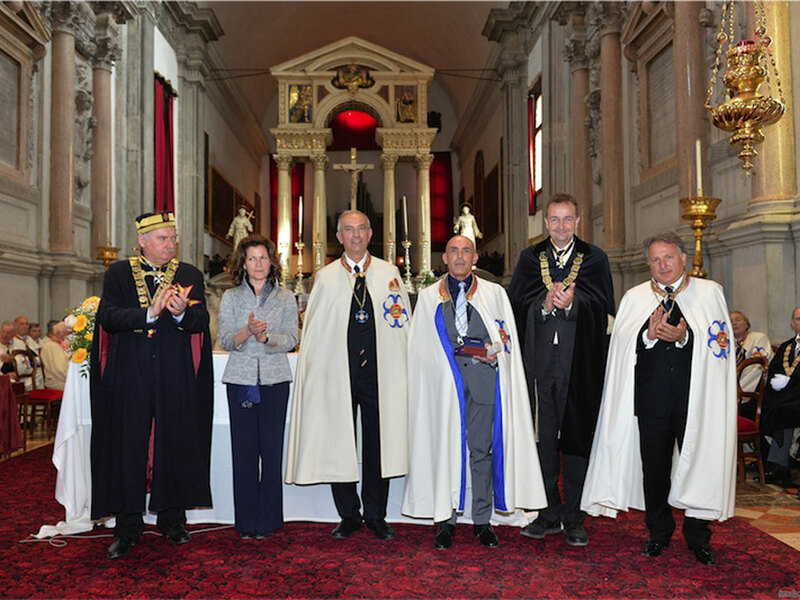 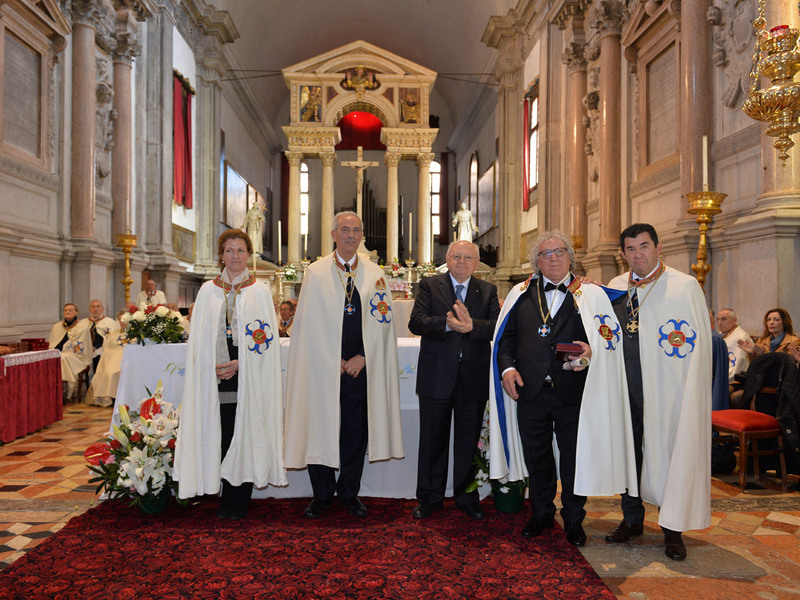 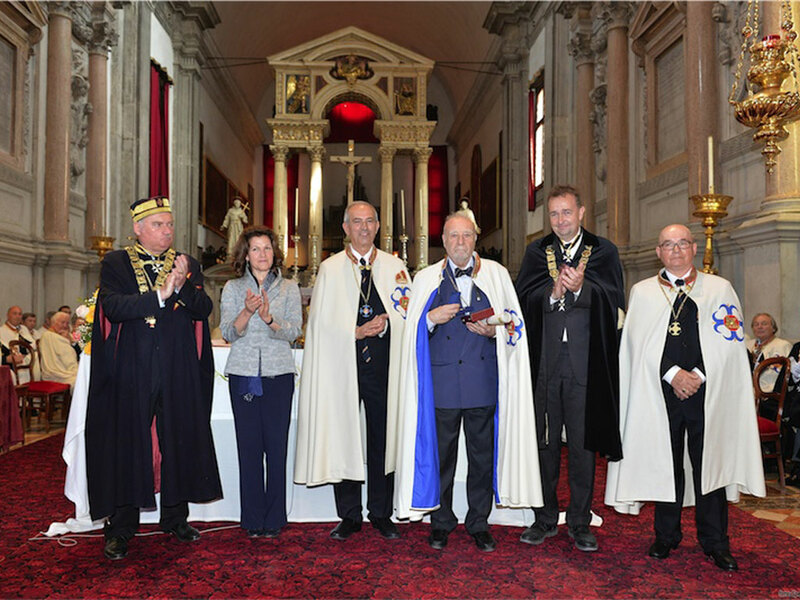 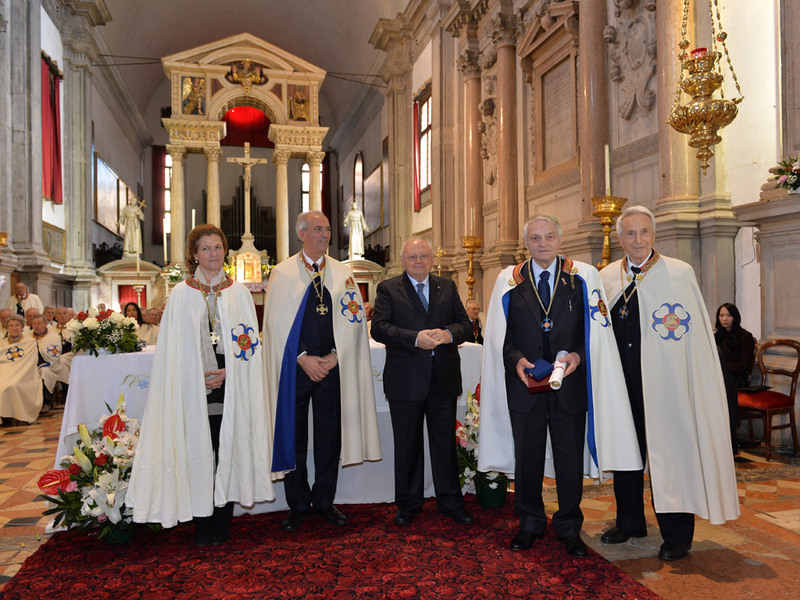 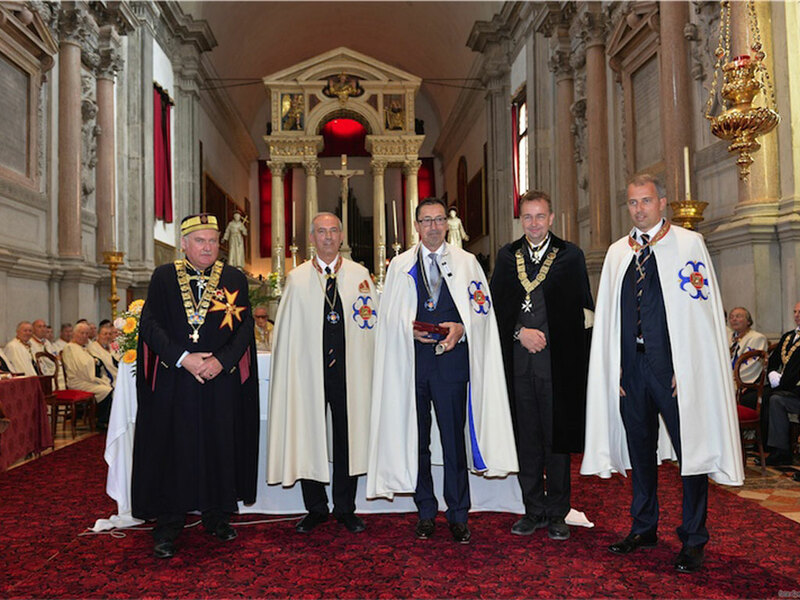 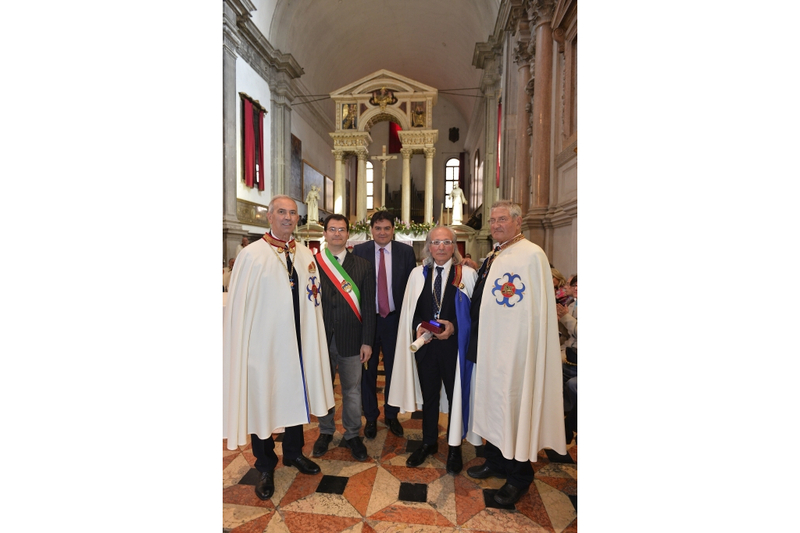 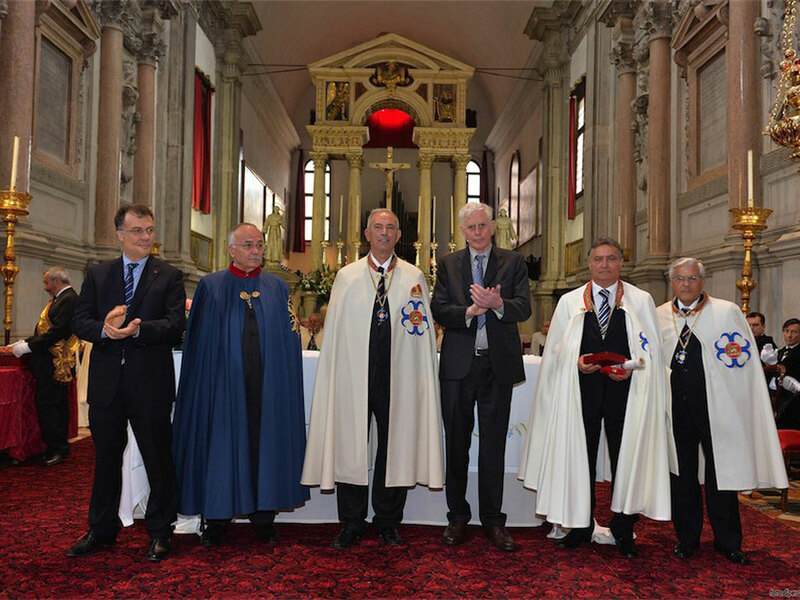 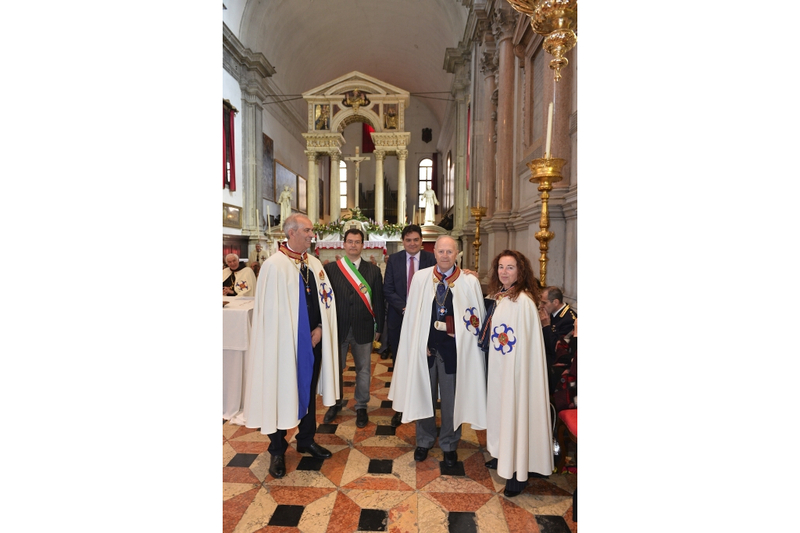 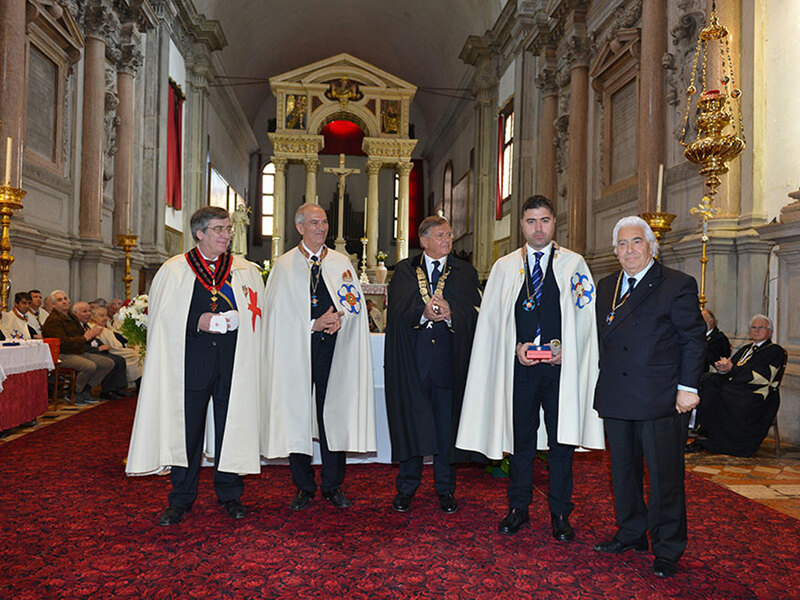 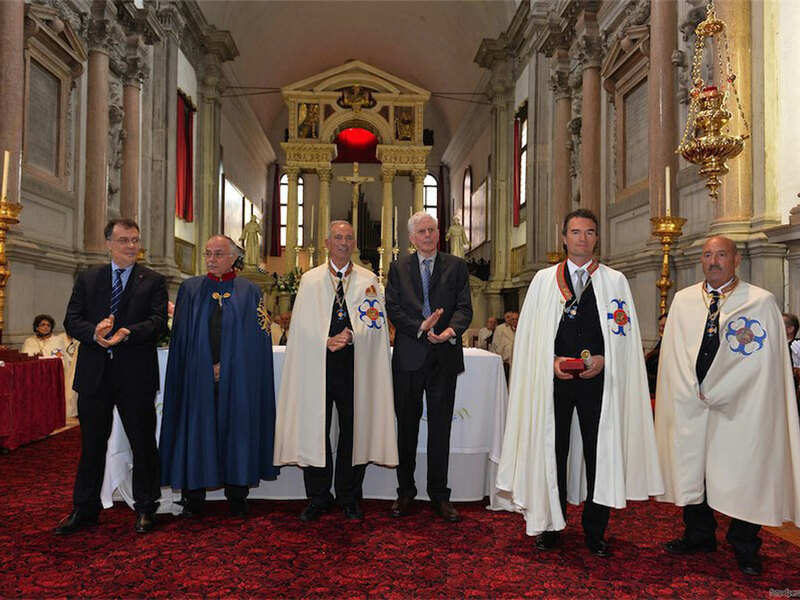 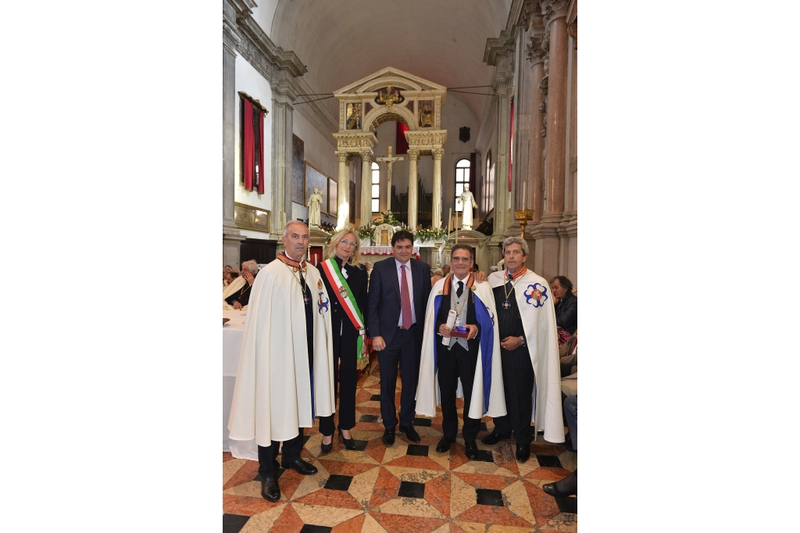 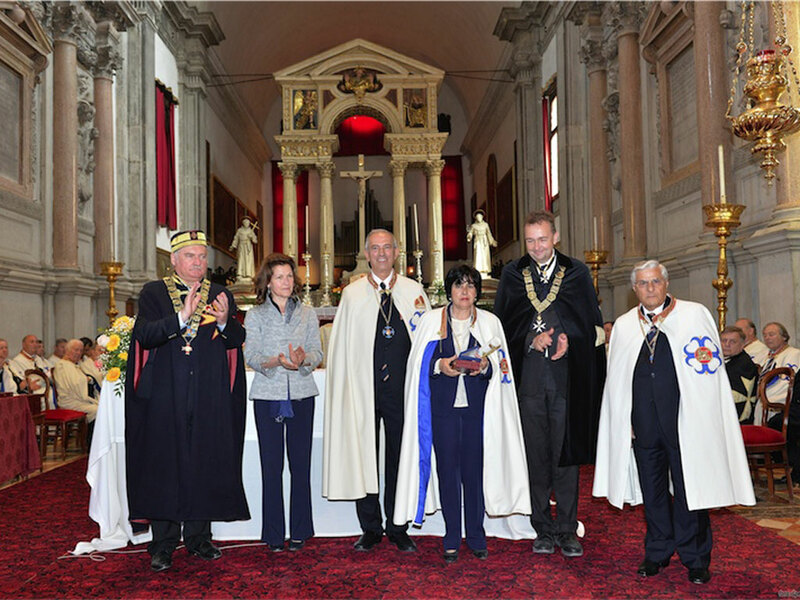 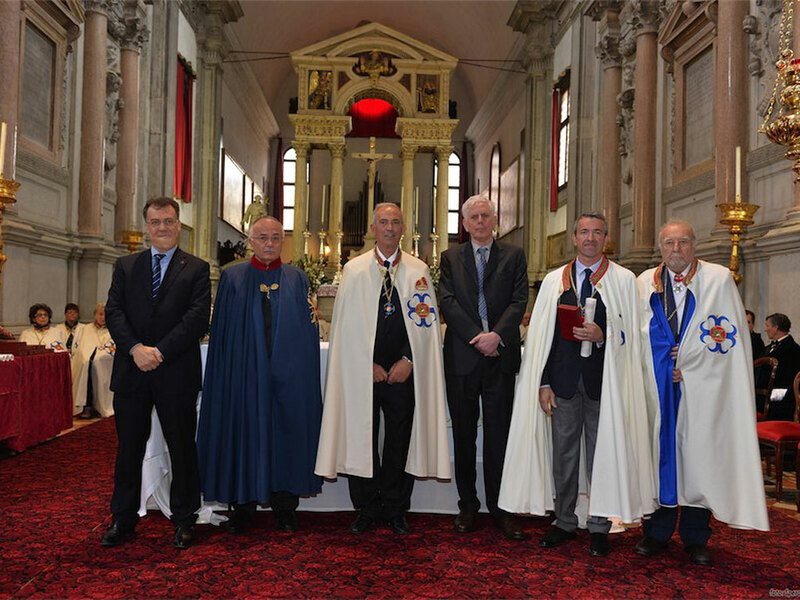 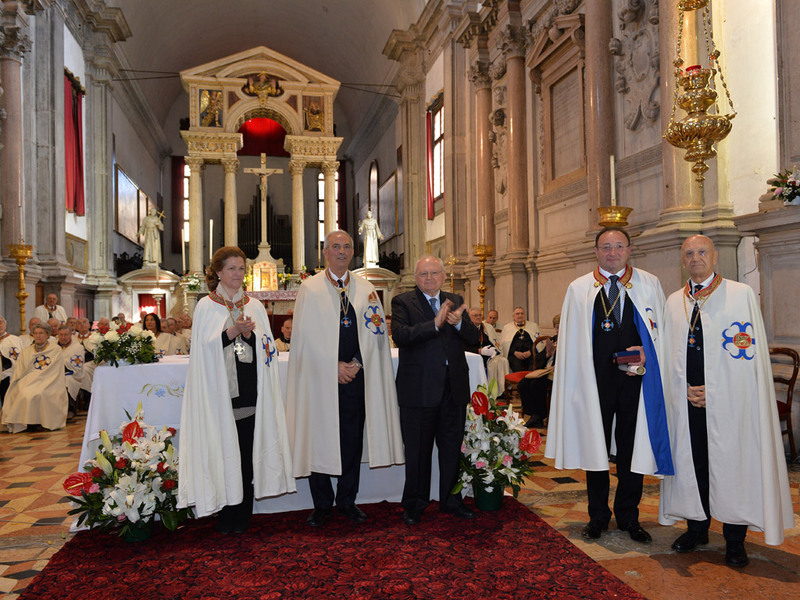 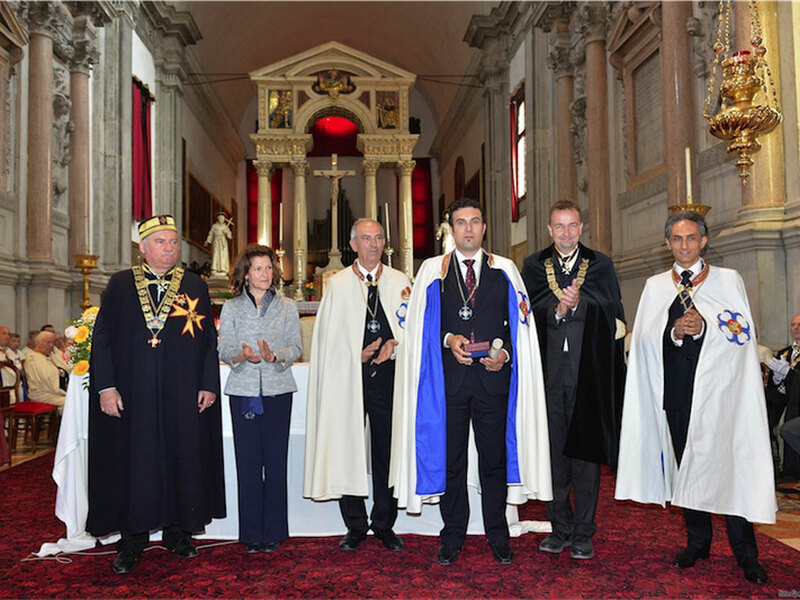 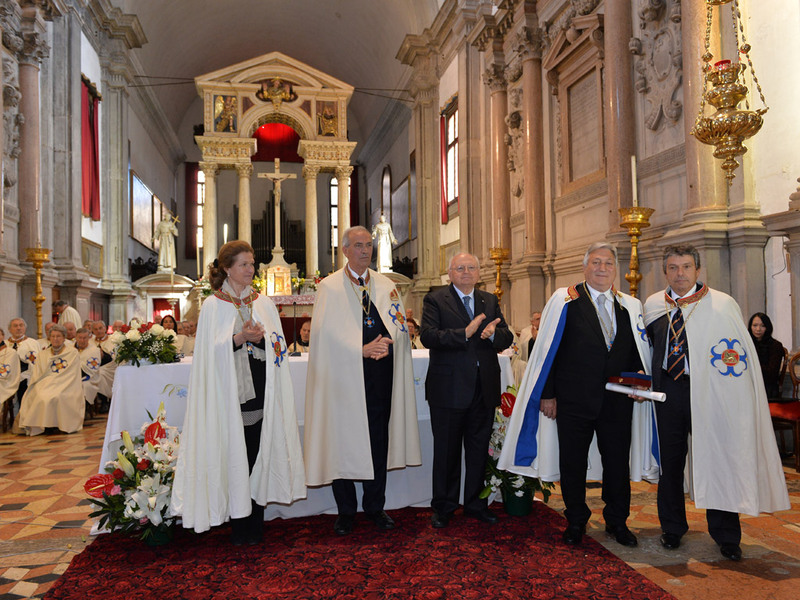 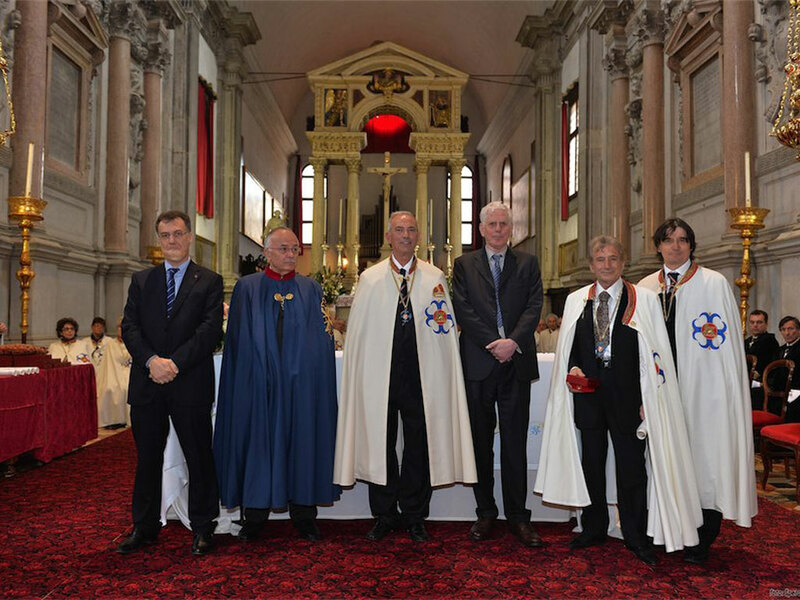 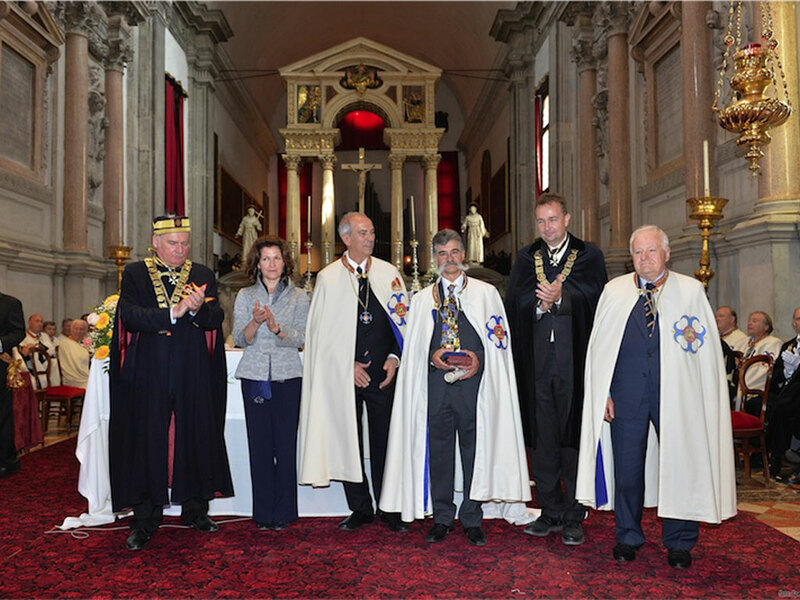 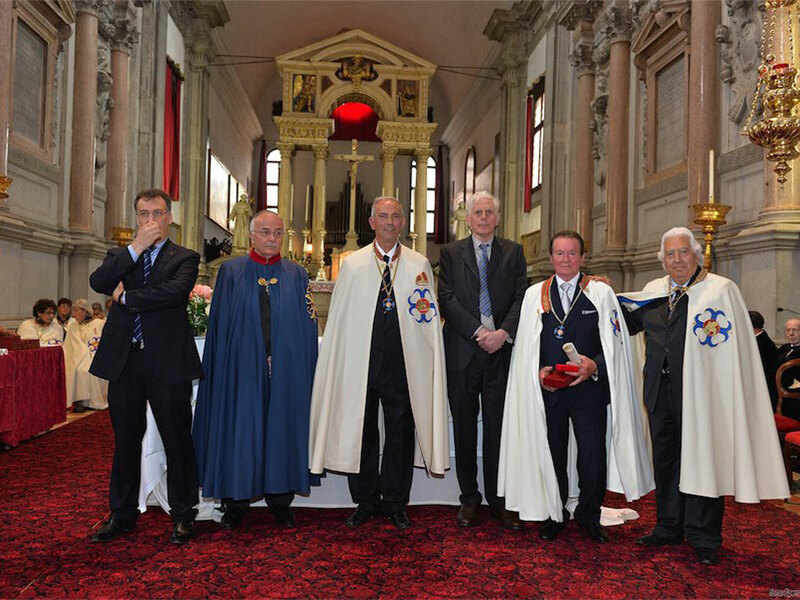 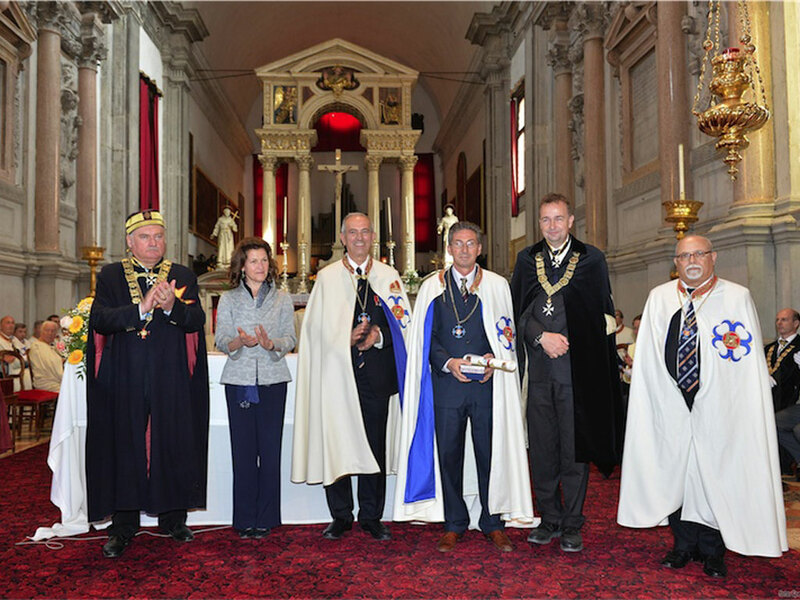 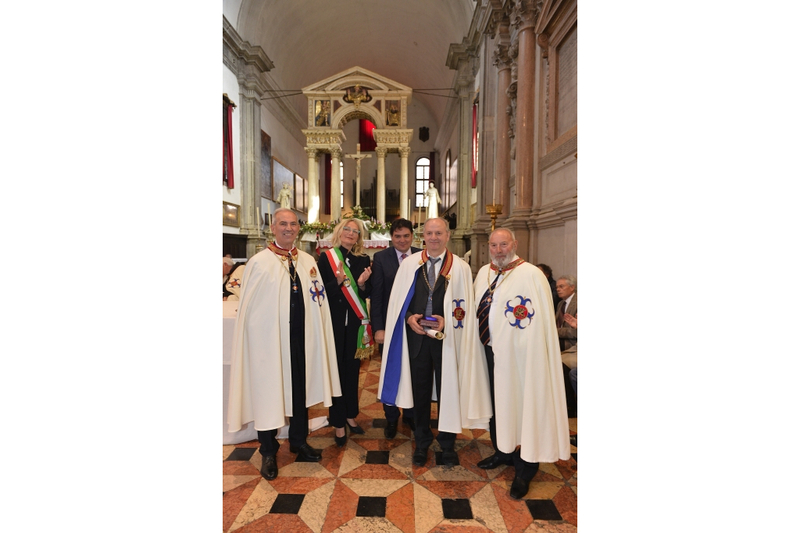 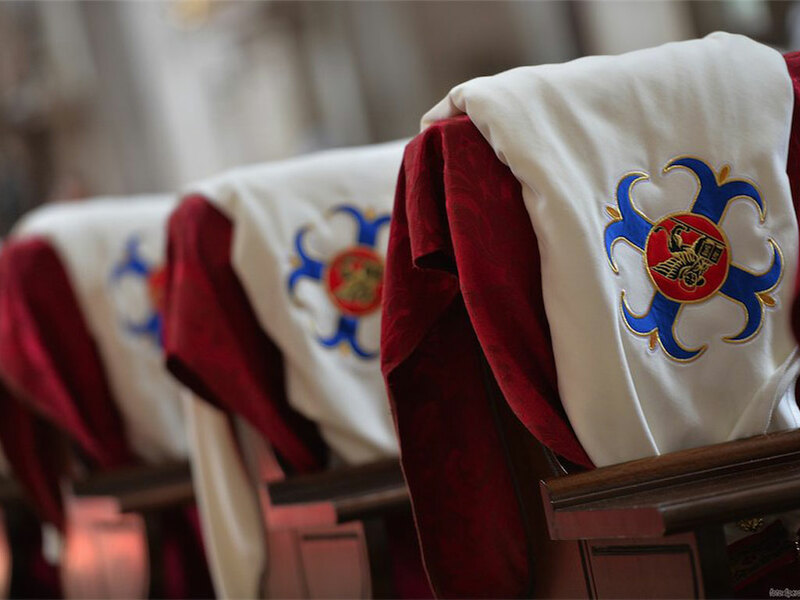 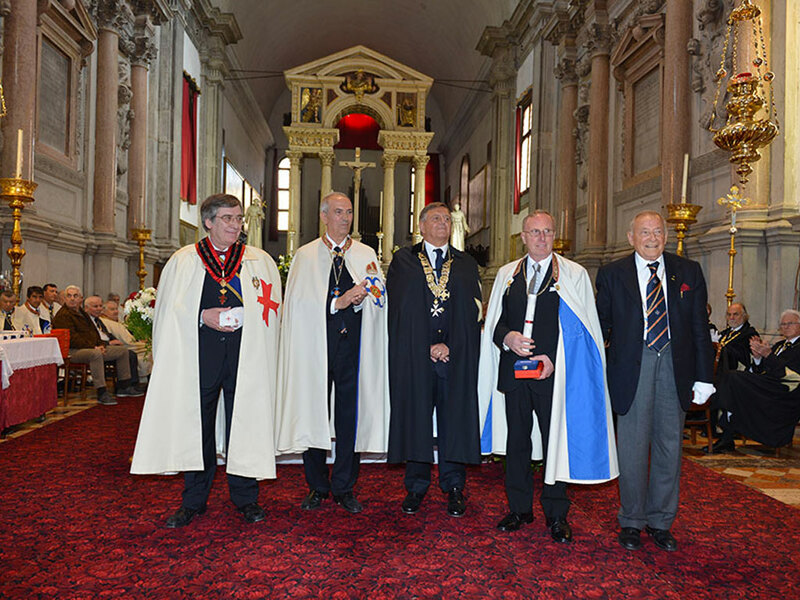 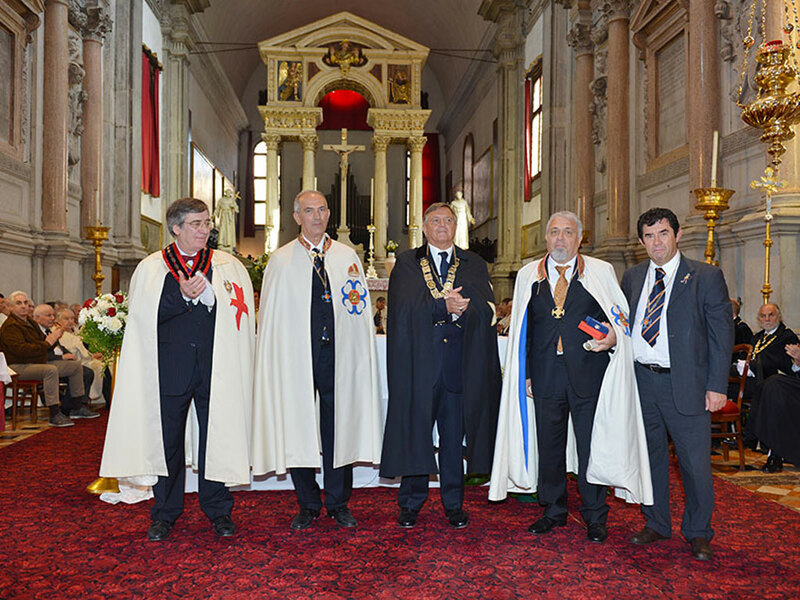 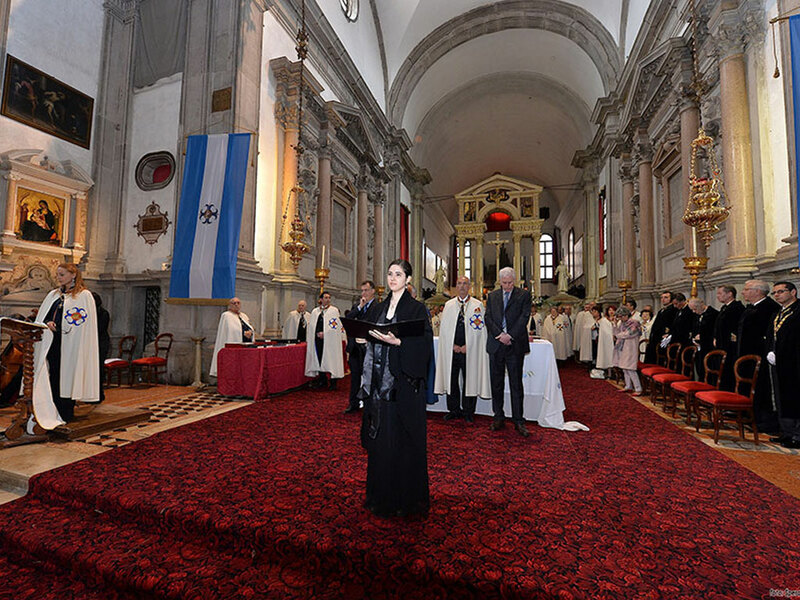 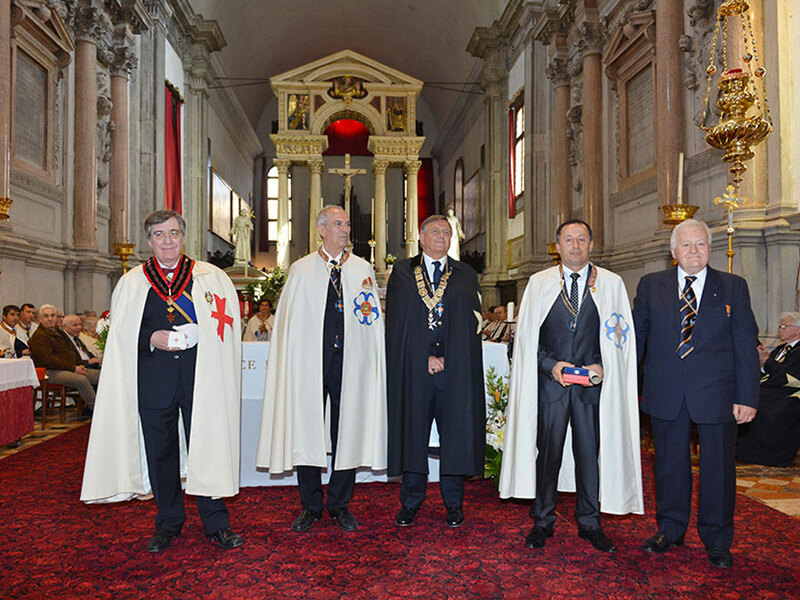 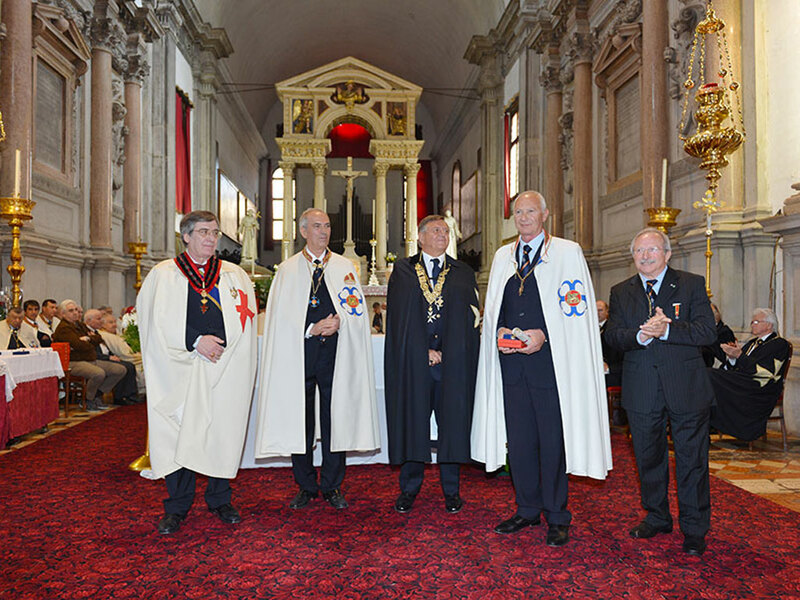 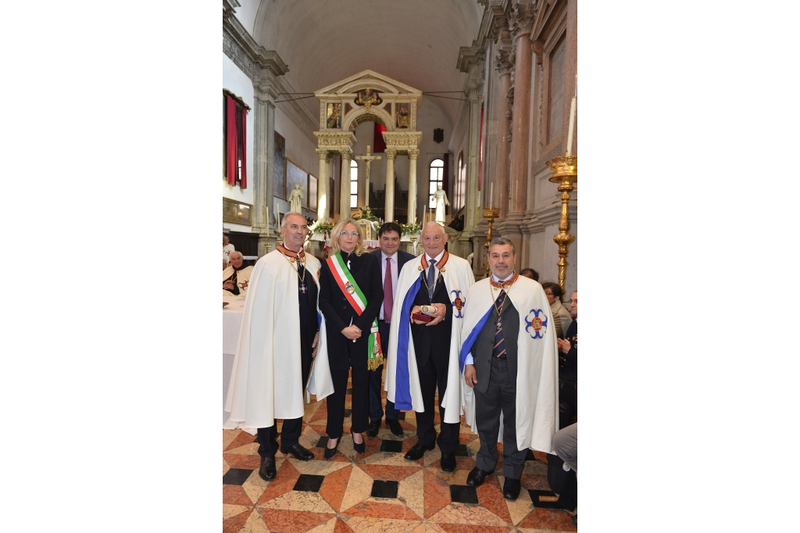 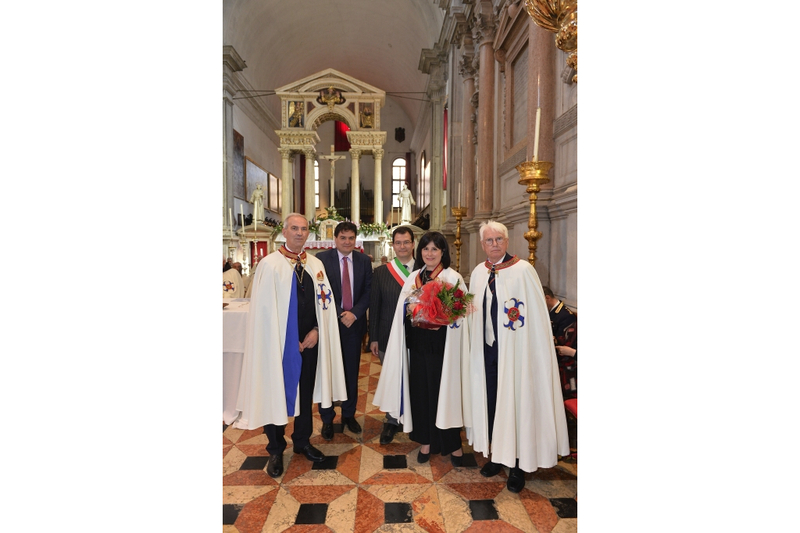 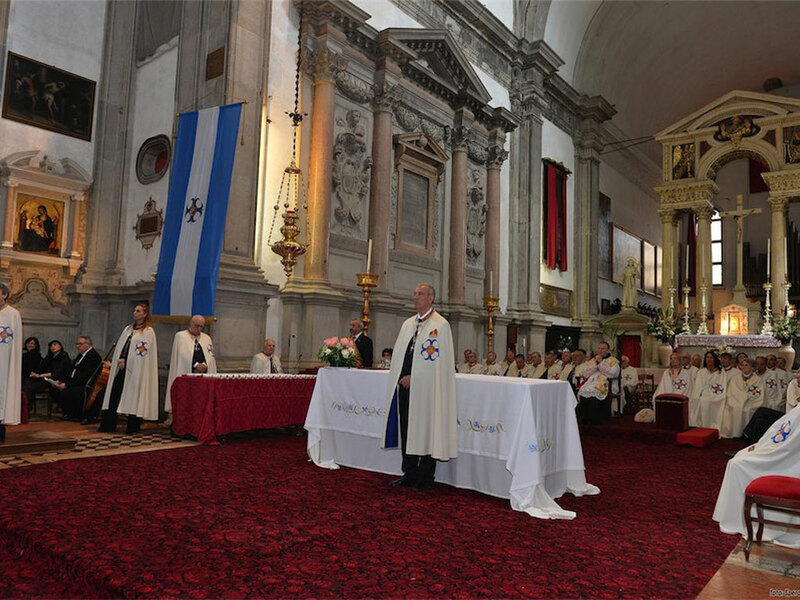 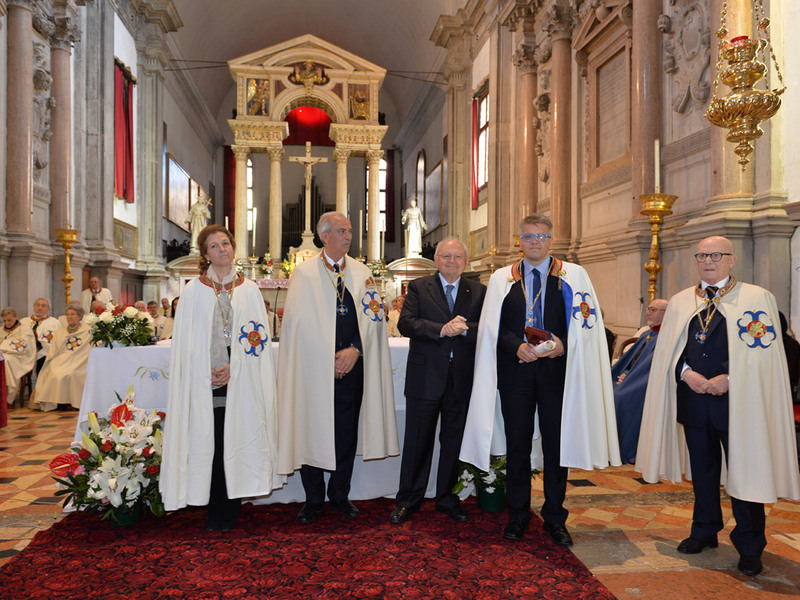 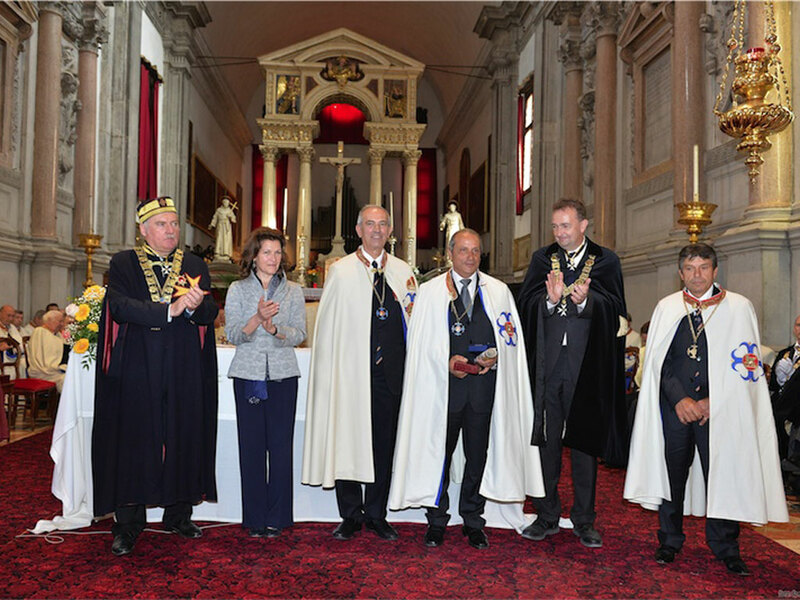 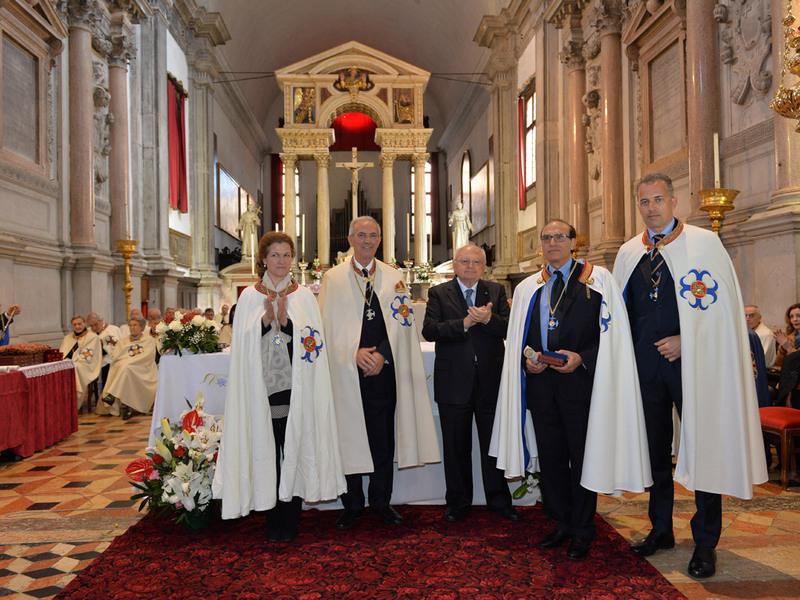 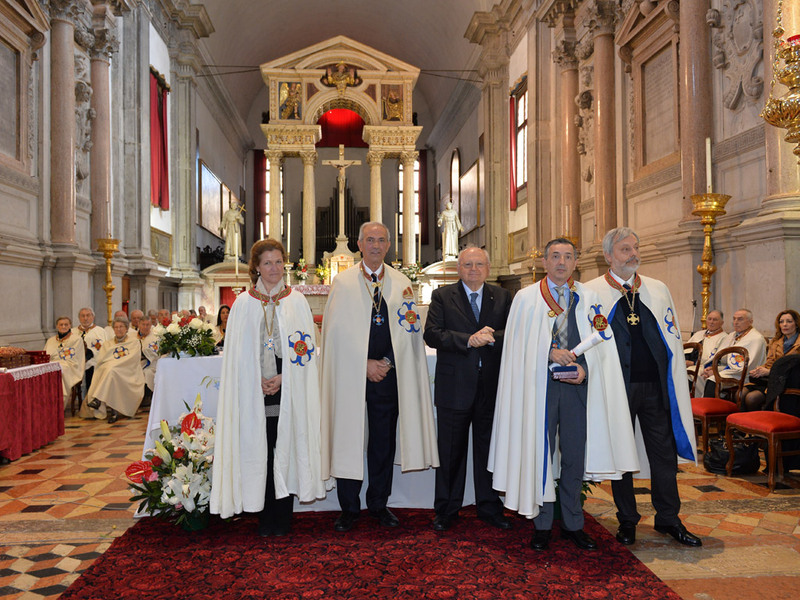 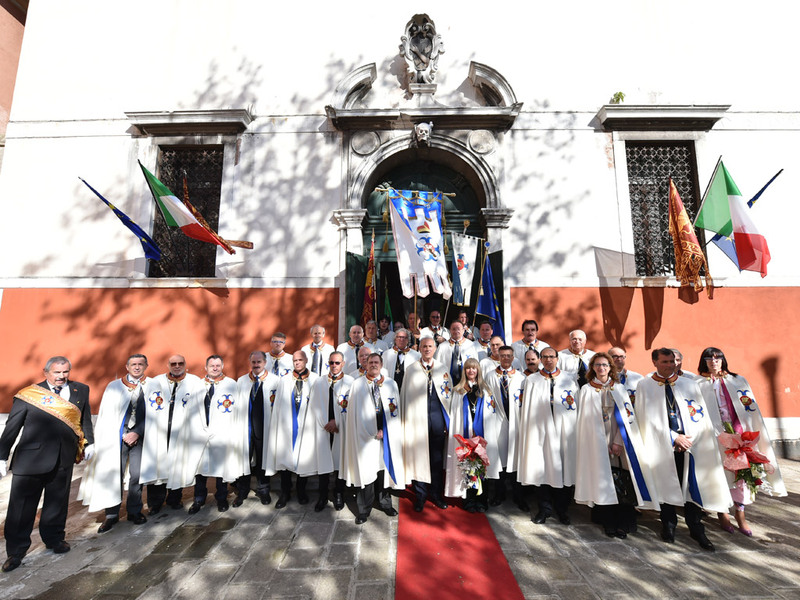 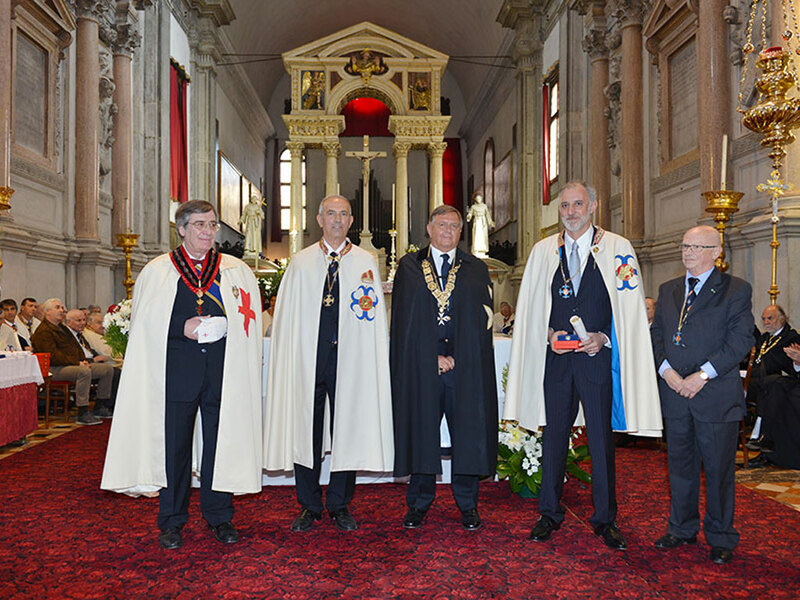 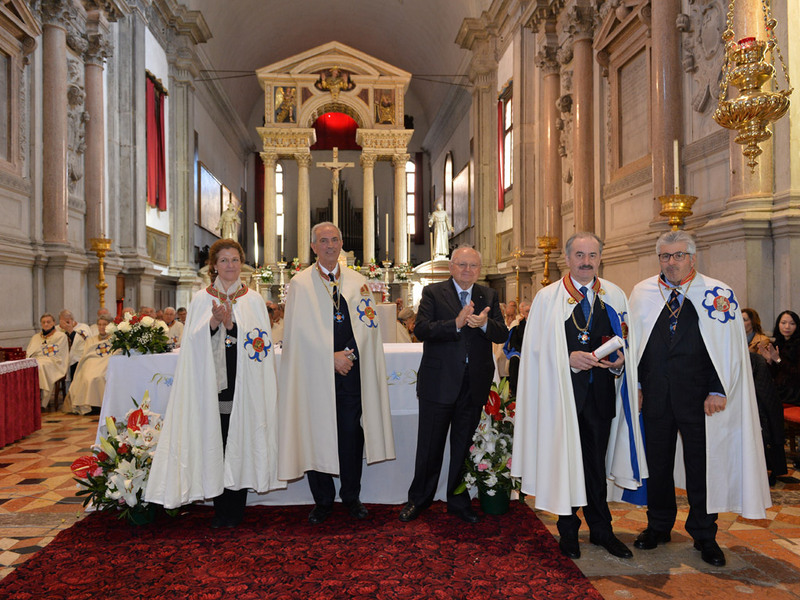 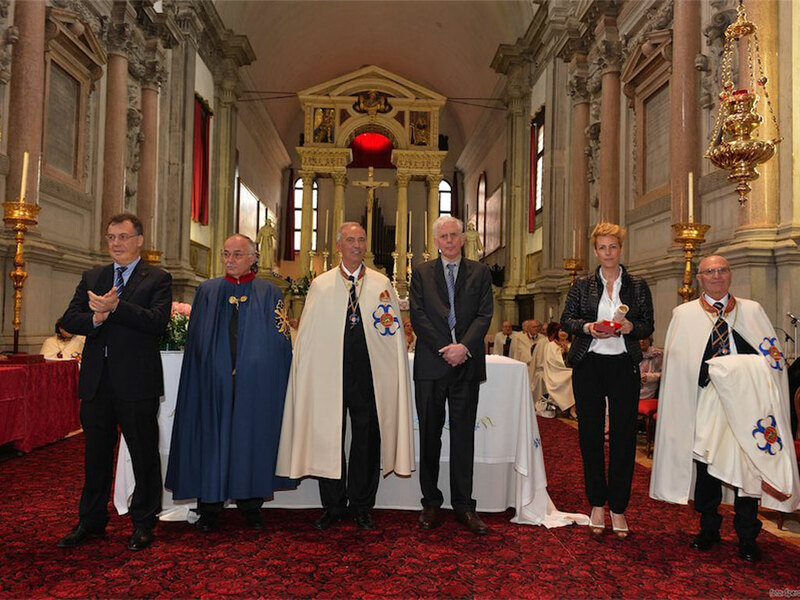 Venice April the 25th 2014 – Ceremony in the Church of San Francesco della Vigna, to confer knighthood upon the new knights into the ‘St. 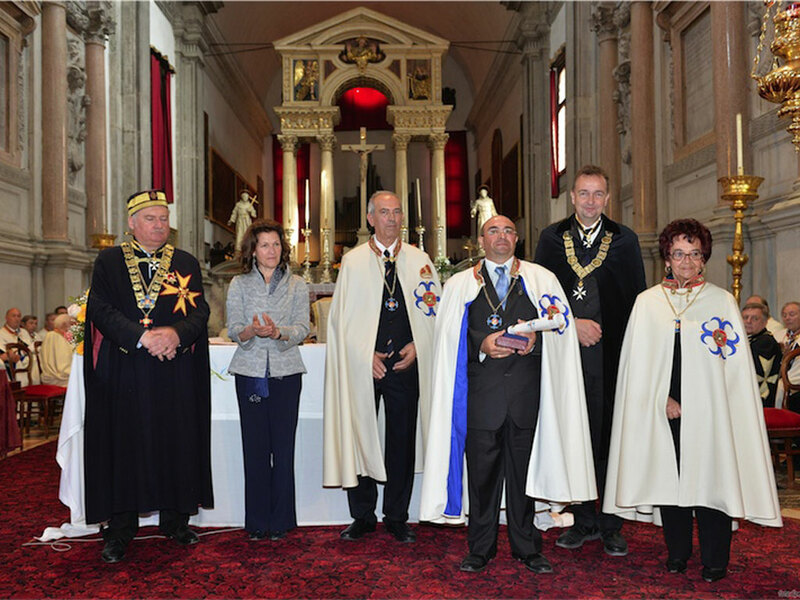 Mark’s Knight’s Association in conjunction with the festivities for the patron saint of the city, St. Mark. 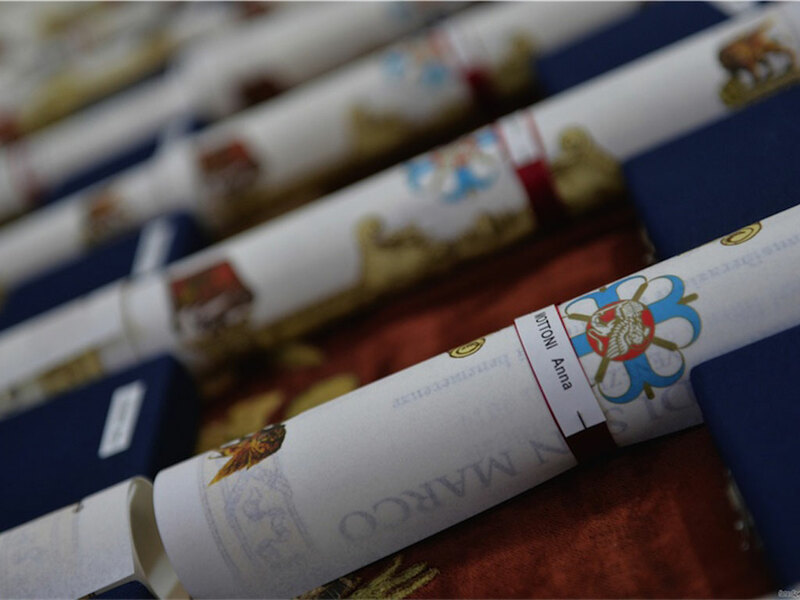 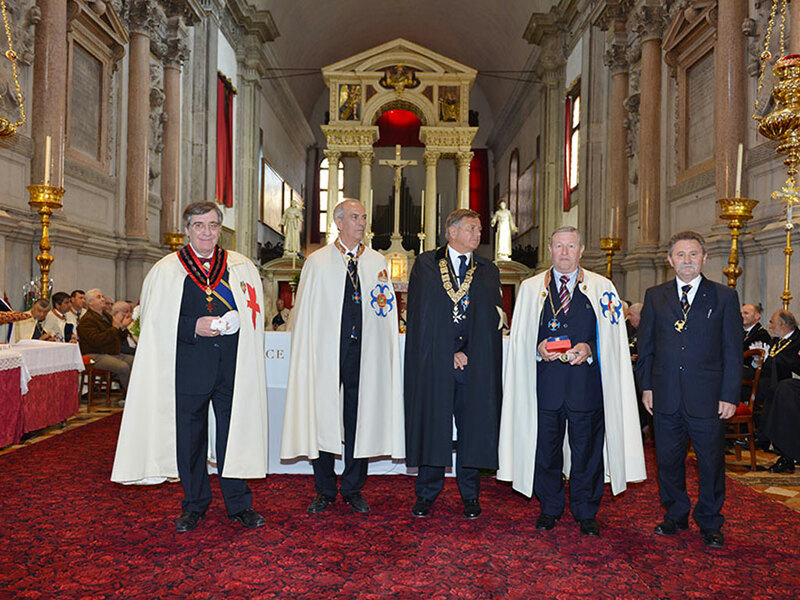 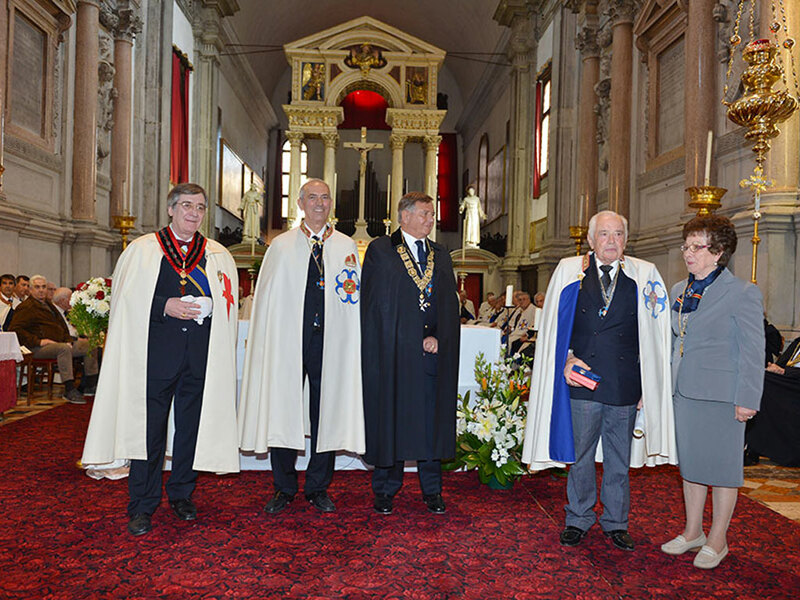 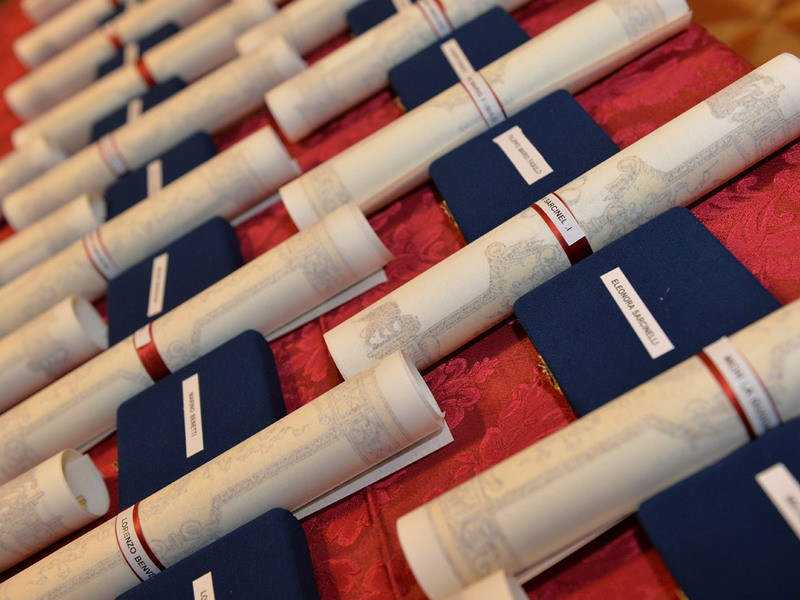 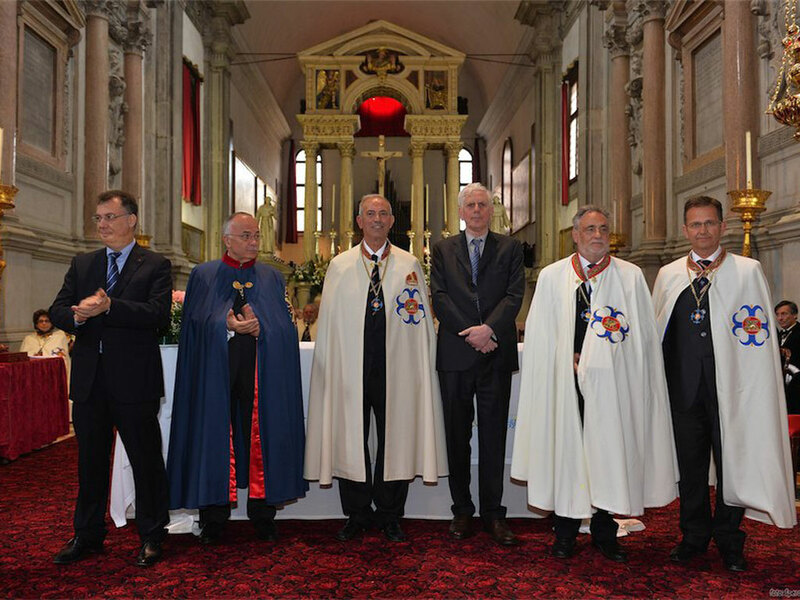 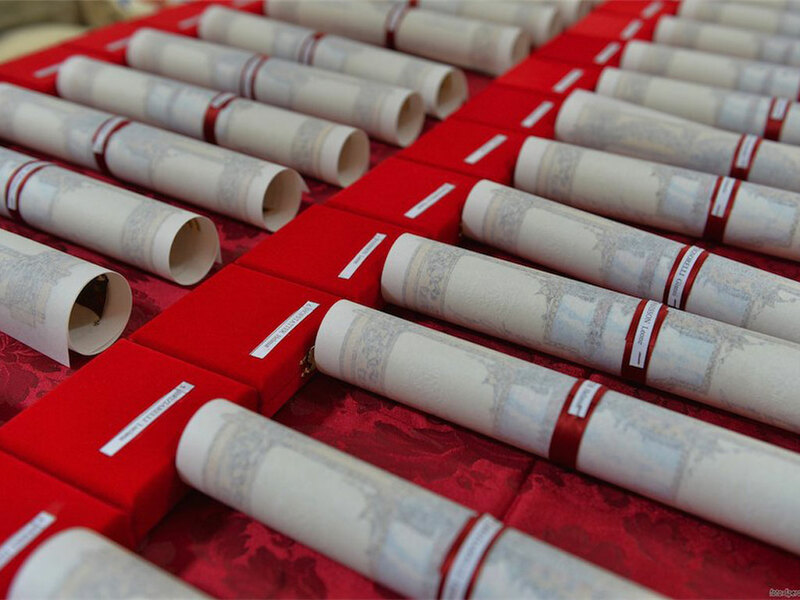 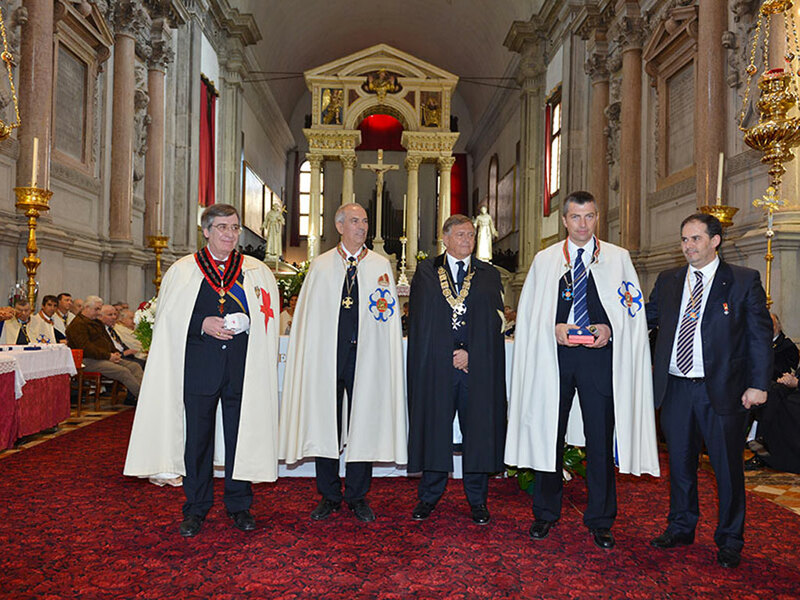 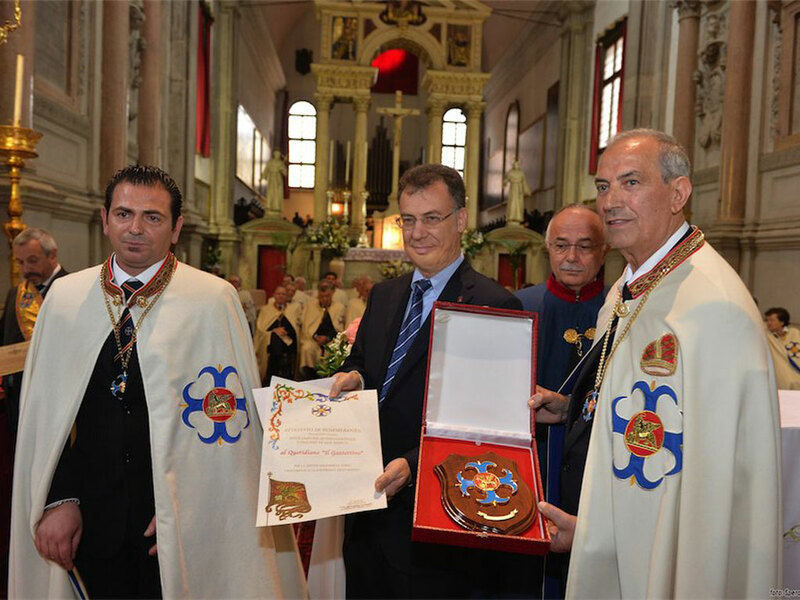 Graz October the 5th 2013 – The Order of St. George, new investiture with Charles of Hapsburg and City Mayor. 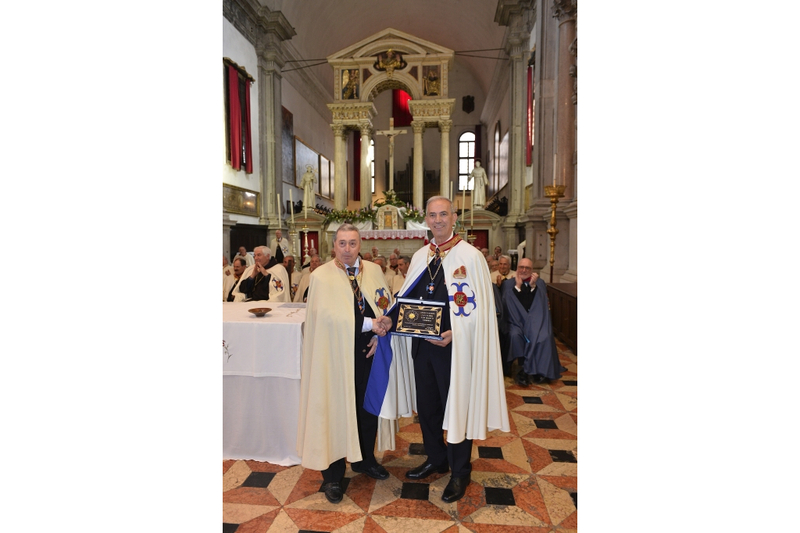 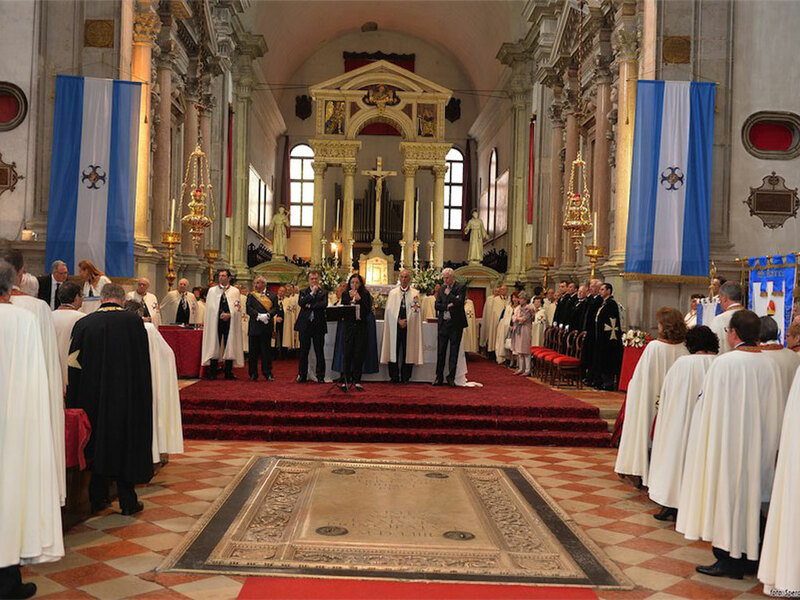 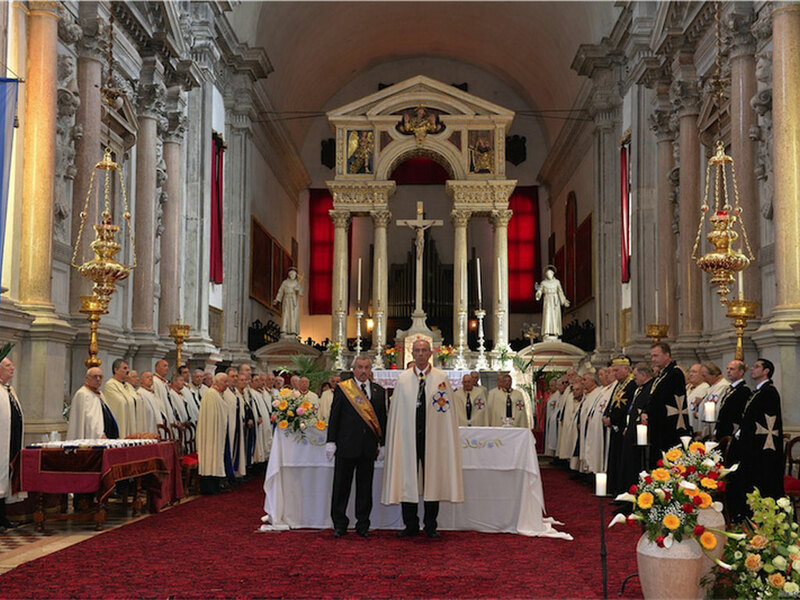 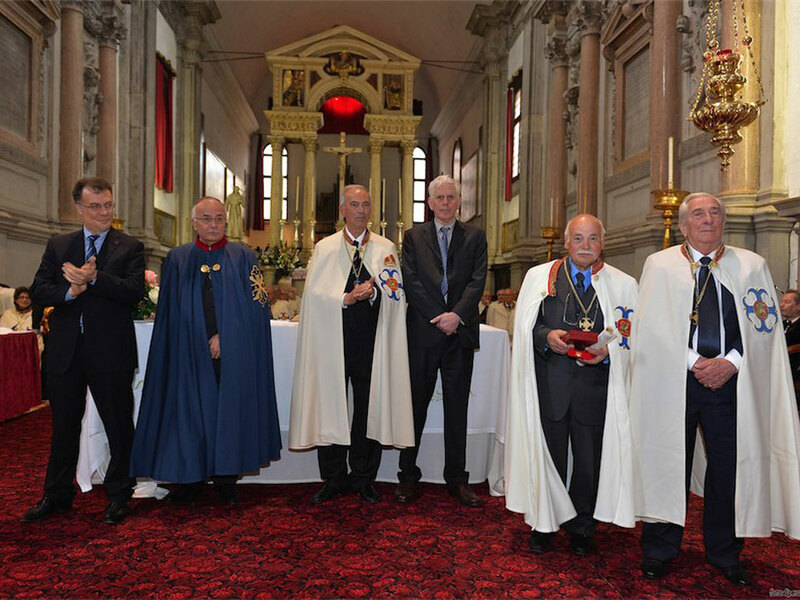 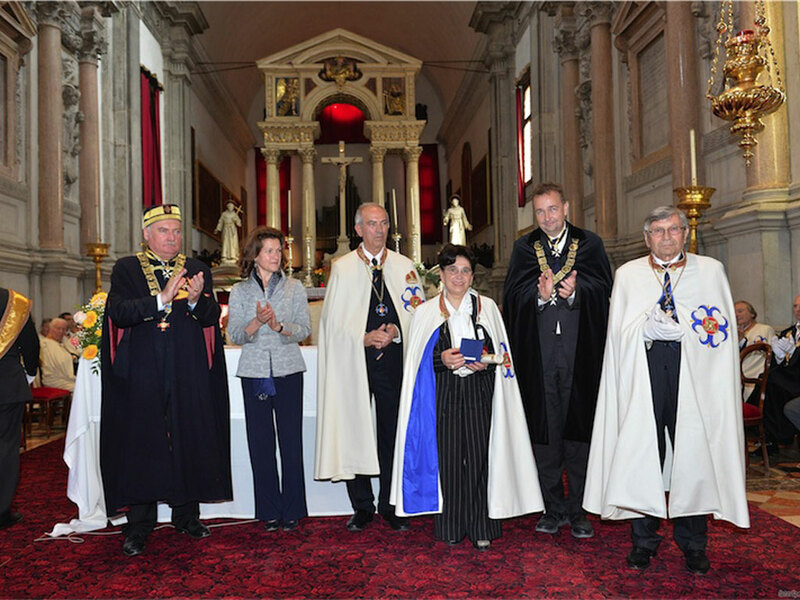 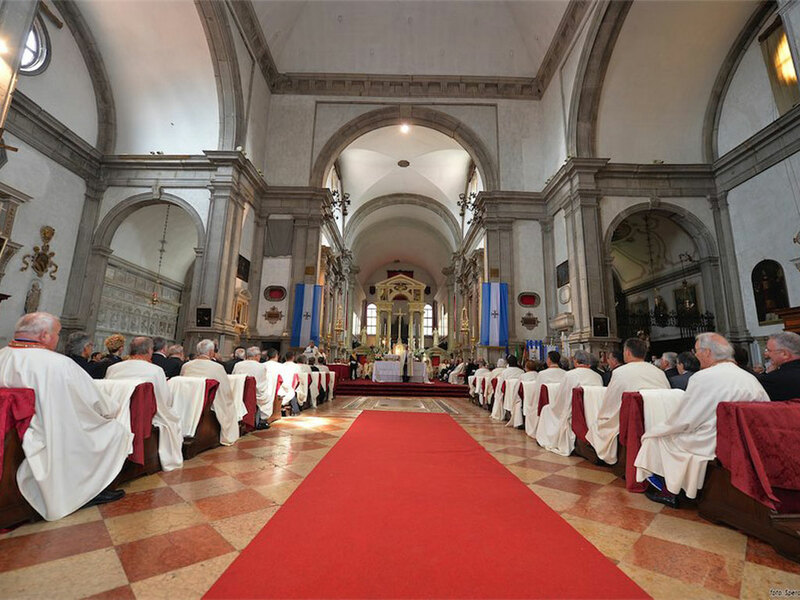 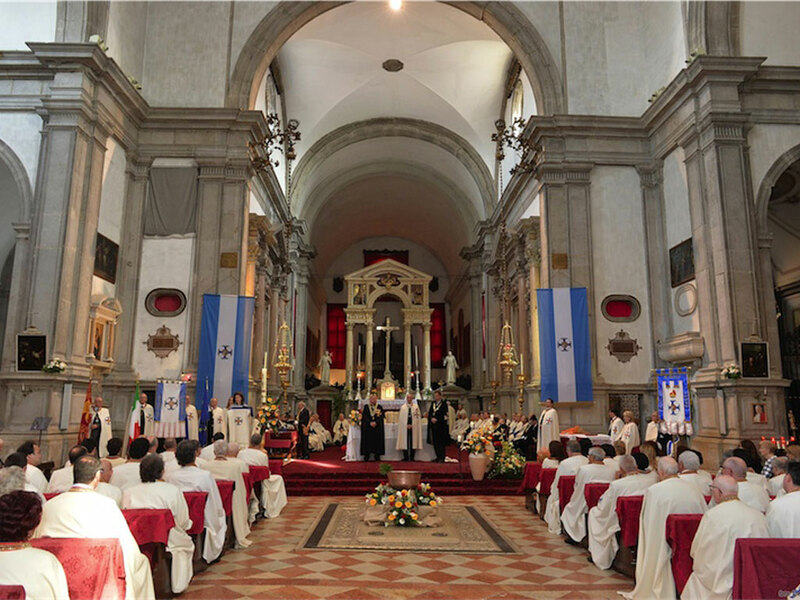 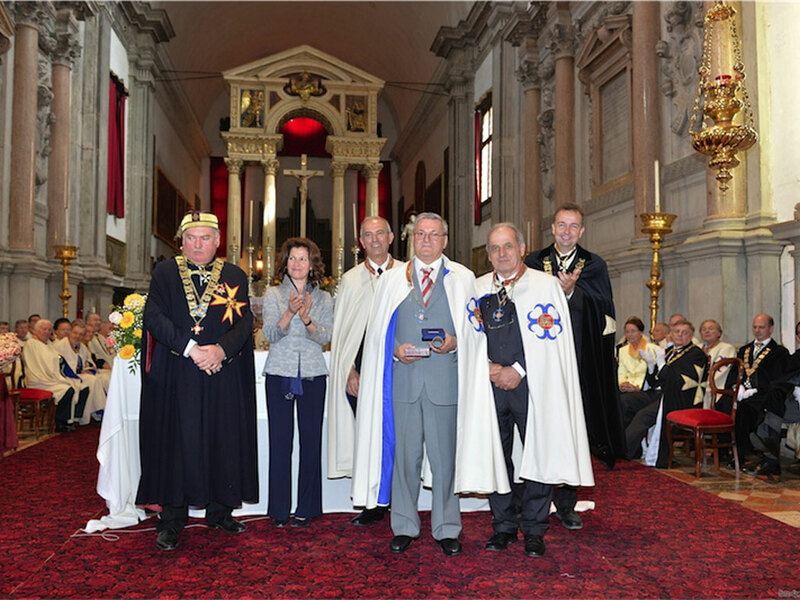 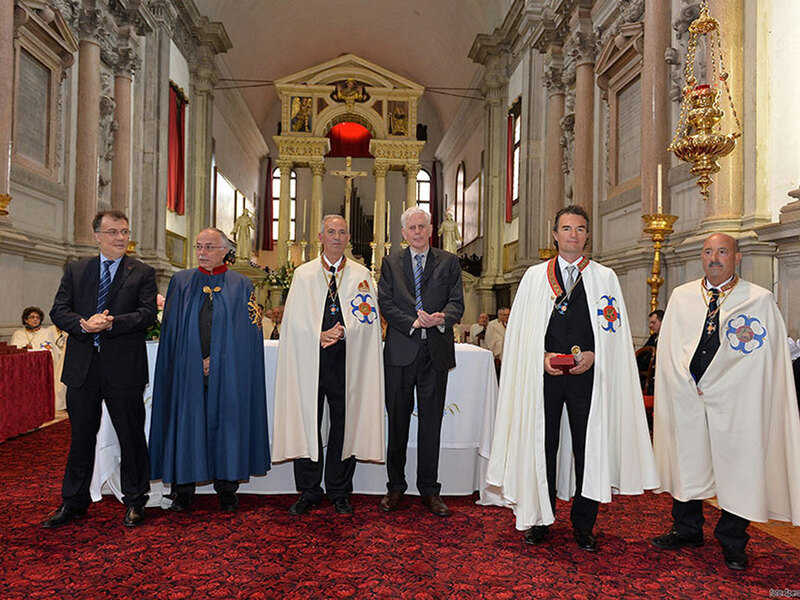 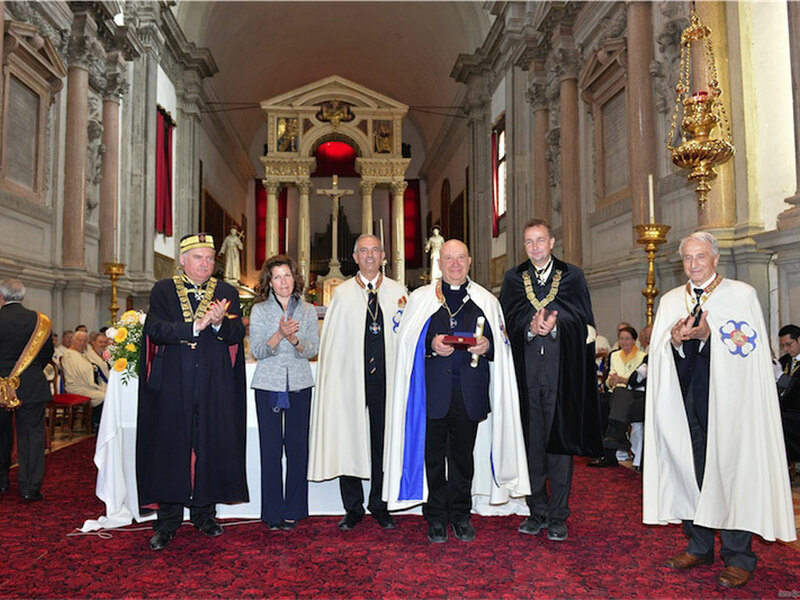 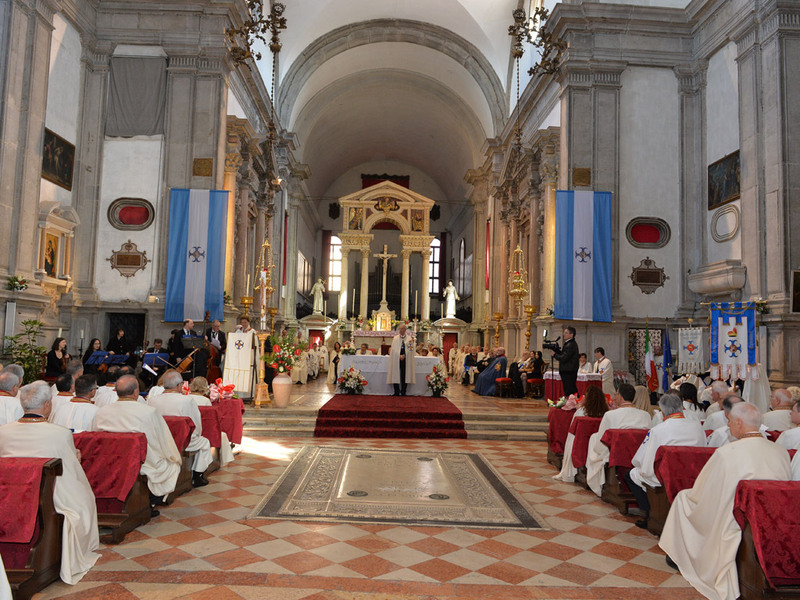 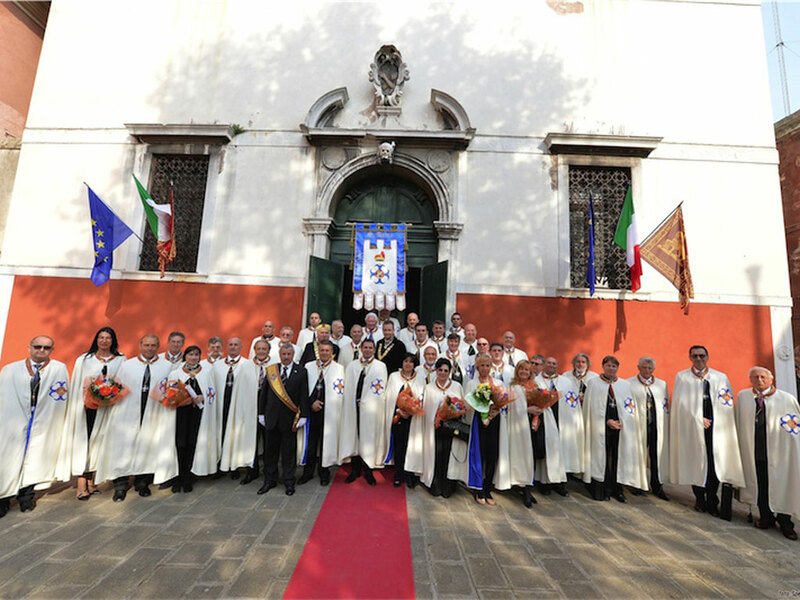 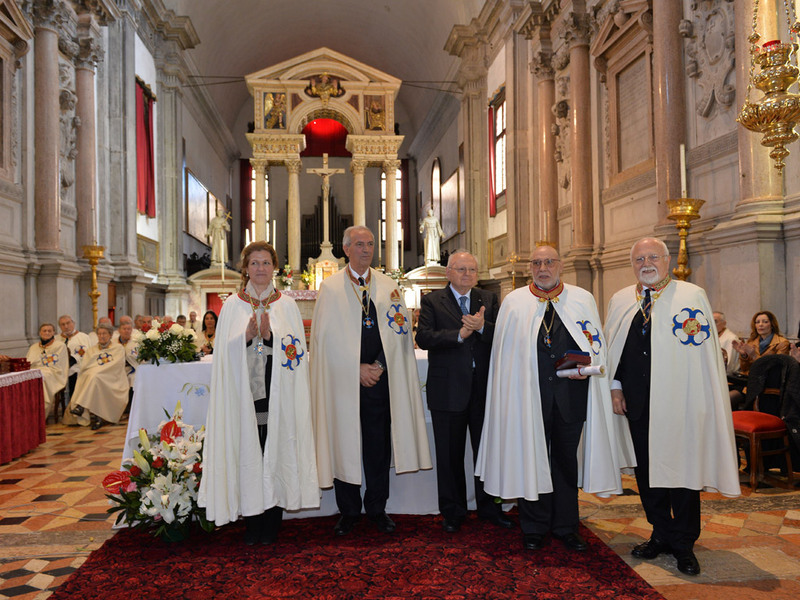 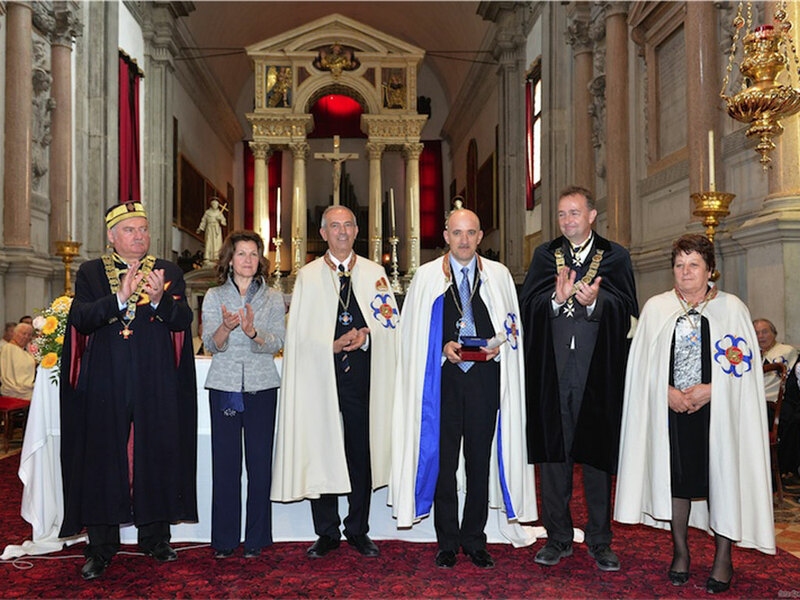 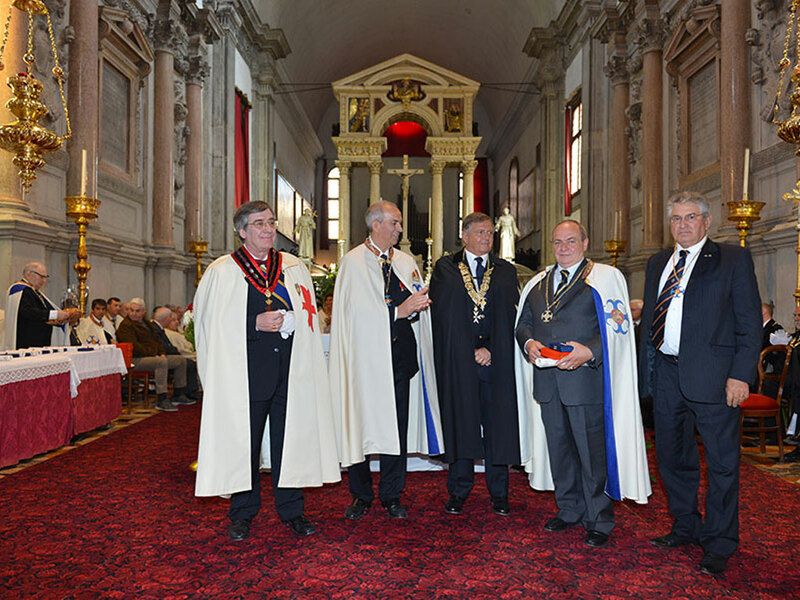 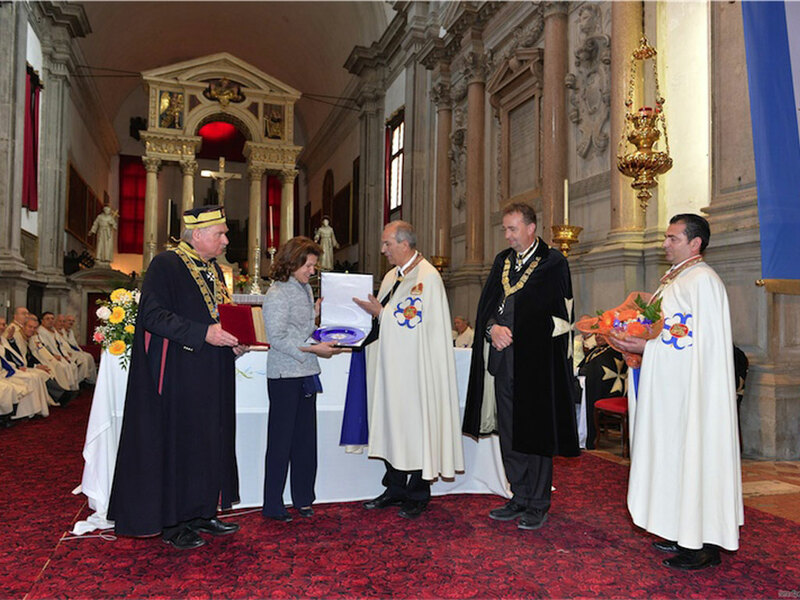 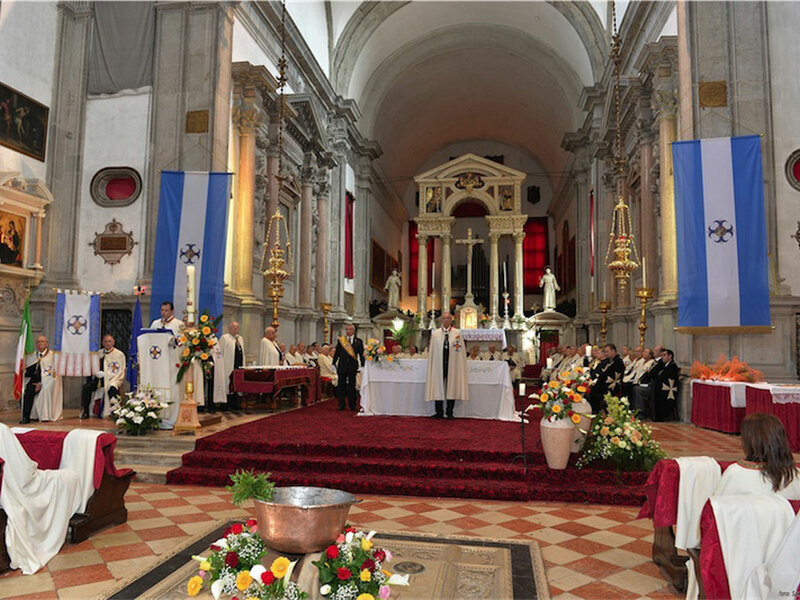 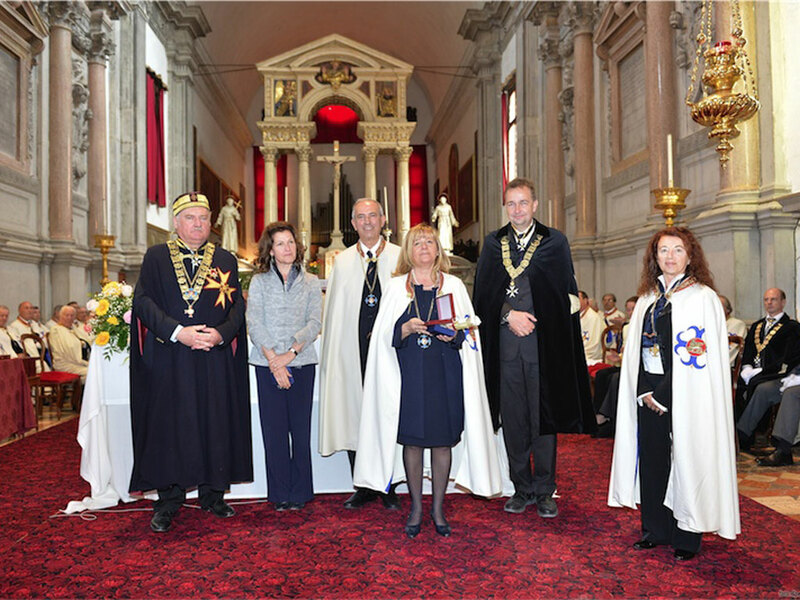 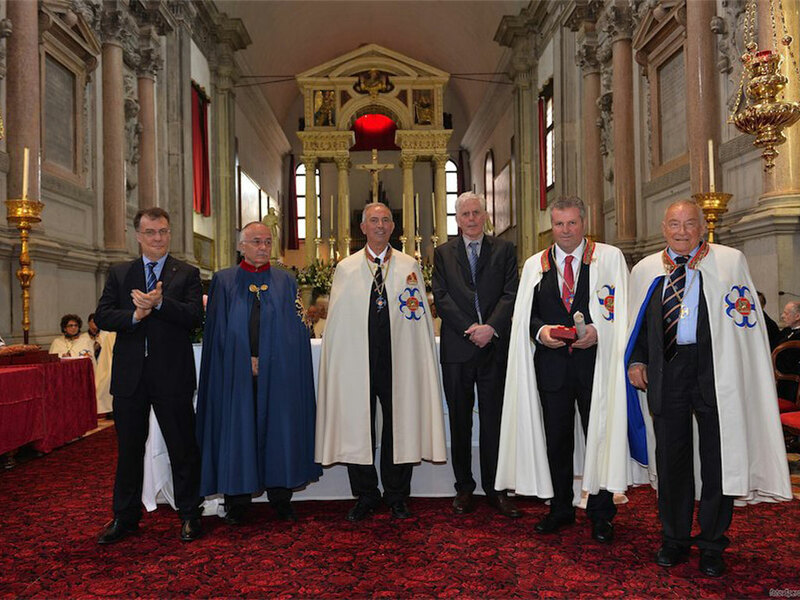 Venice April the 25th 2013 – Ceremony in the Church of San Francesco della Vigna, to confer knighthood upon the new knights into the ‘St. 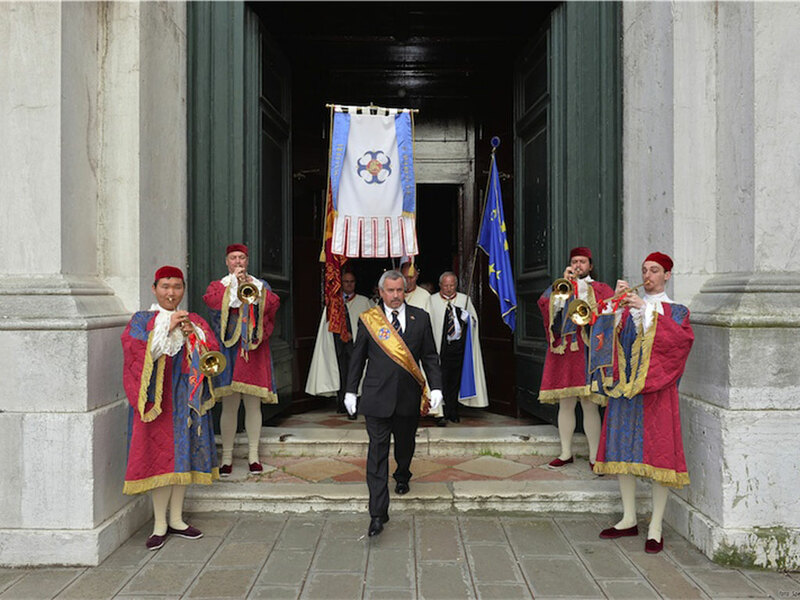 Mark’s Knight’s Association in conjunction with the festivities for the patron saint of the city, St. Mark.